This is the romantic getaway you’ve always imagined. 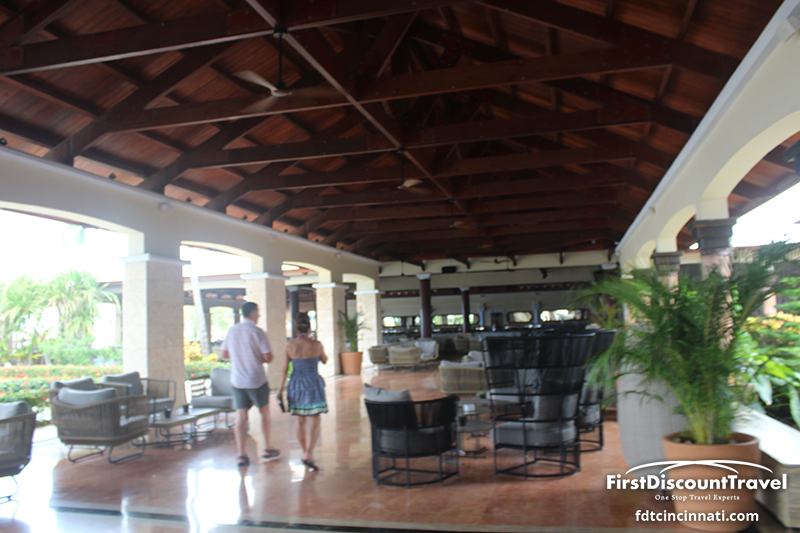 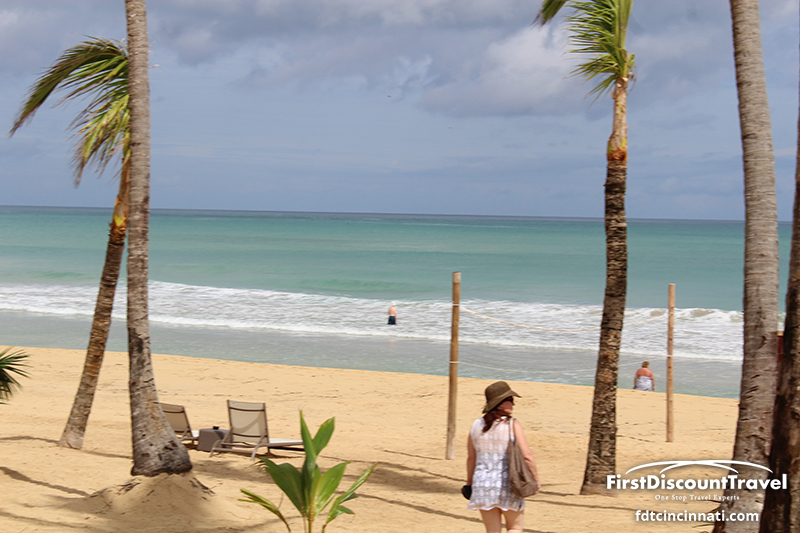 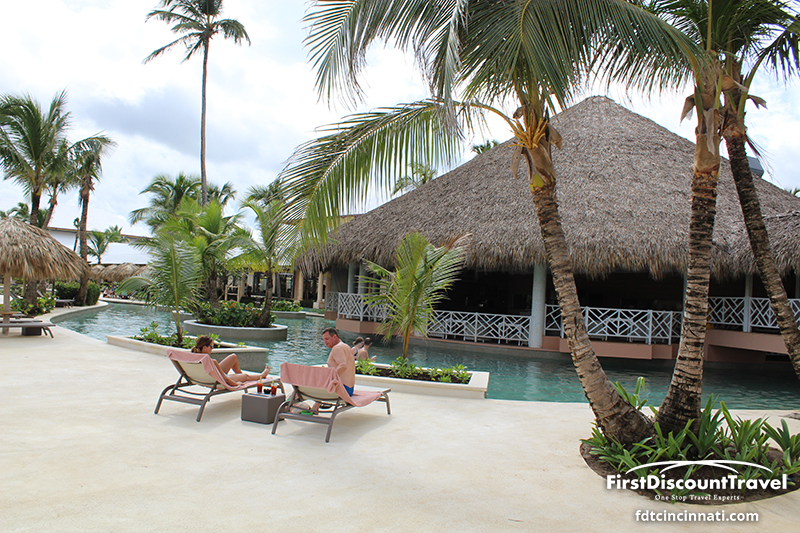 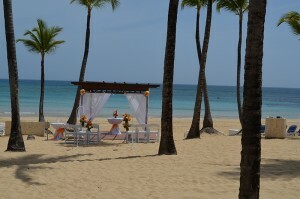 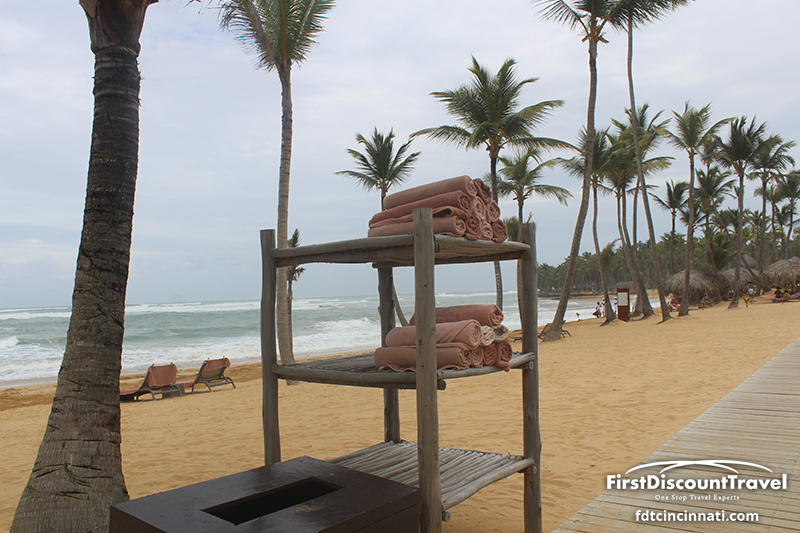 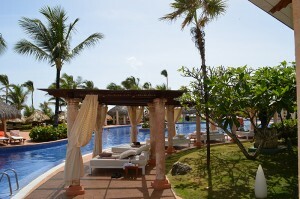 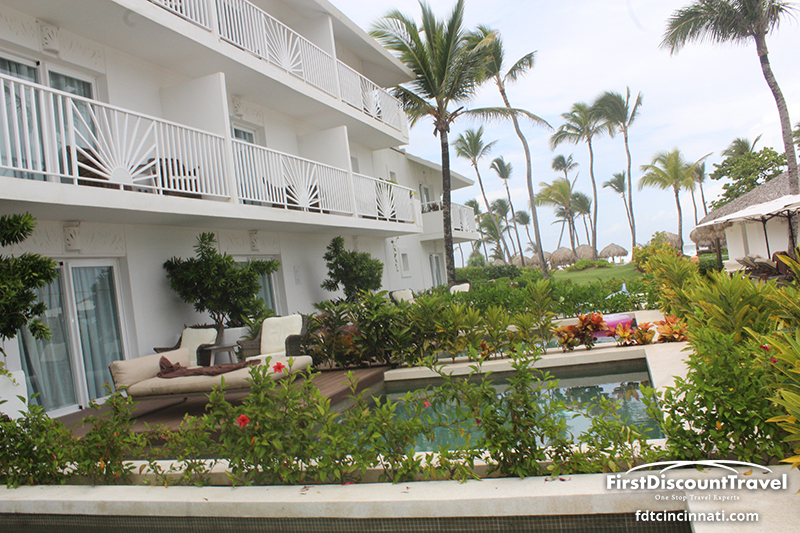 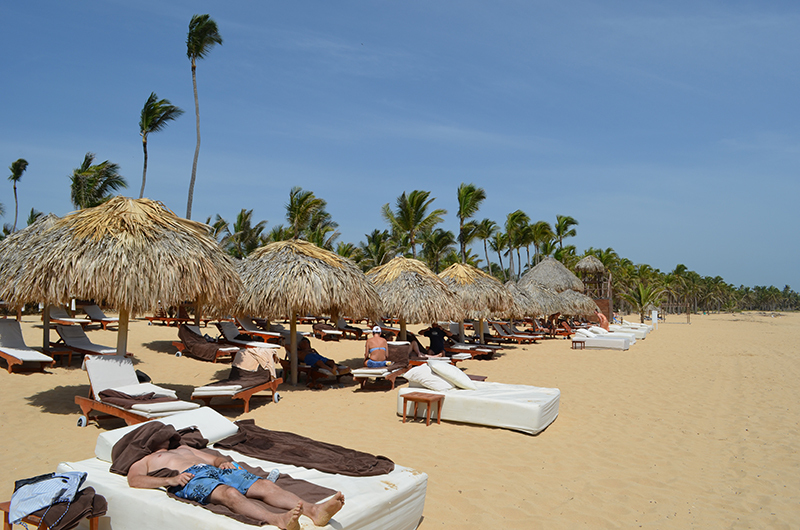 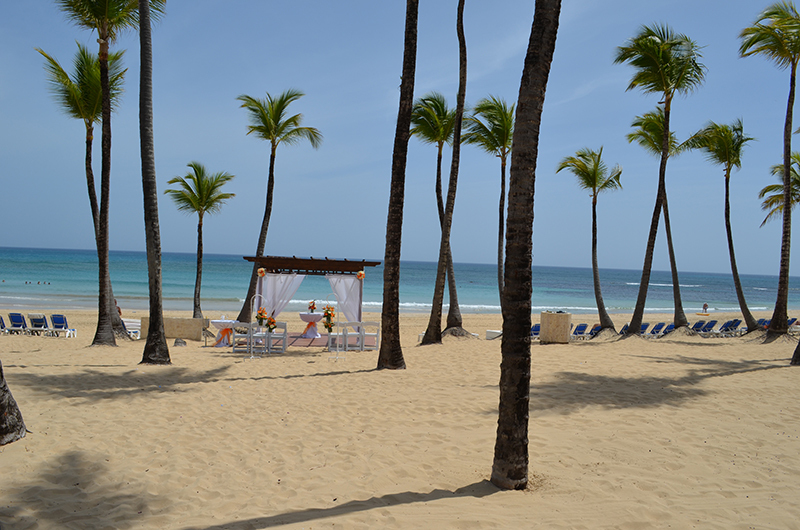 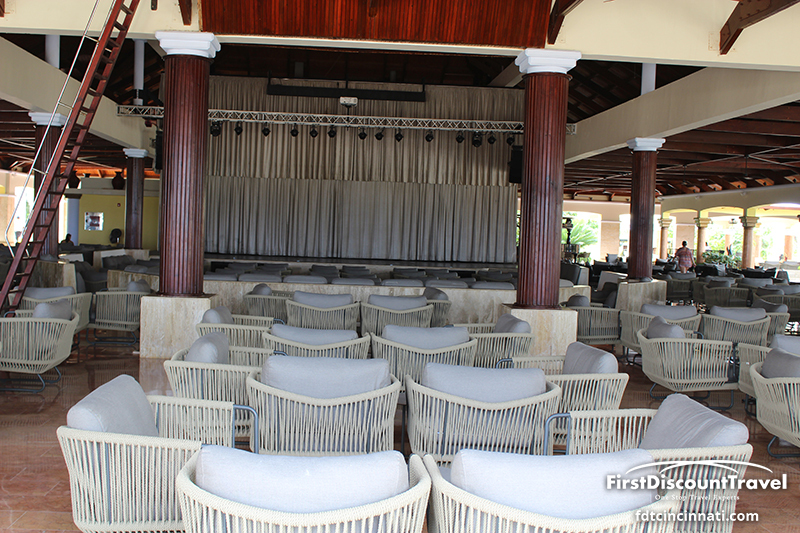 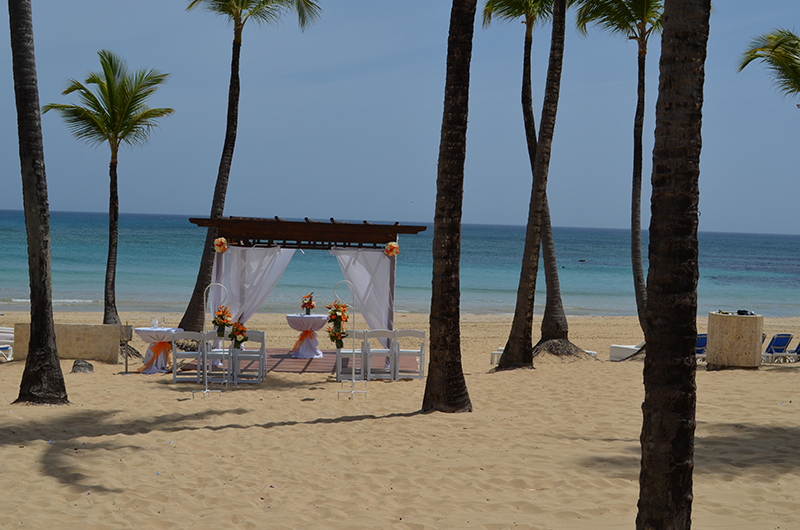 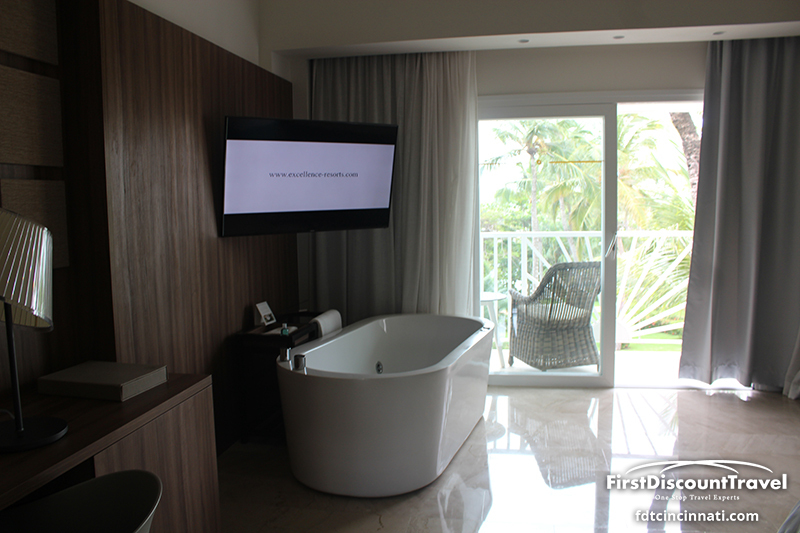 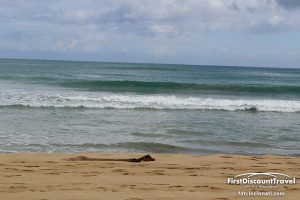 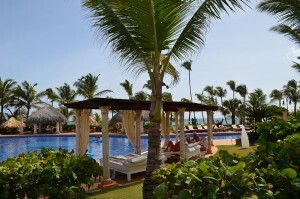 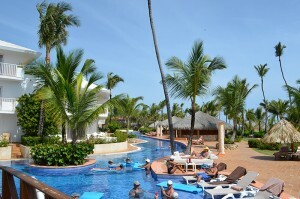 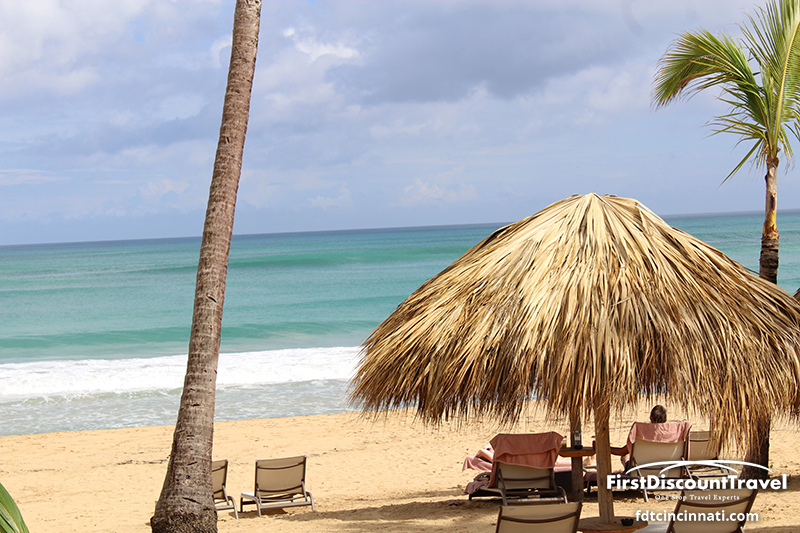 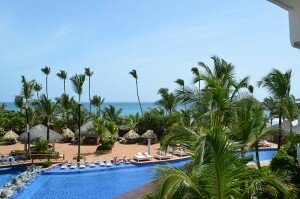 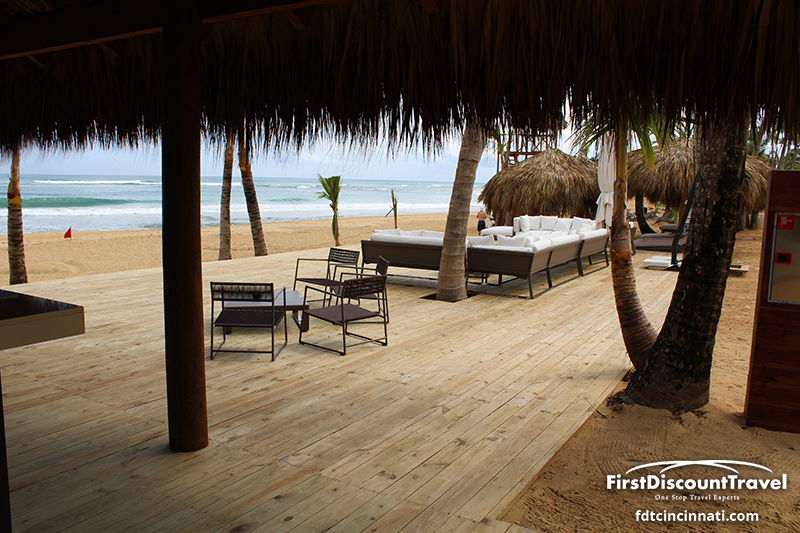 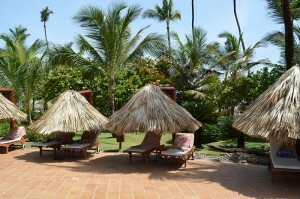 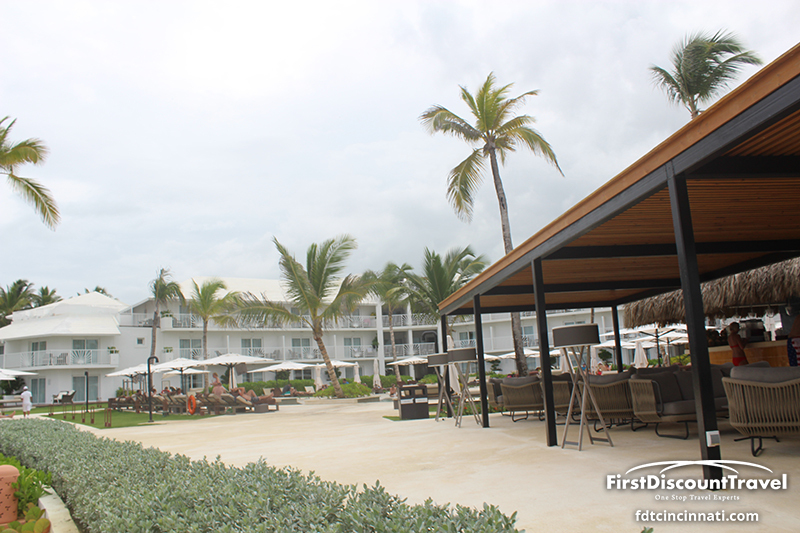 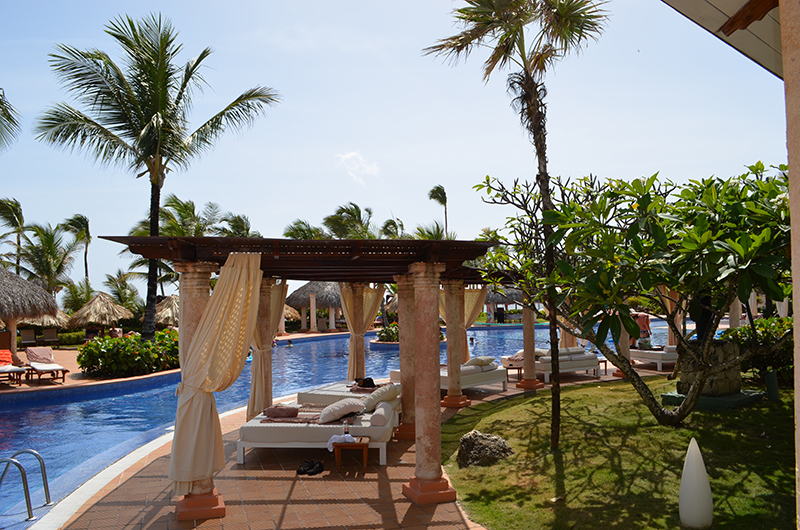 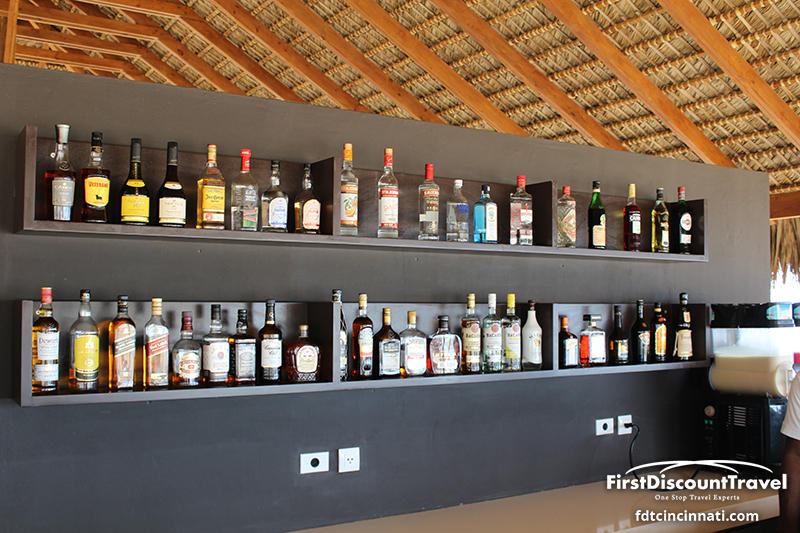 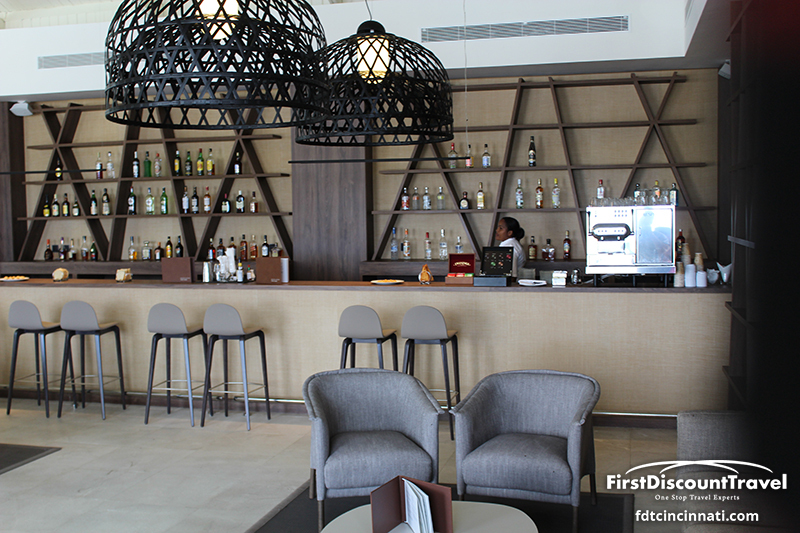 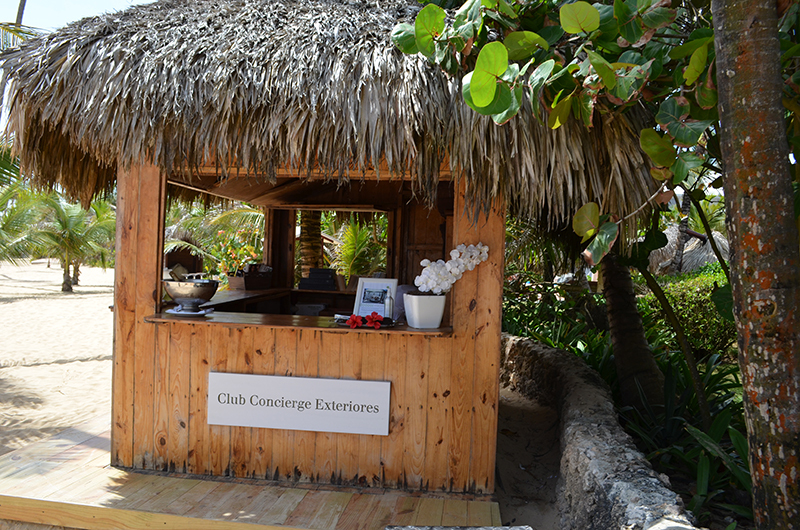 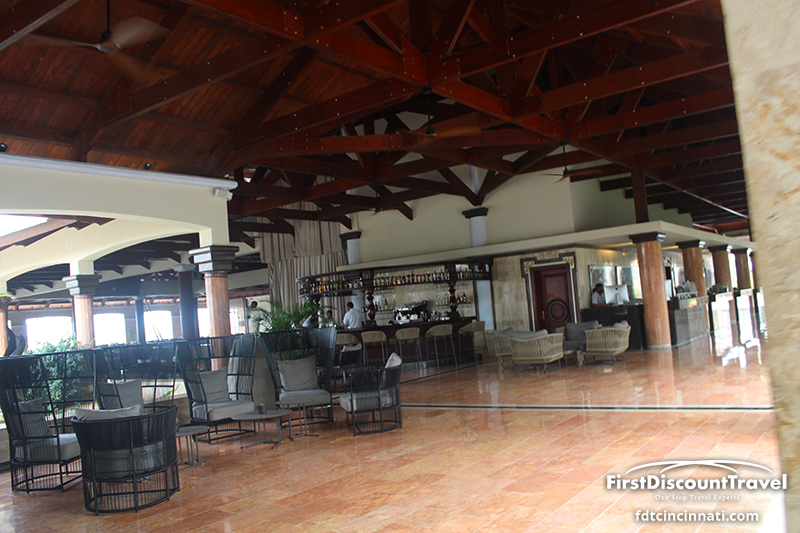 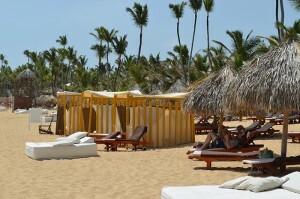 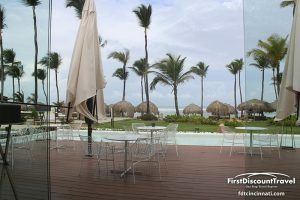 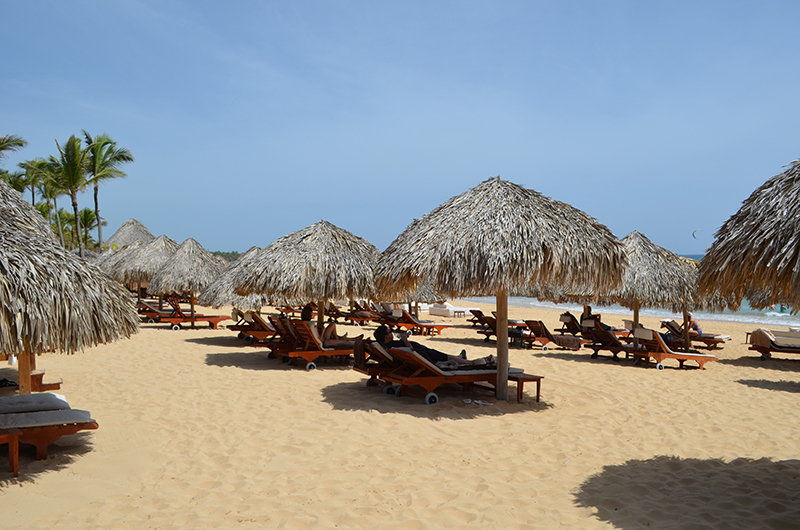 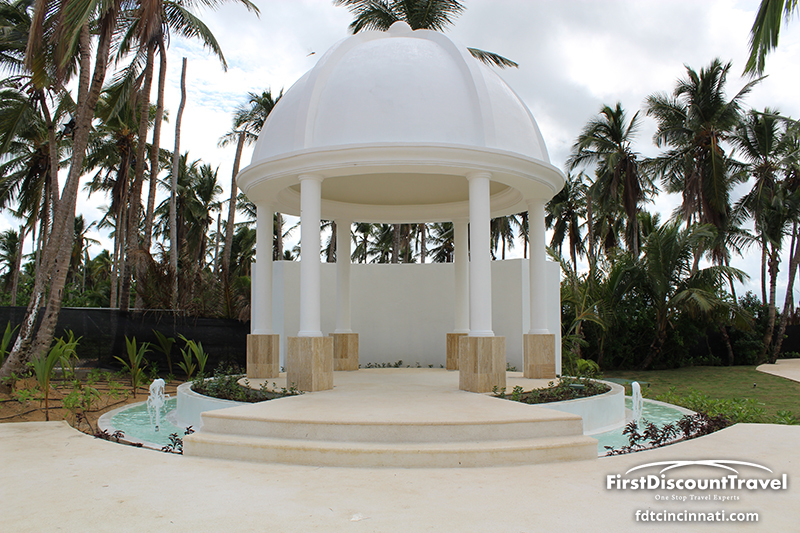 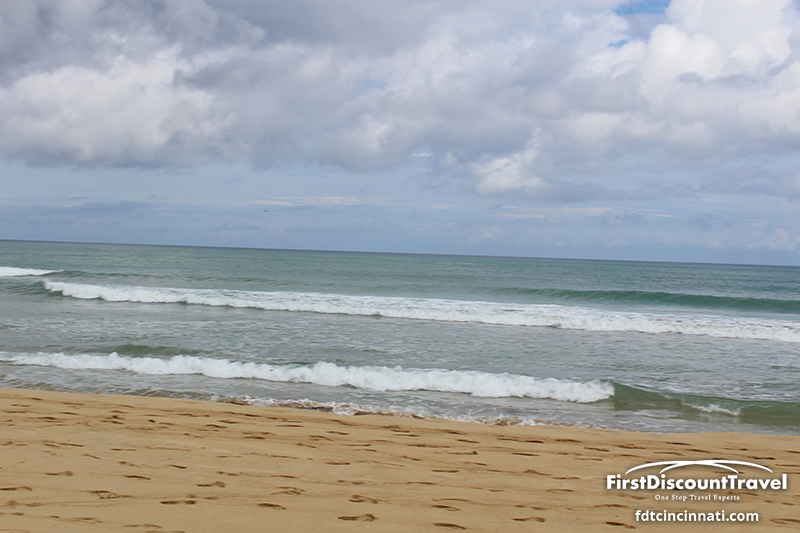 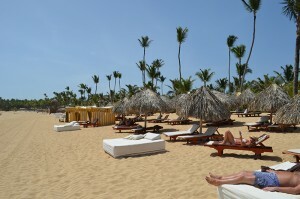 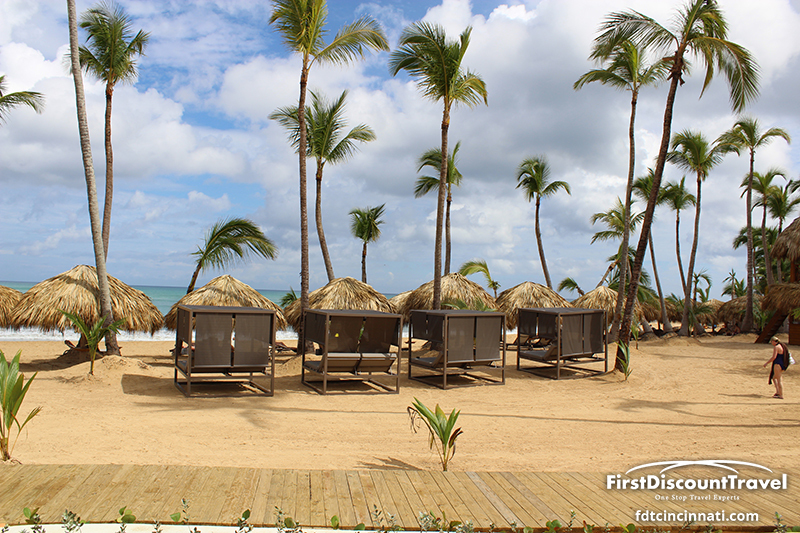 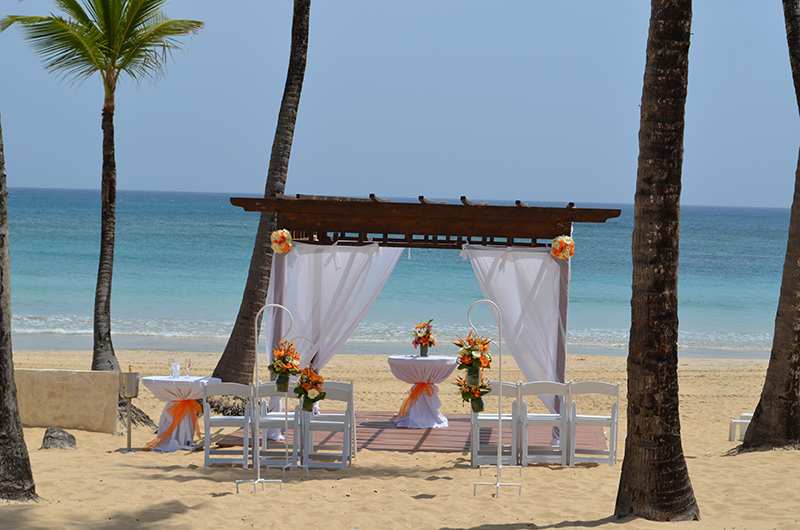 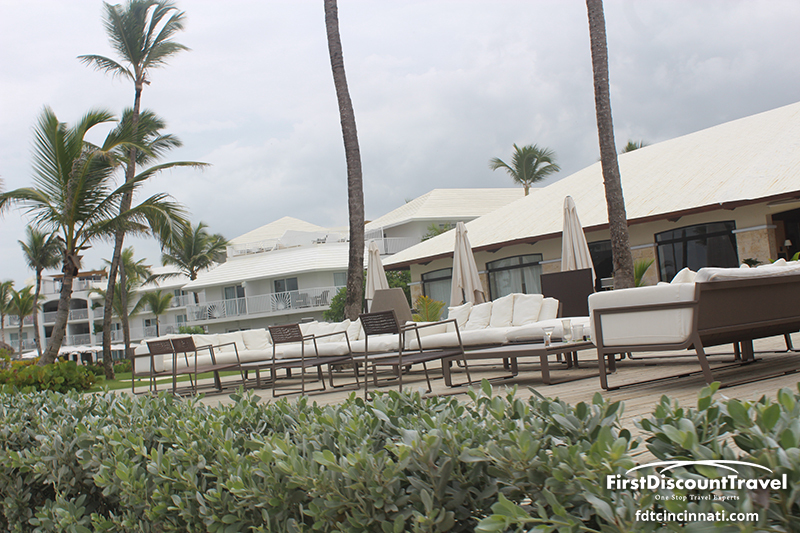 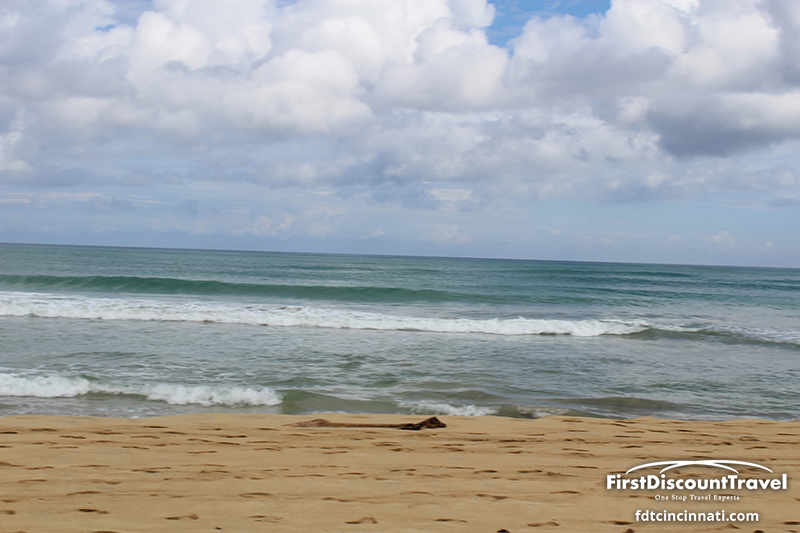 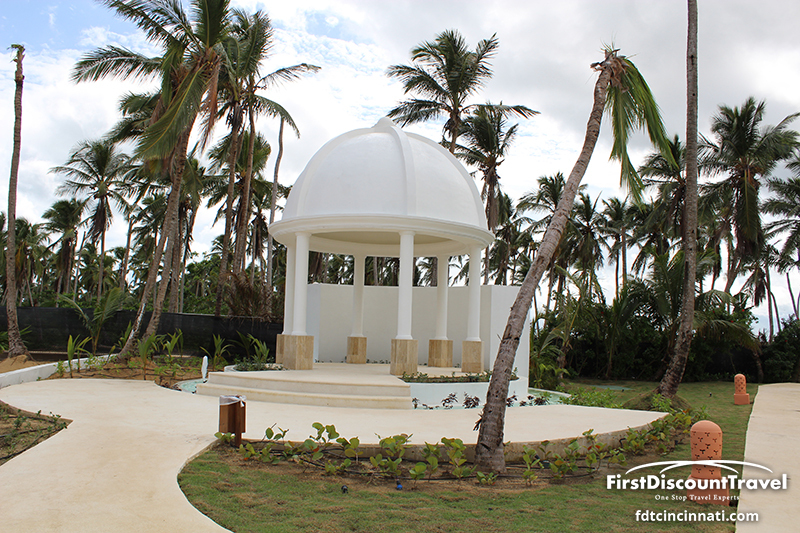 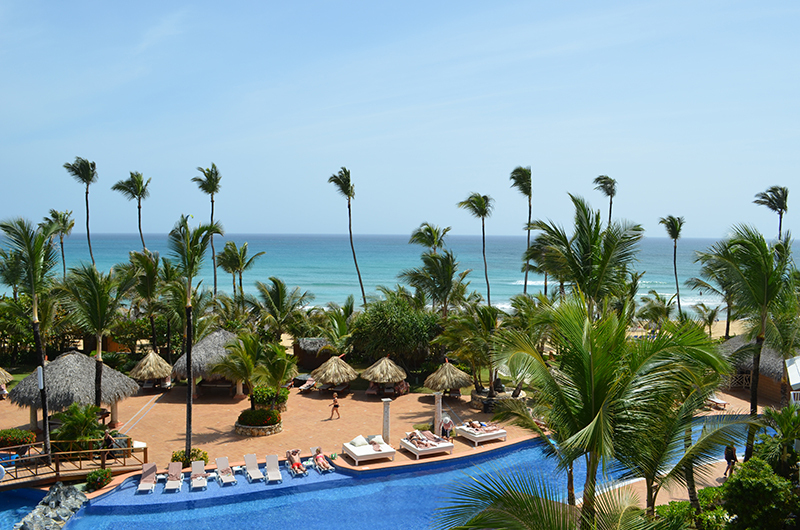 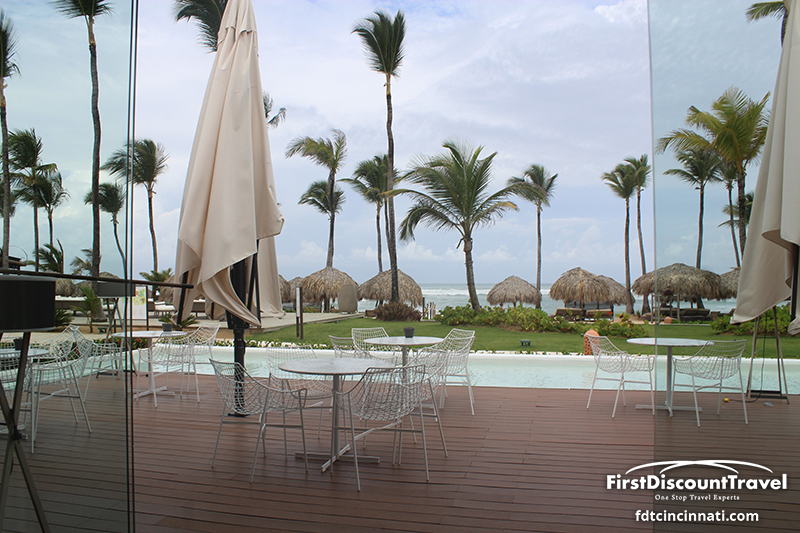 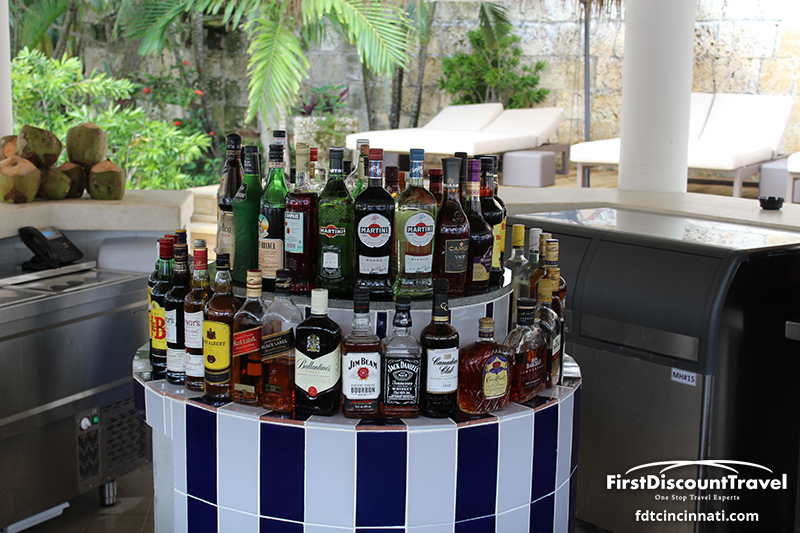 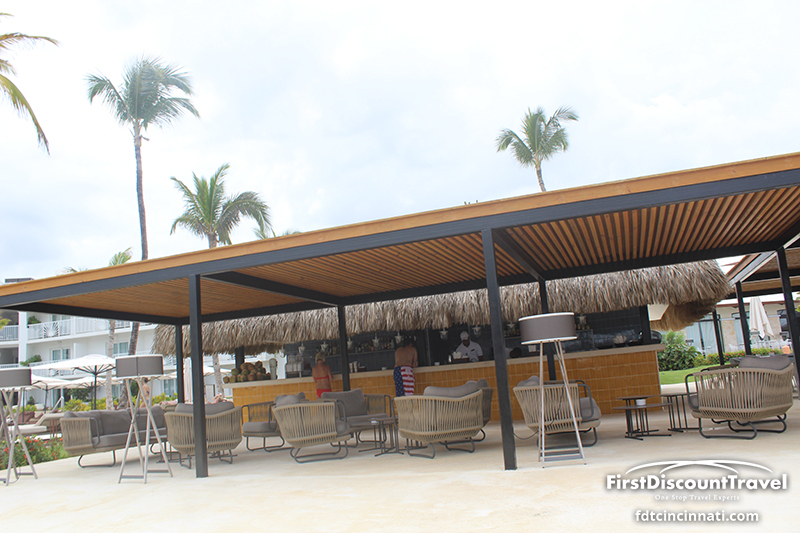 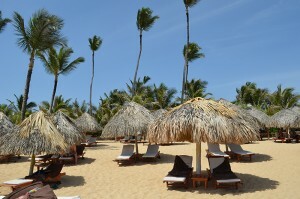 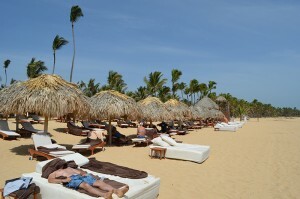 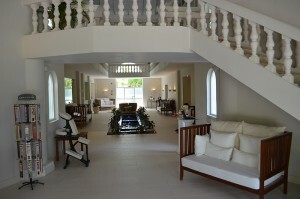 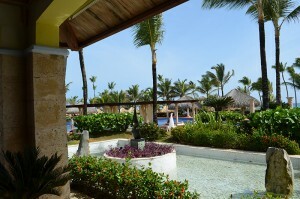 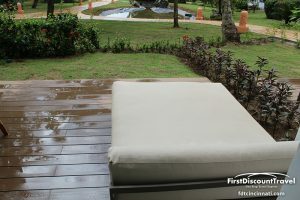 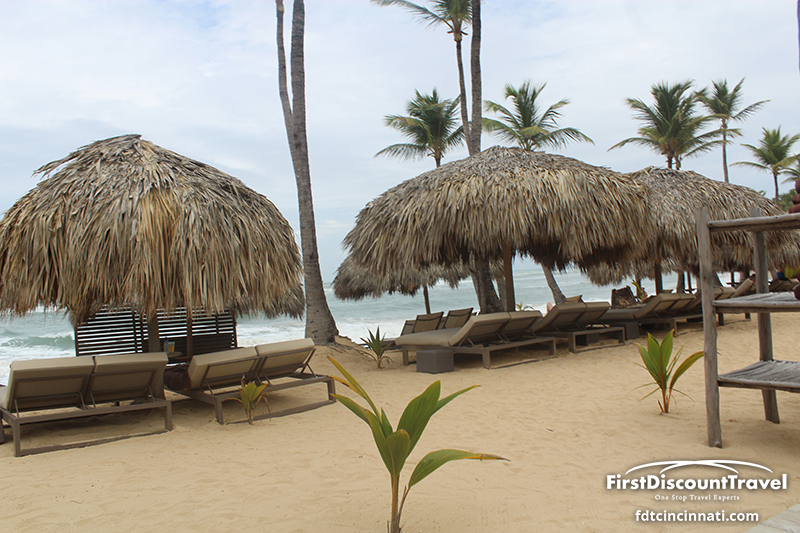 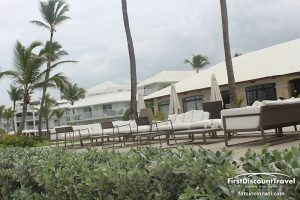 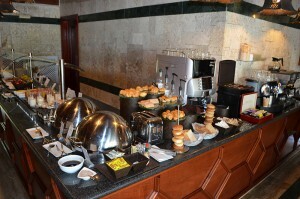 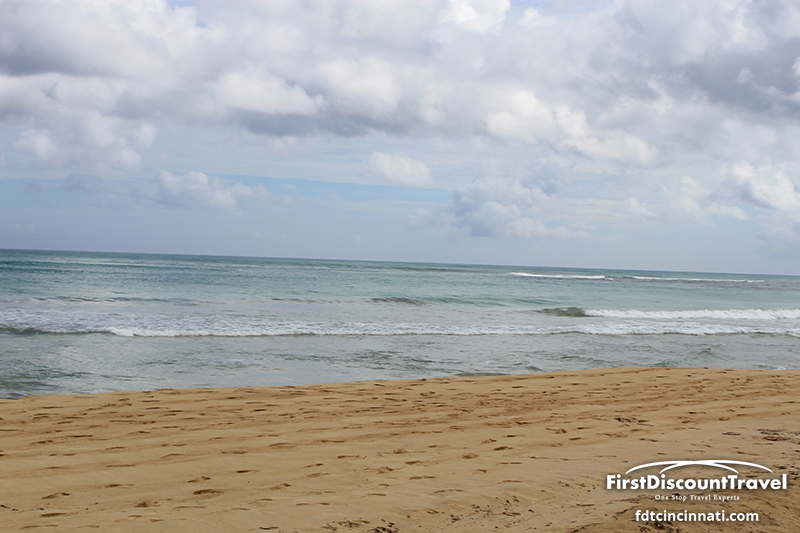 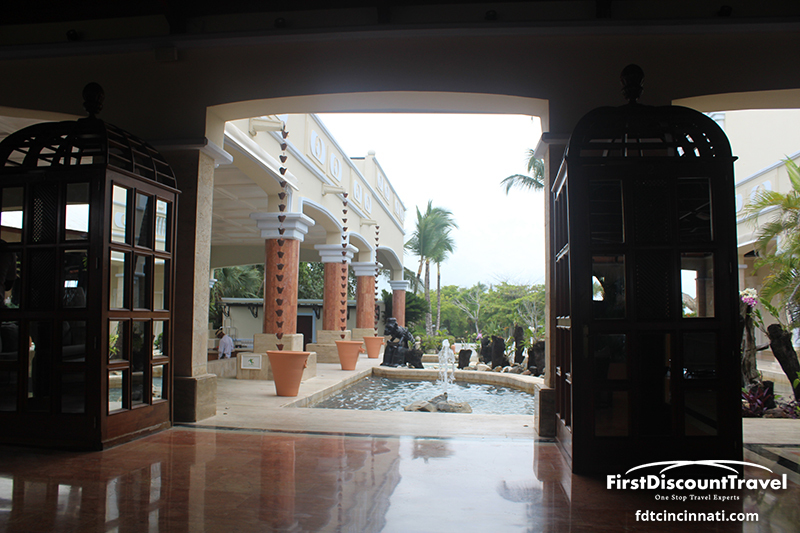 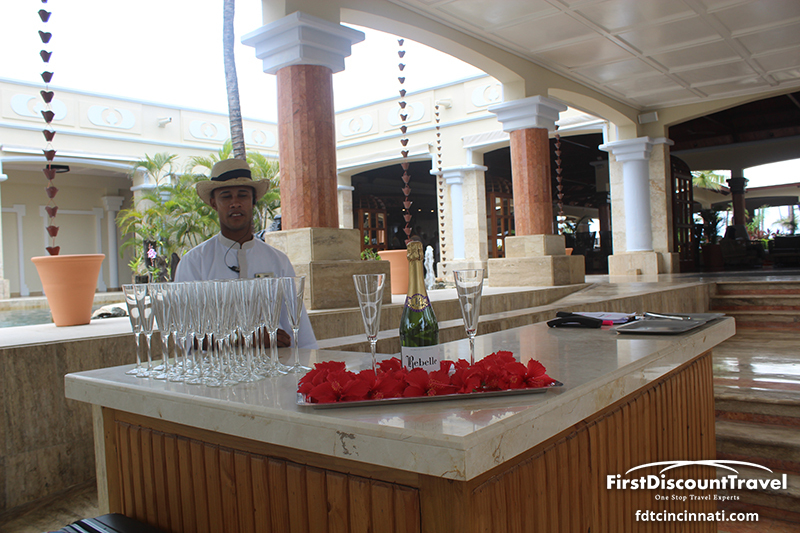 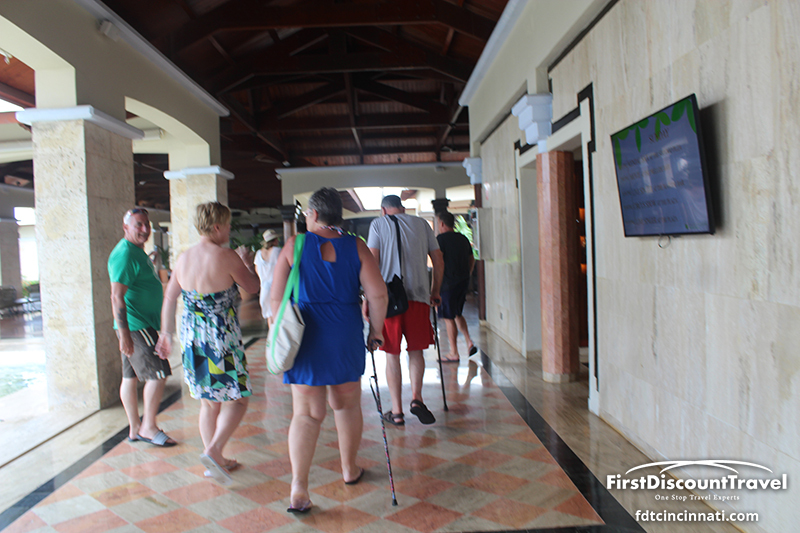 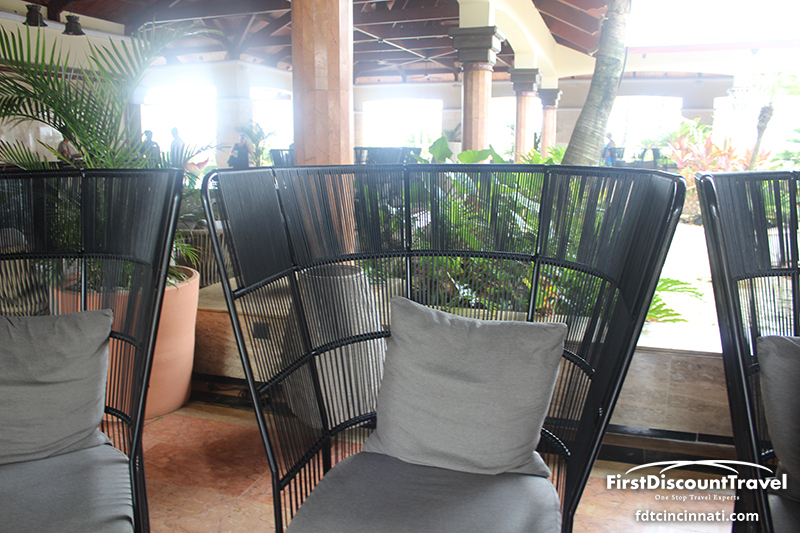 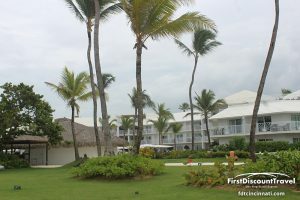 Excellence Punta Cana surrounds you with all-inclusive luxury. 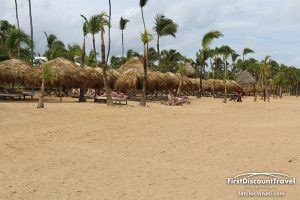 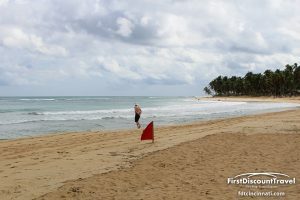 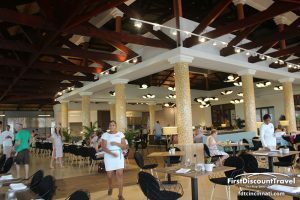 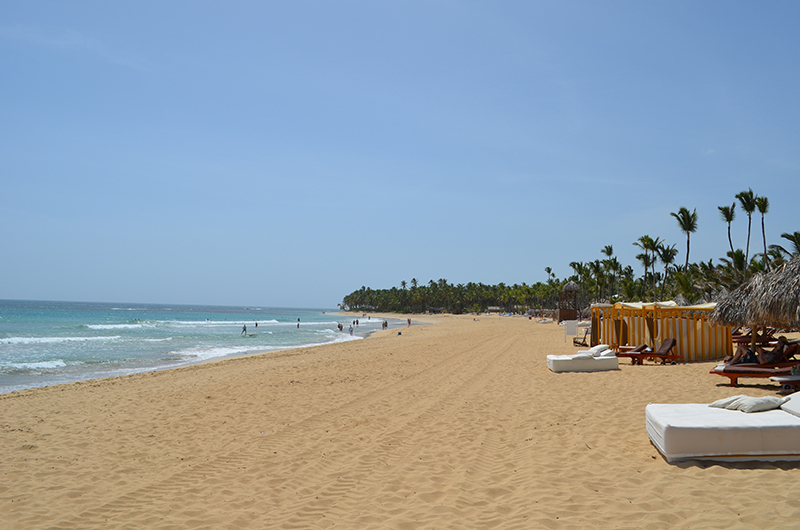 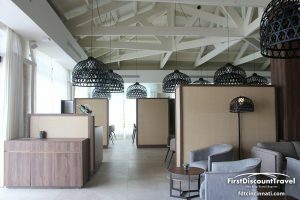 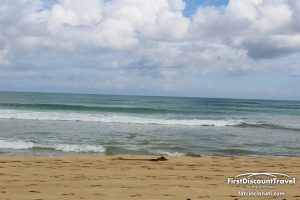 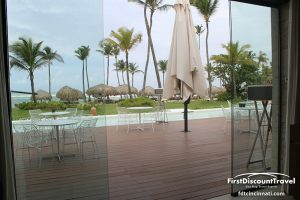 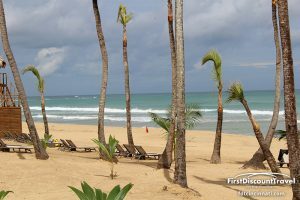 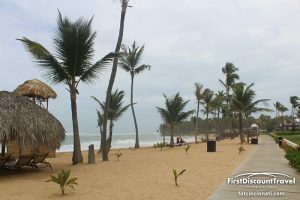 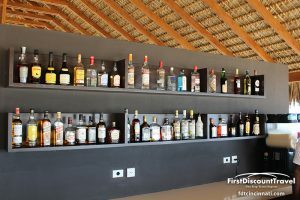 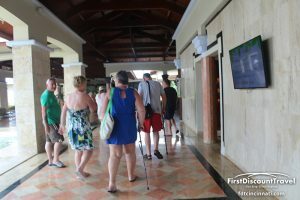 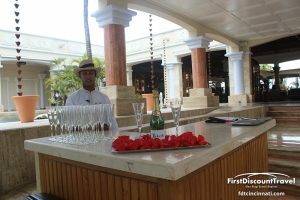 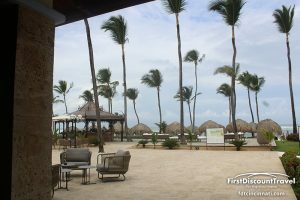 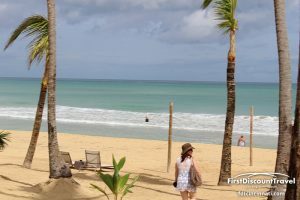 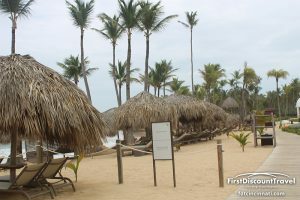 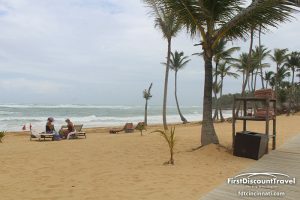 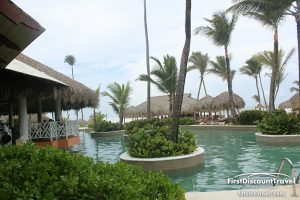 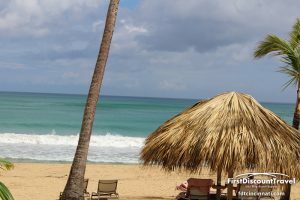 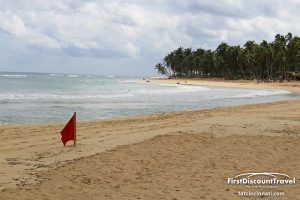 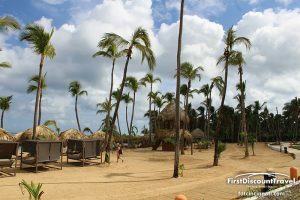 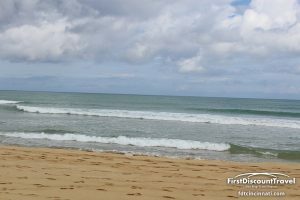 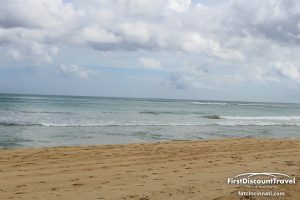 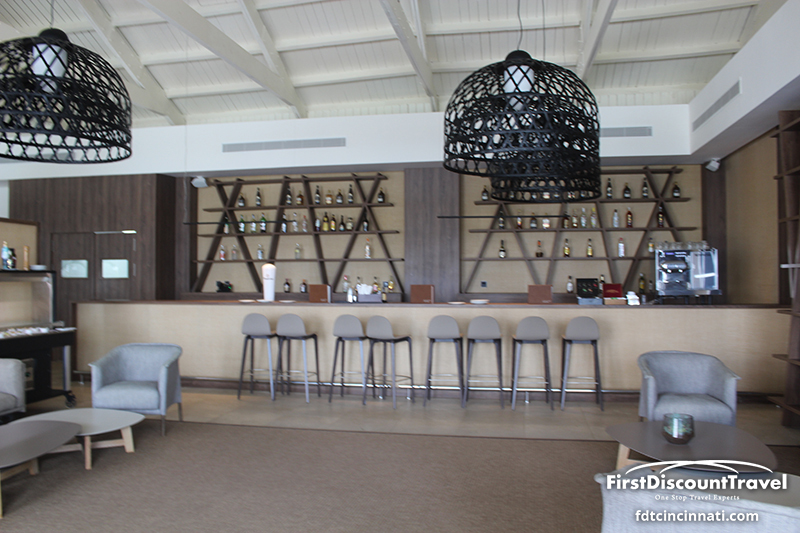 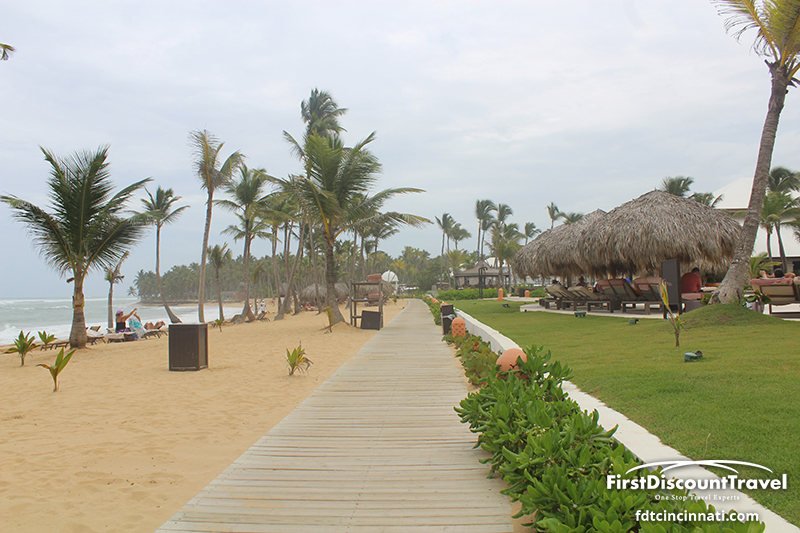 Nestled among palm groves on an endless Caribbean powdery -sand beach, Punta Cana is an adults only resort where everything is taken care of and nothing is left to chance. 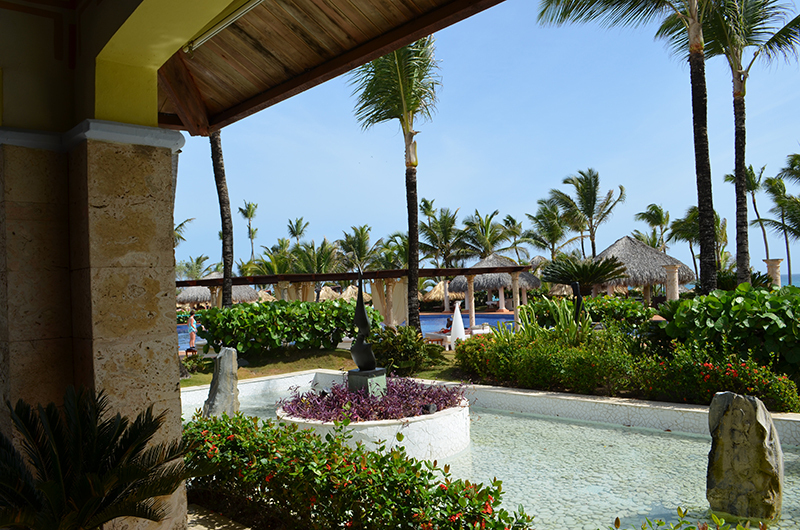 Create those moments of bliss you dream of…Here at Excellence Punta Cana, you’re always just steps away from the Caribbean Sea and pools that wind through our grounds. Indulgence is at your fingertips. 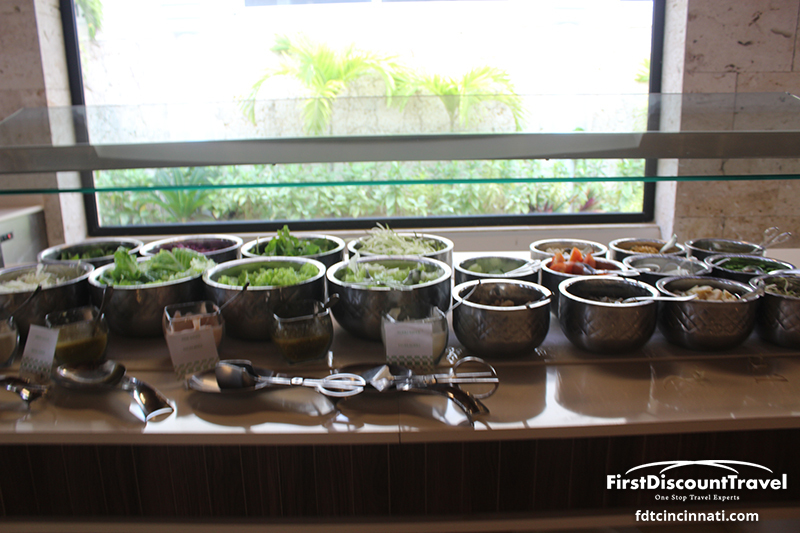 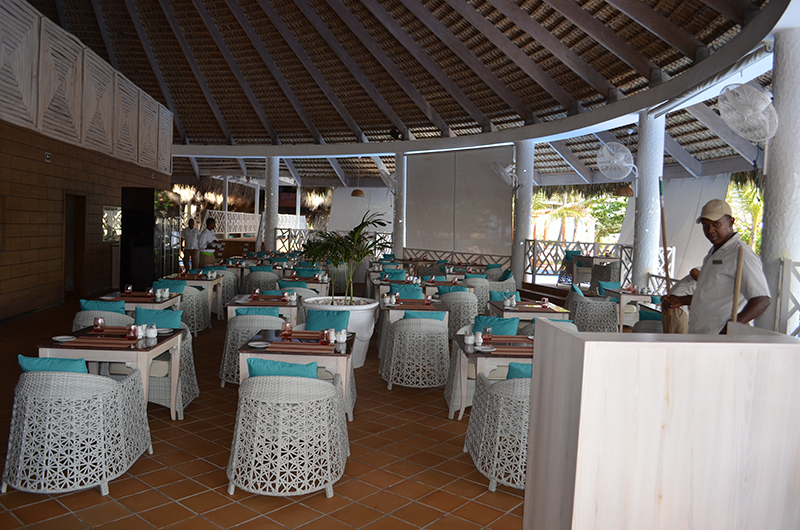 Experience gourmet dining options at our eight international restaurants. 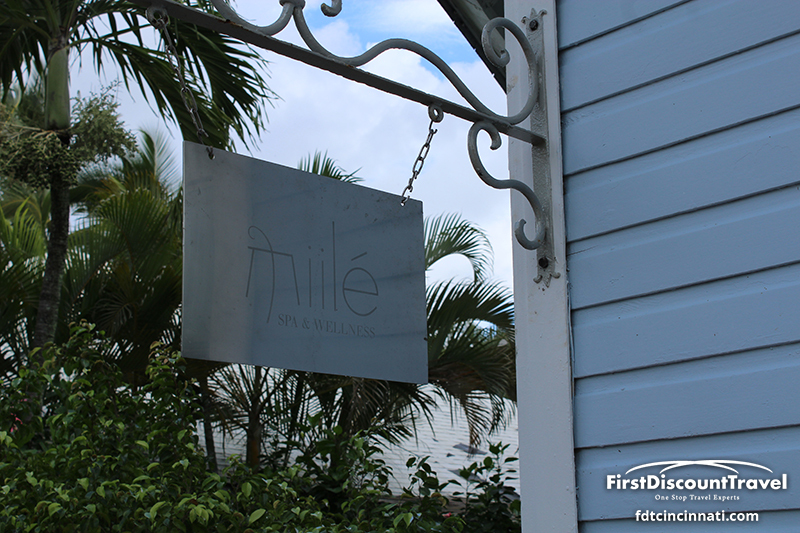 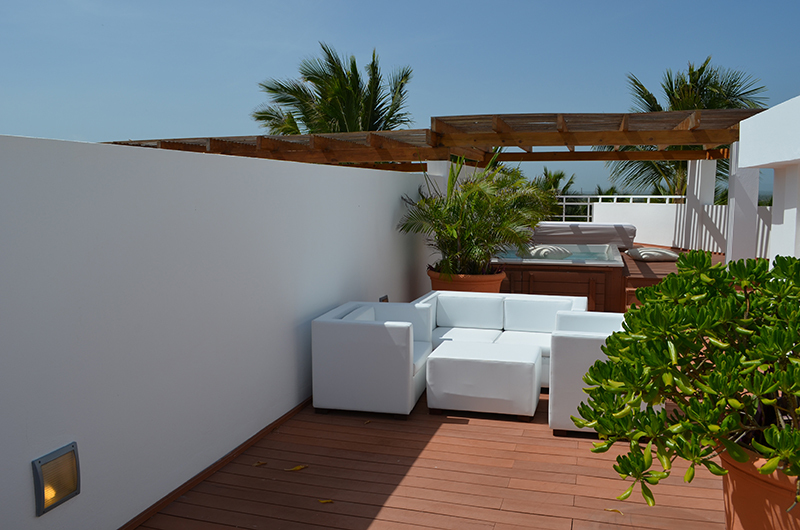 And pamper yourself at Miilé Spa, a relaxation garden for wellness and renewal. No need for planning. 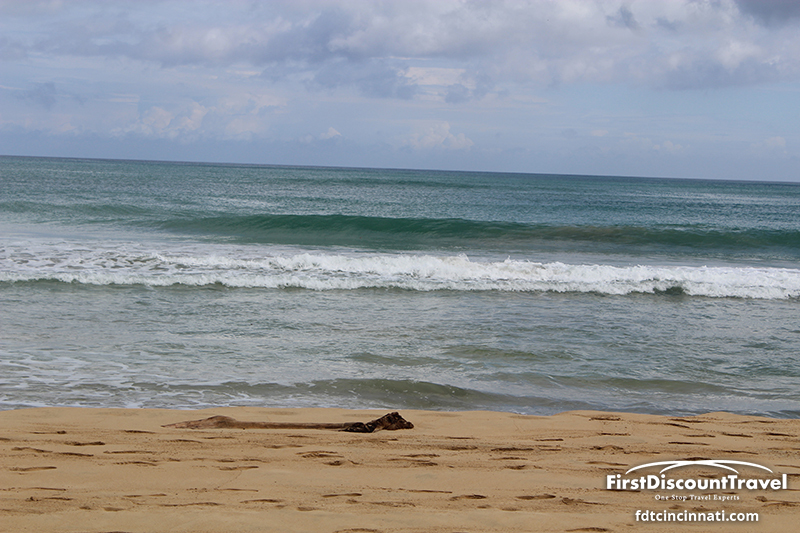 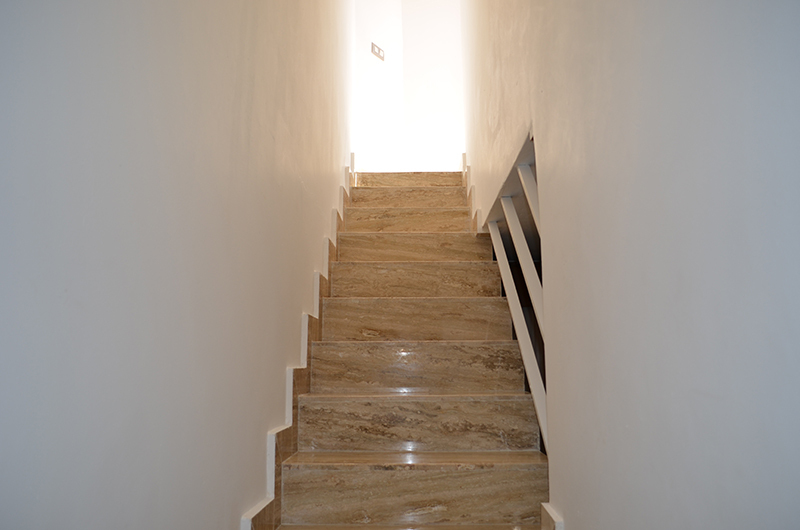 Your days unfold naturally, full of light, air and distinction. 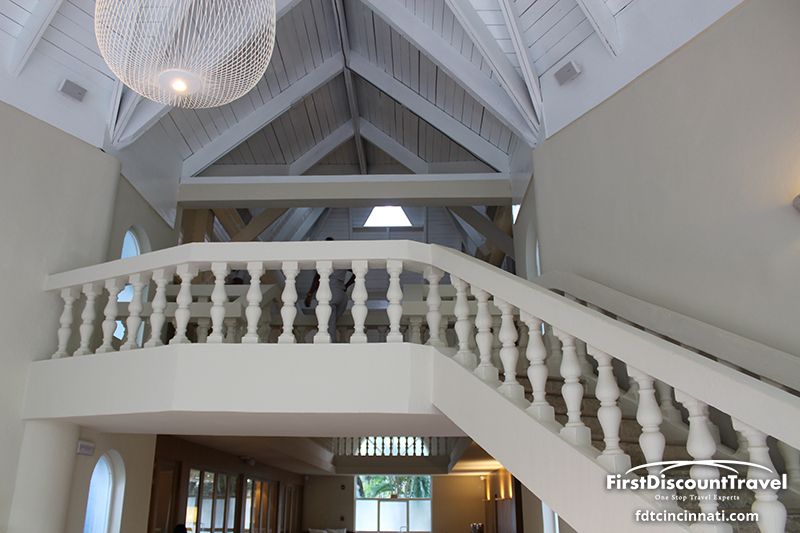 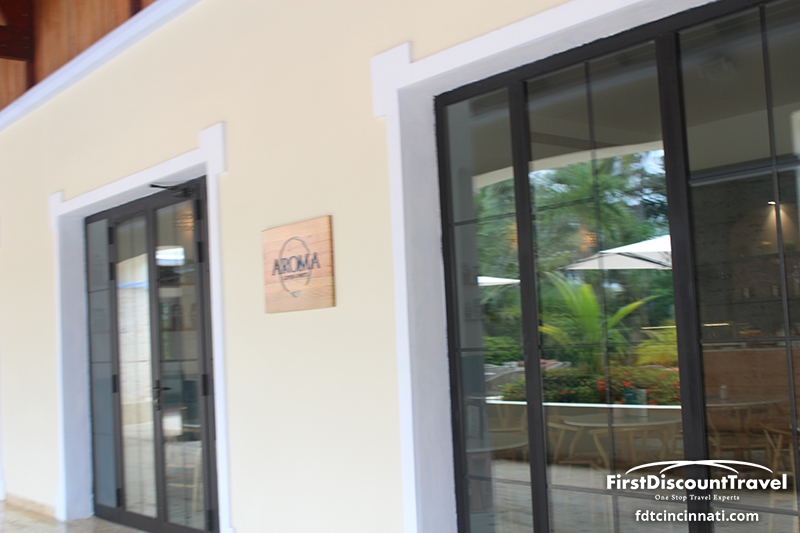 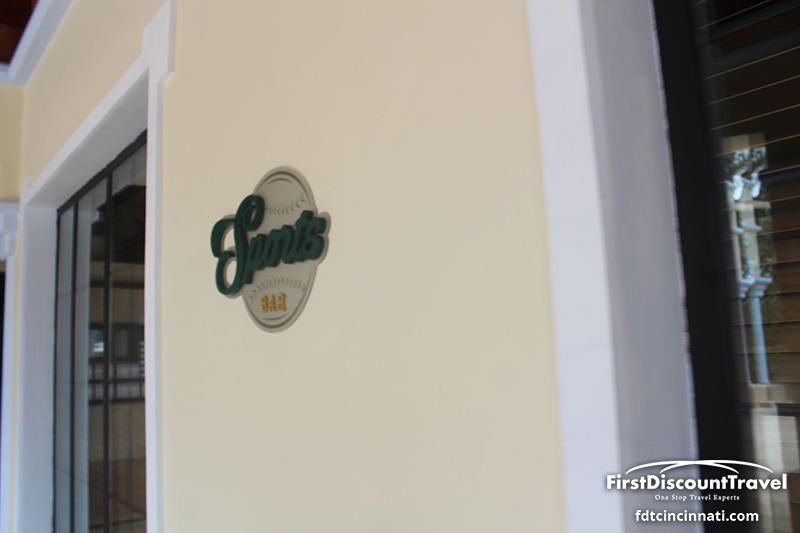 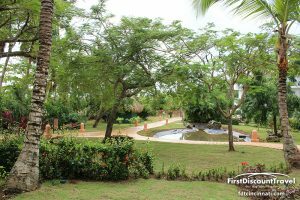 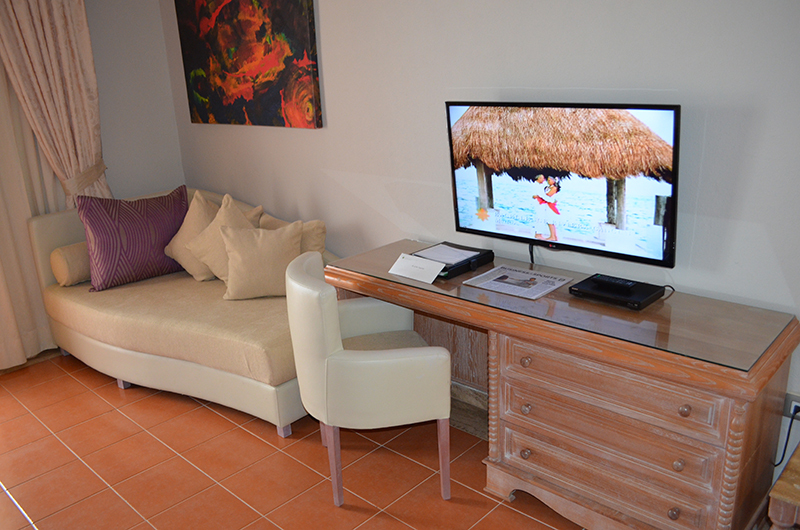 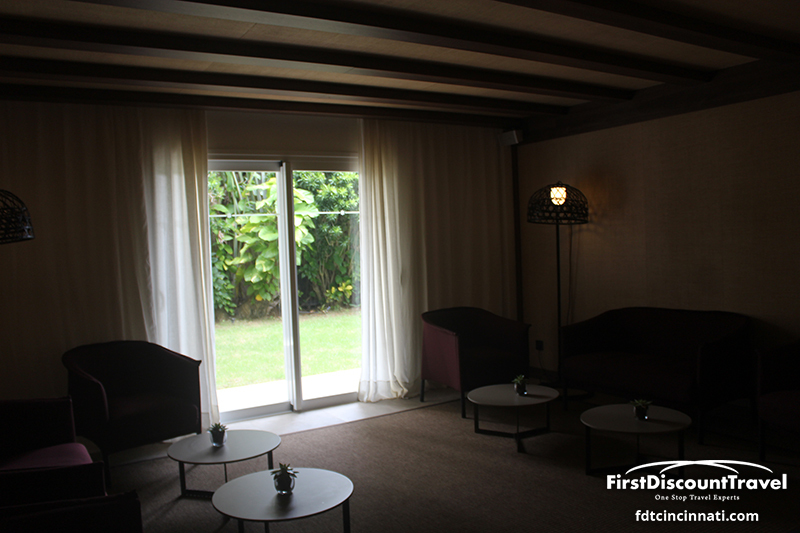 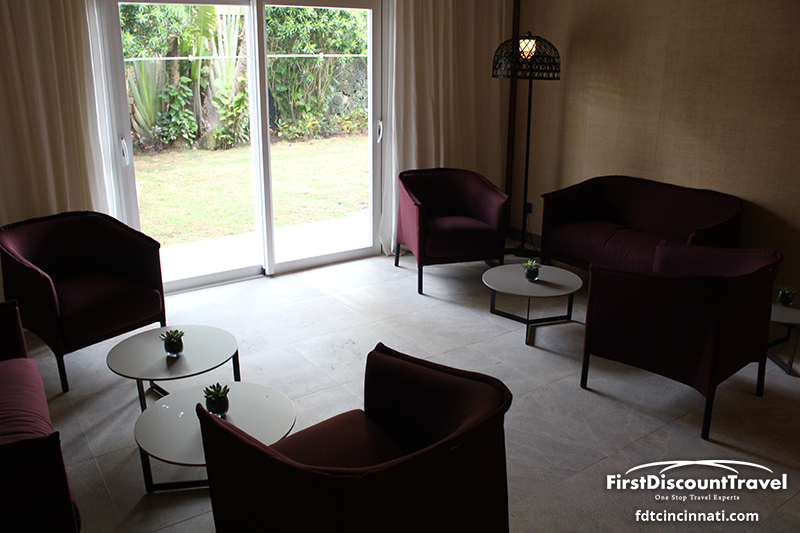 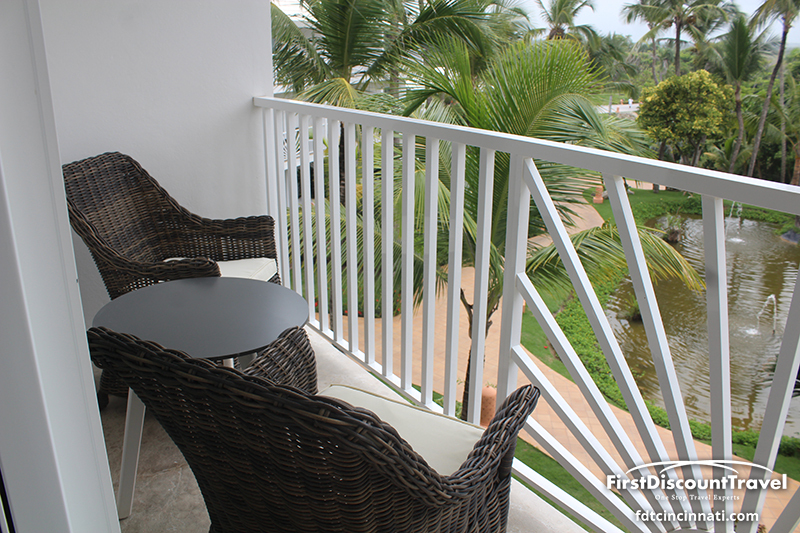 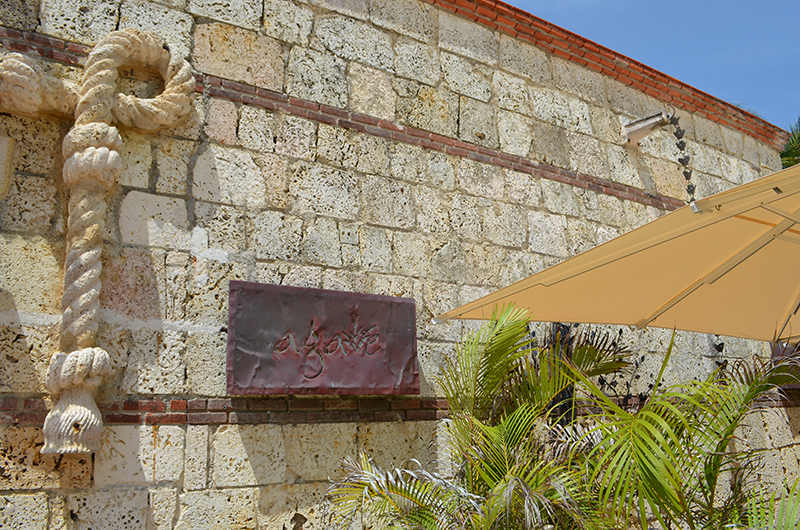 Our classic colonial-style hideaway is just 35 miles from Punta Cana International Airport and 60 miles from La Romana International Airport. But we’re worlds away from the demands of the everyday. 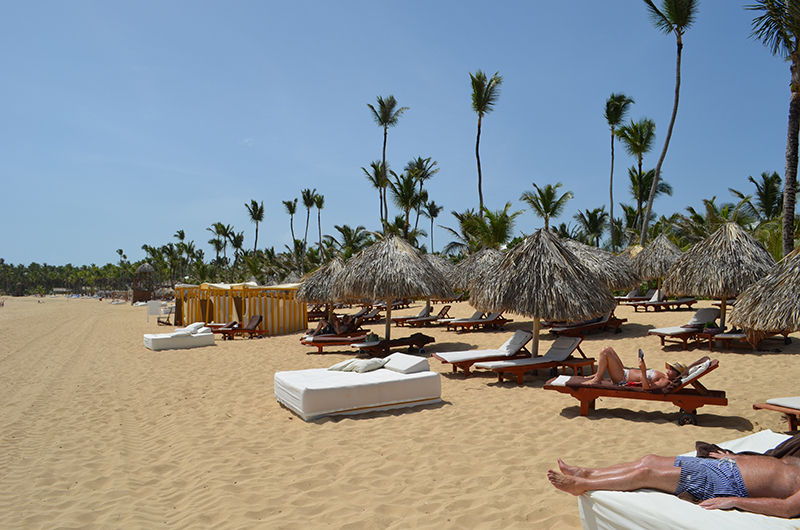 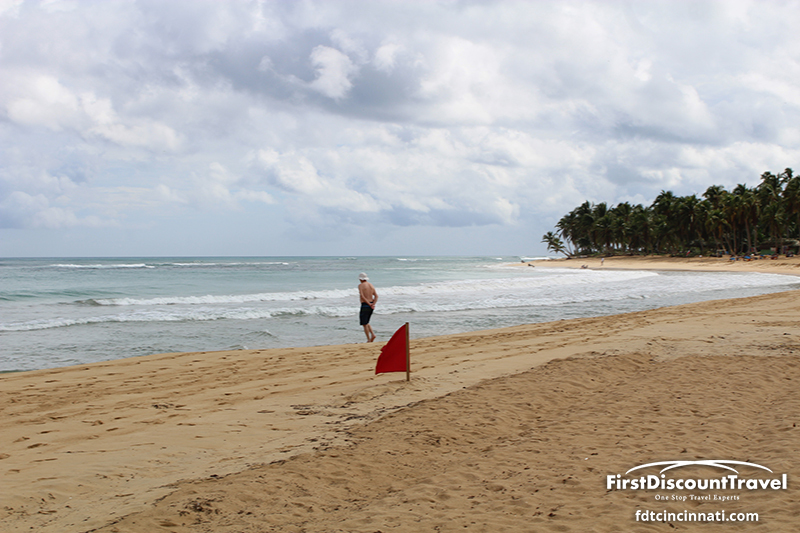 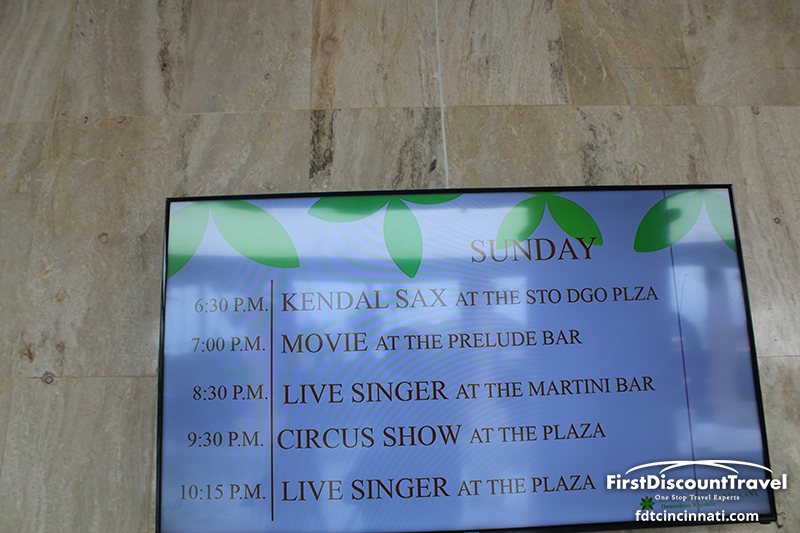 Come see what it really means to get away from it all—at Excellence Punta Cana, the all-inclusive luxury resort in the Dominican Republic. 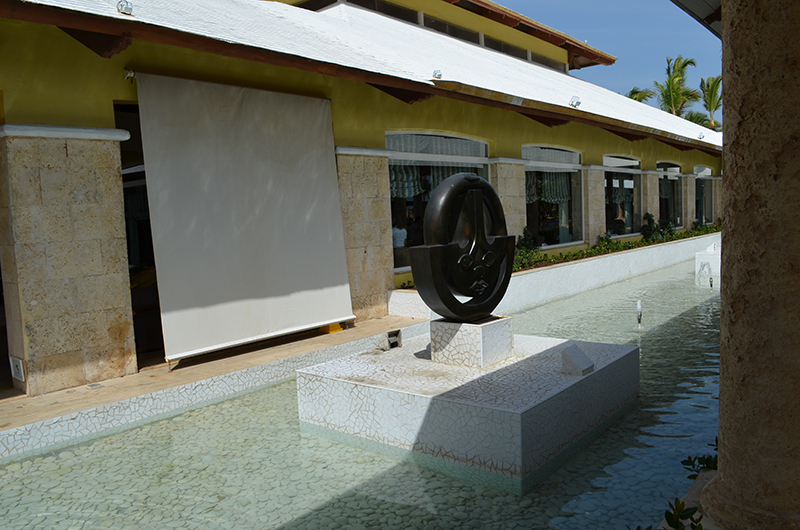 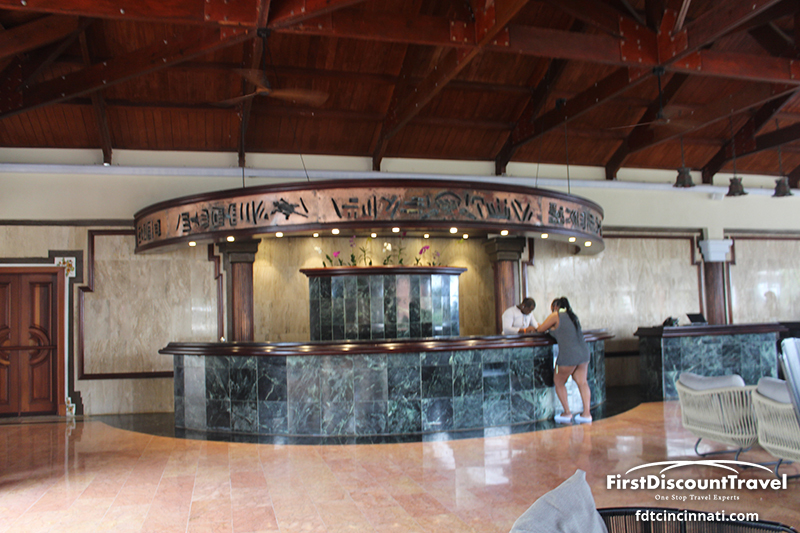 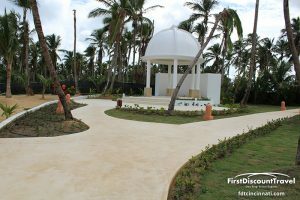 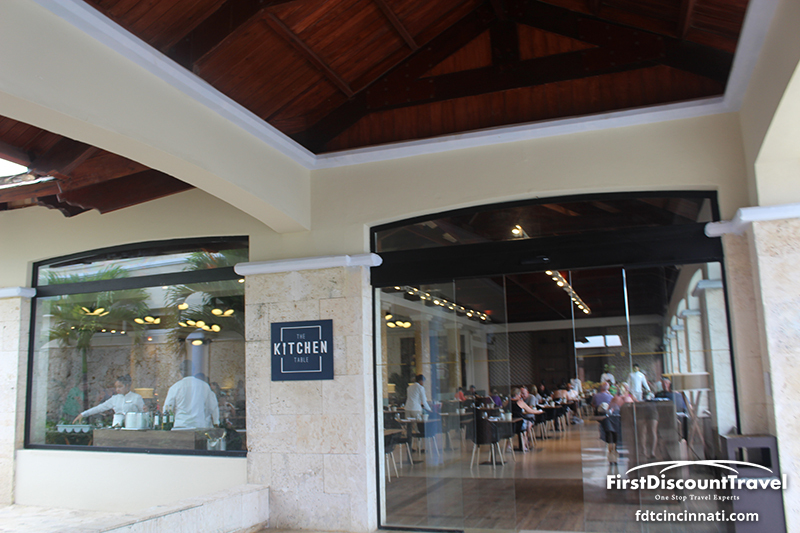 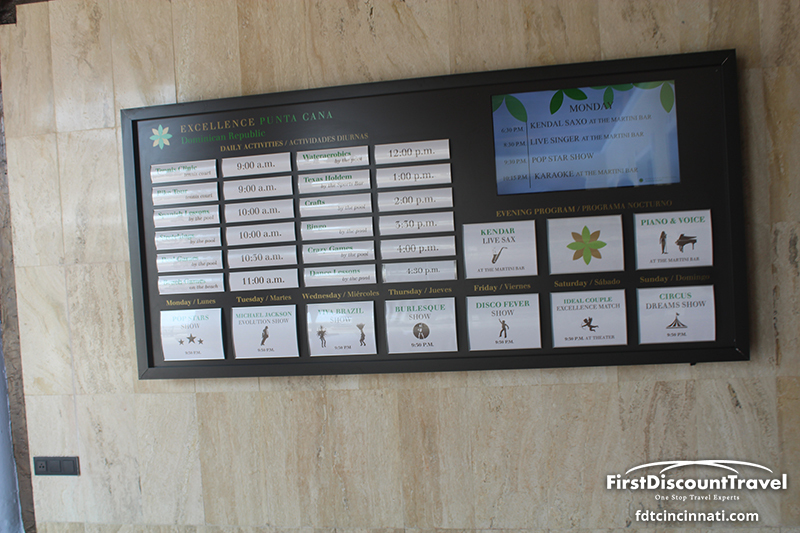 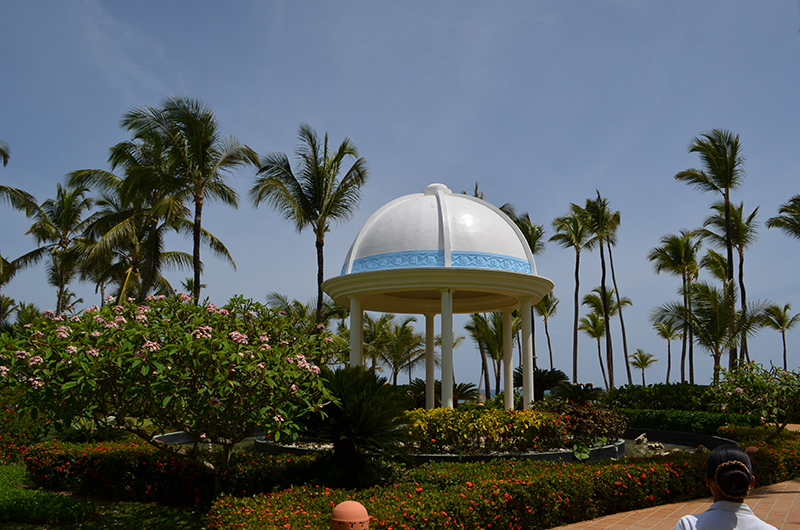 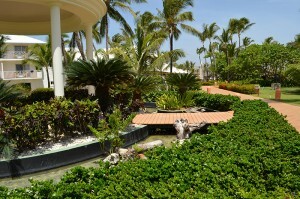 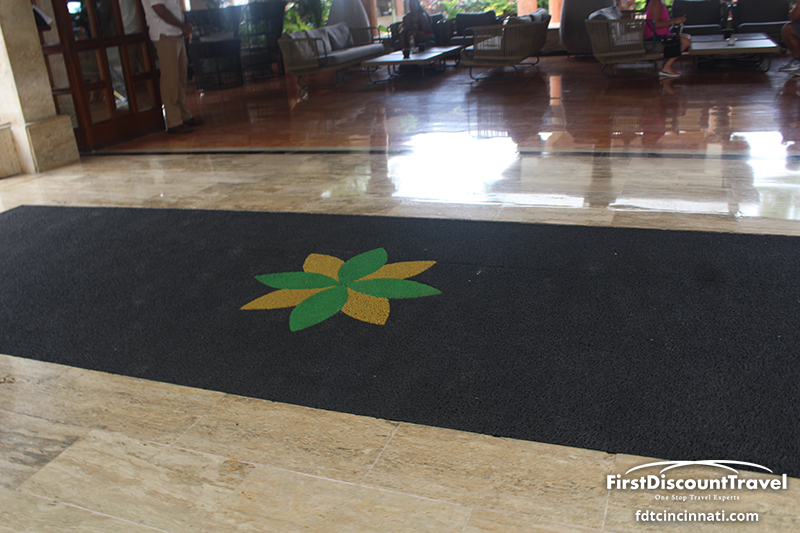 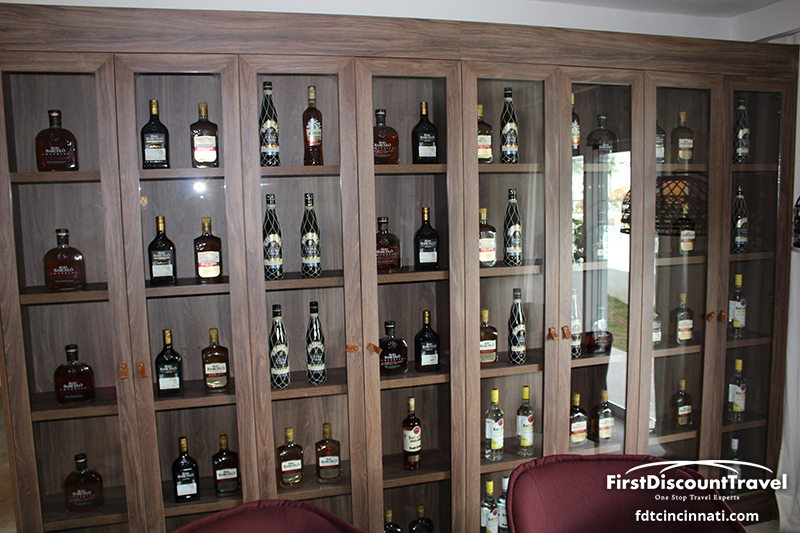 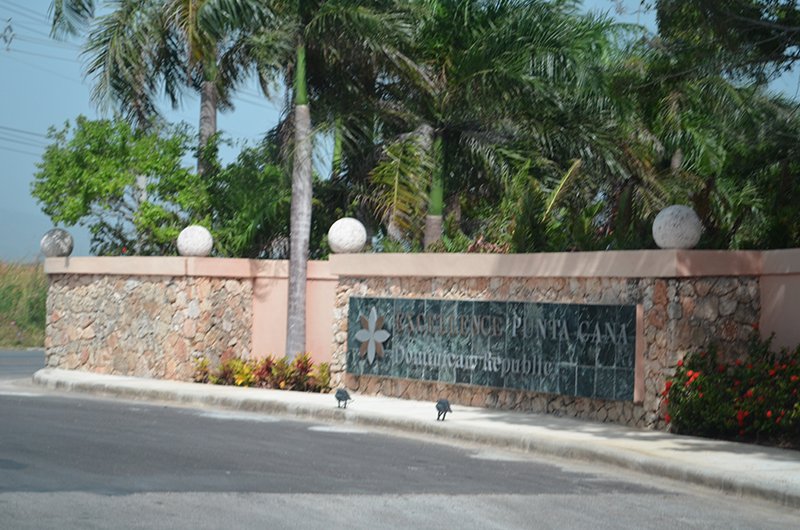 Excellence Punta Cana opened as Secrets Excellence in 2000. 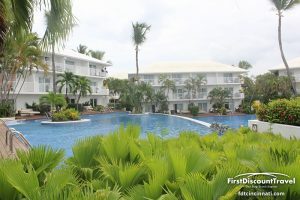 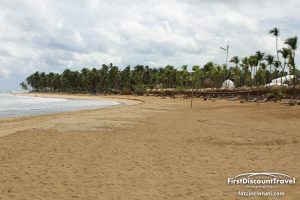 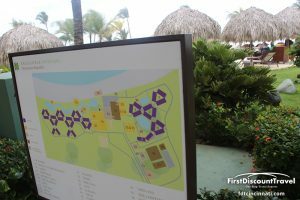 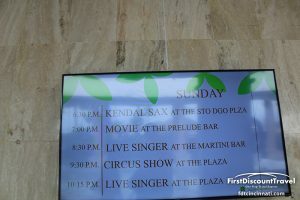 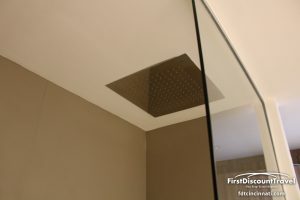 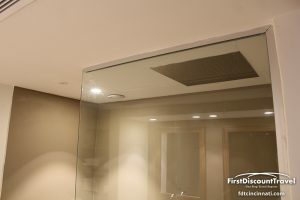 Although the resort has dropped the Secrets franchise, the resort remains very similar with many of the same inclusions. 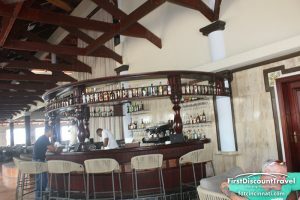 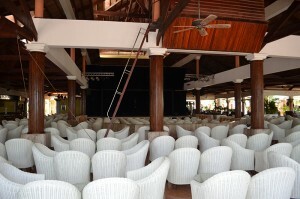 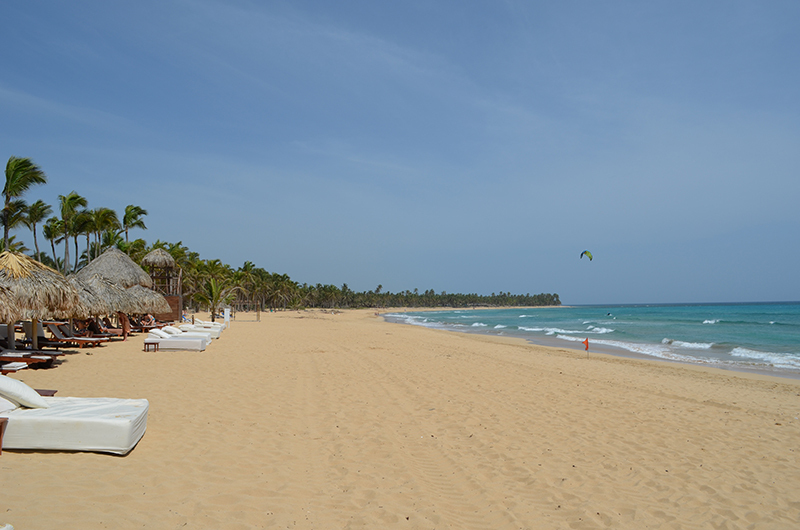 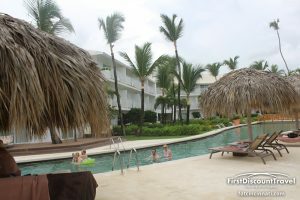 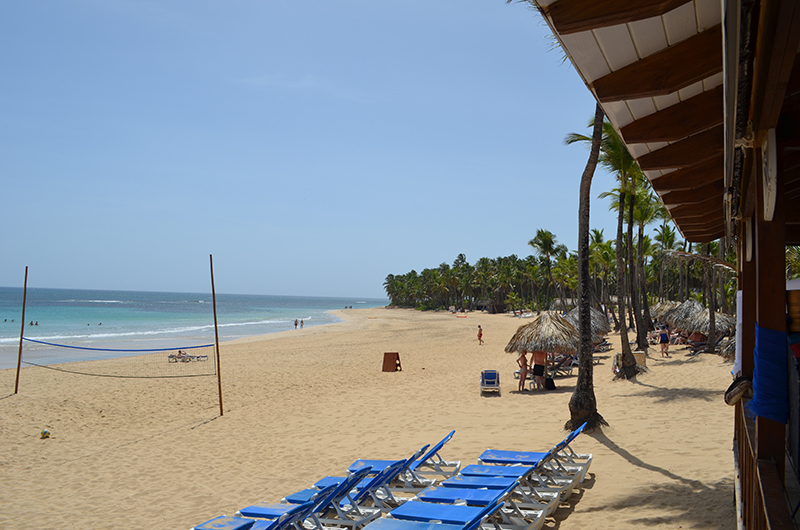 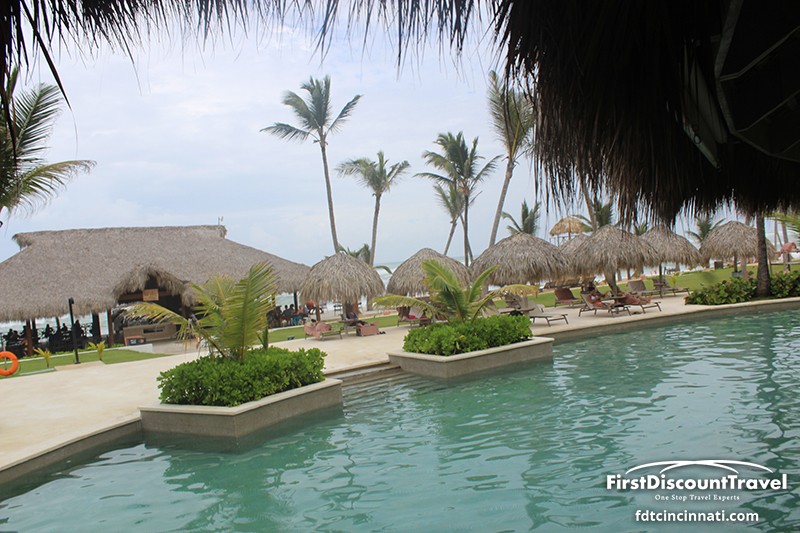 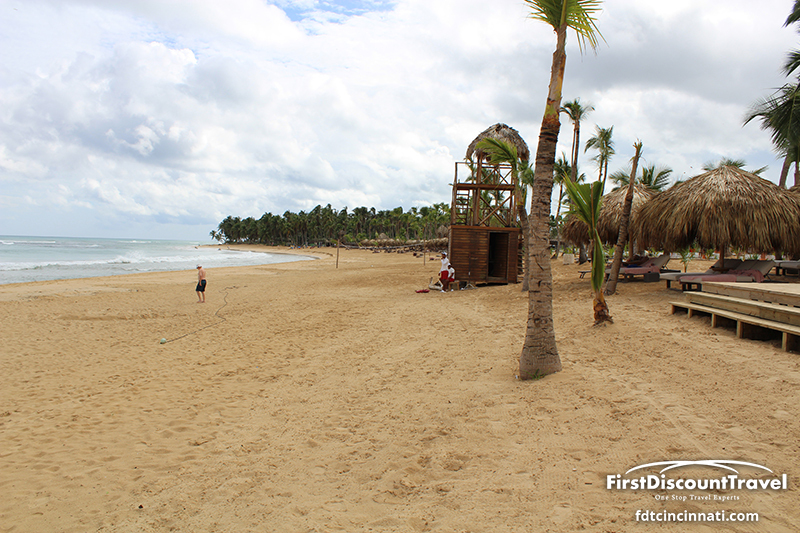 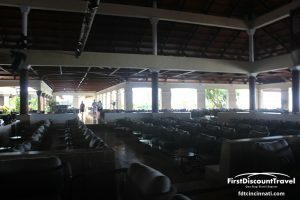 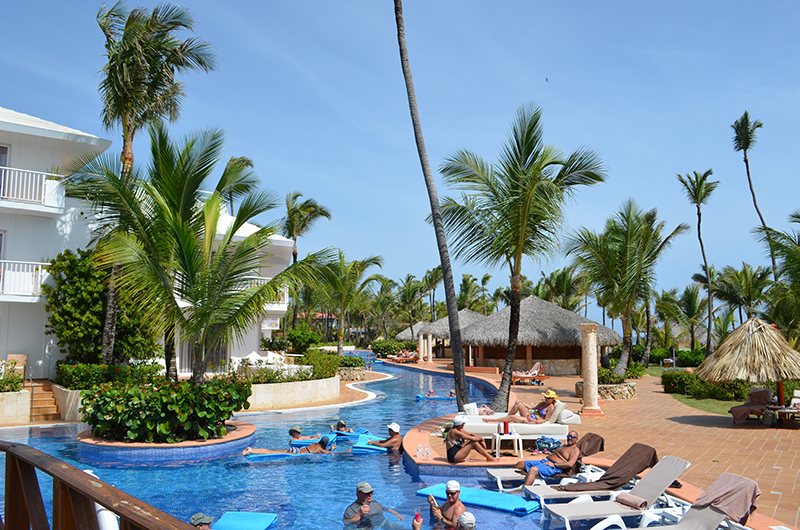 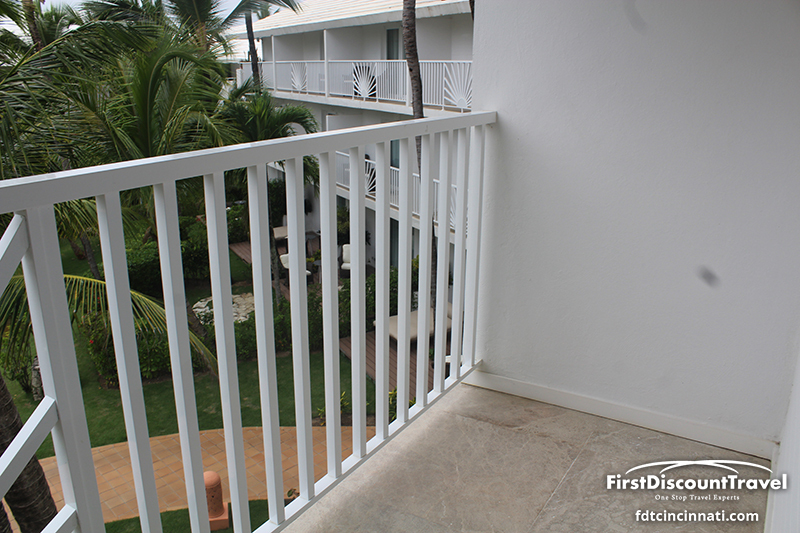 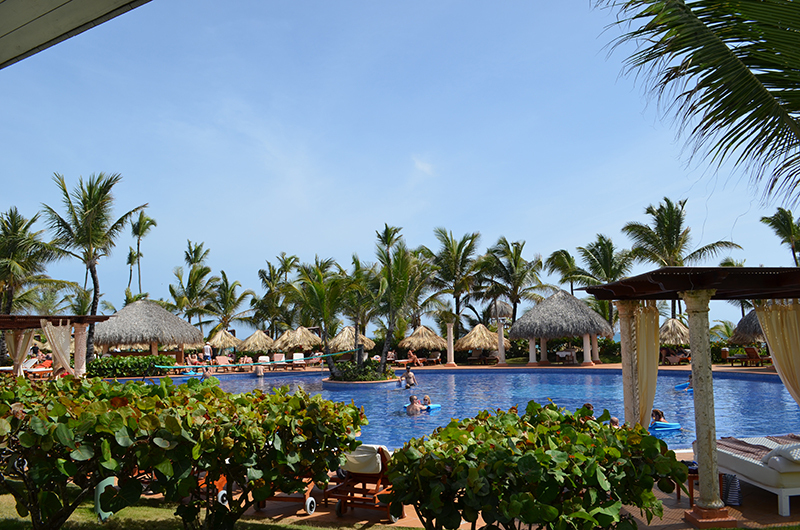 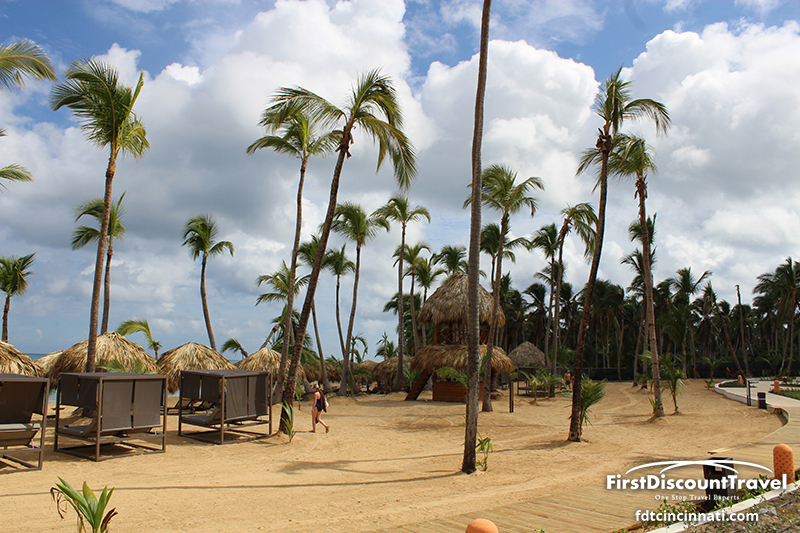 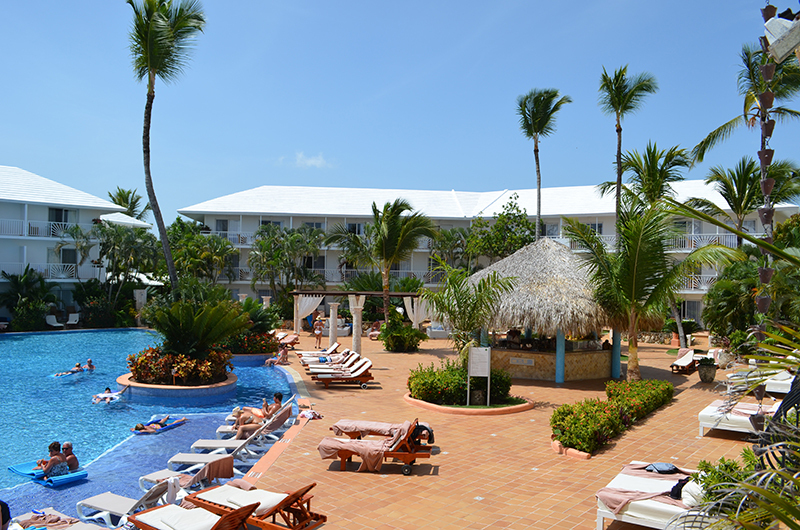 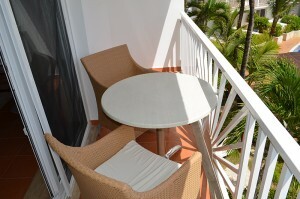 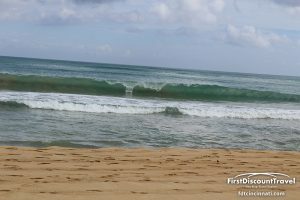 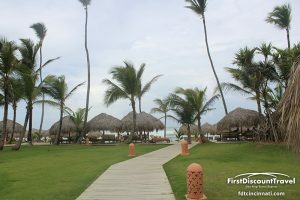 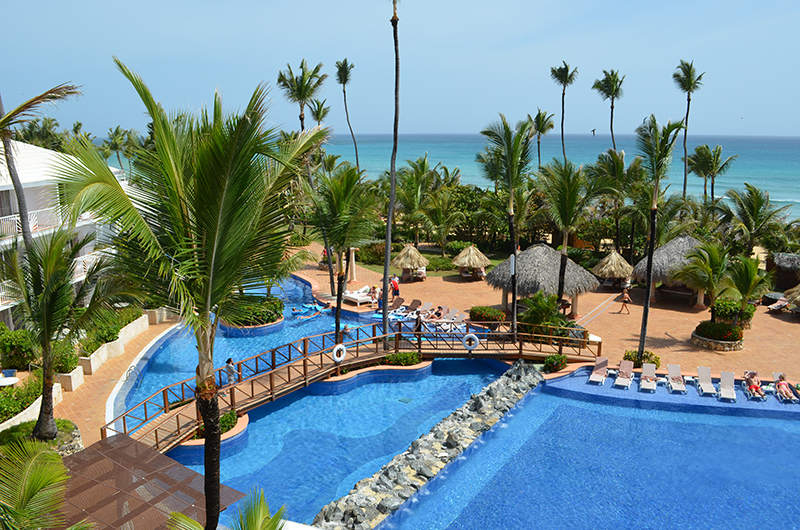 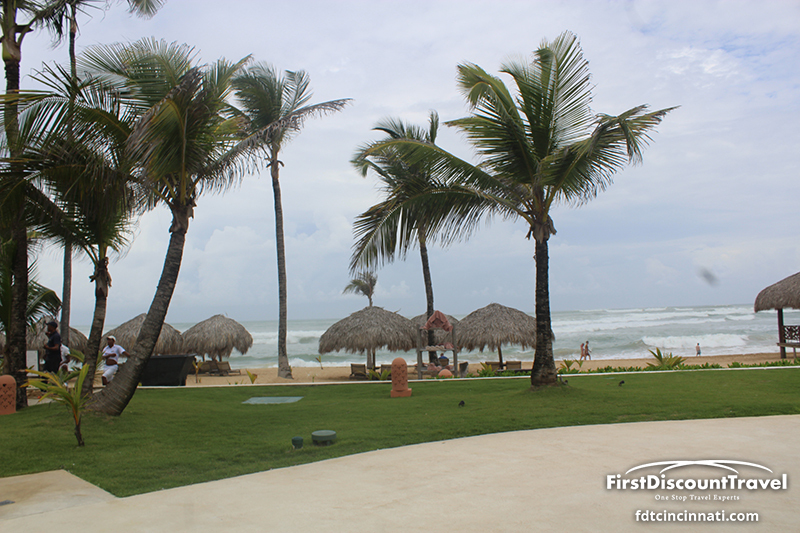 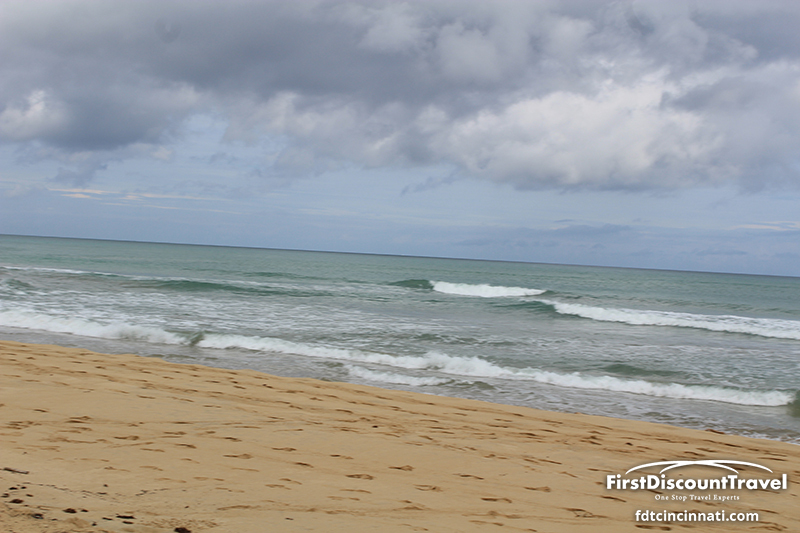 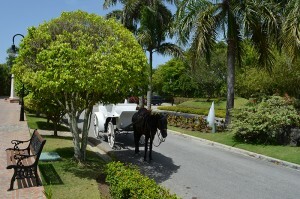 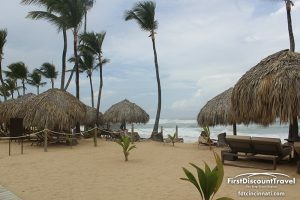 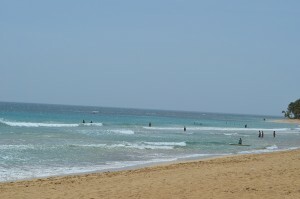 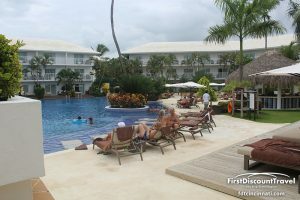 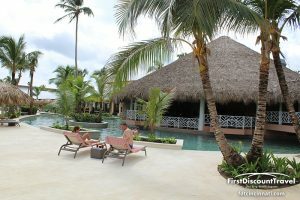 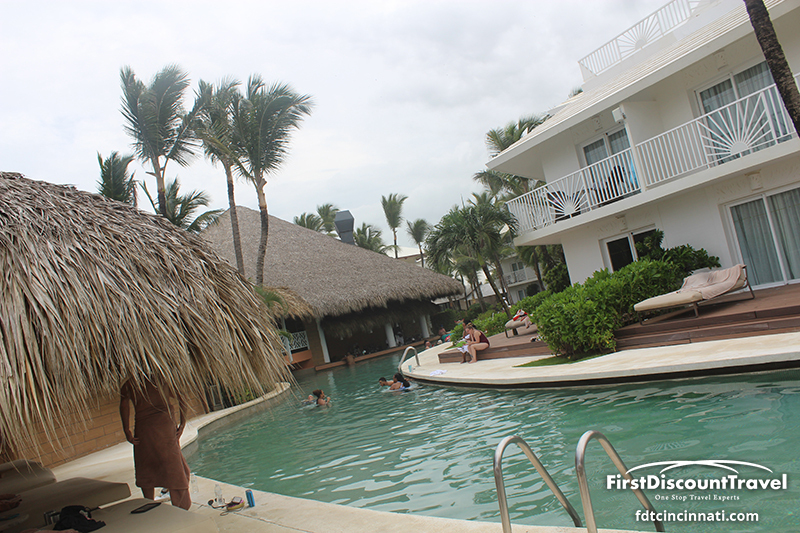 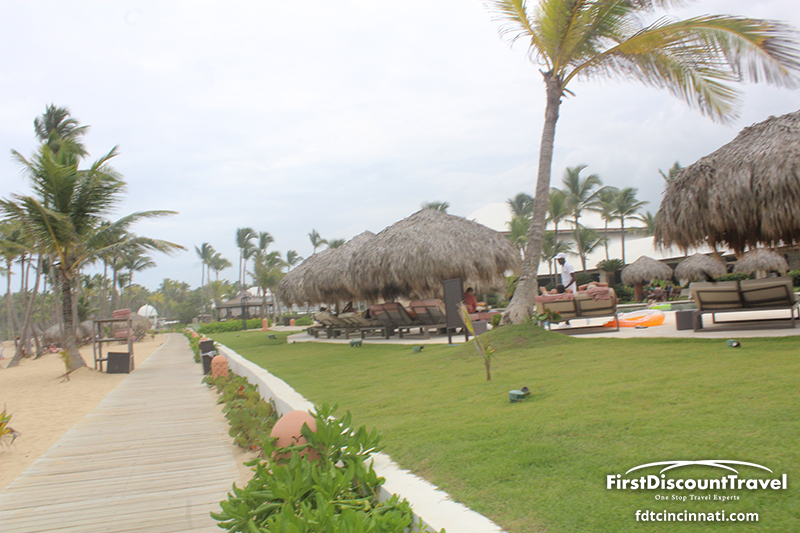 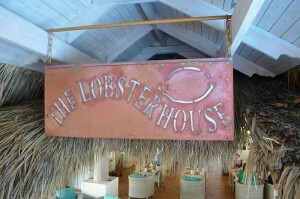 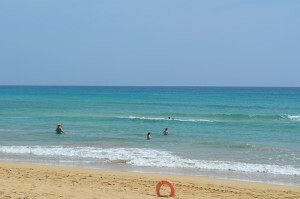 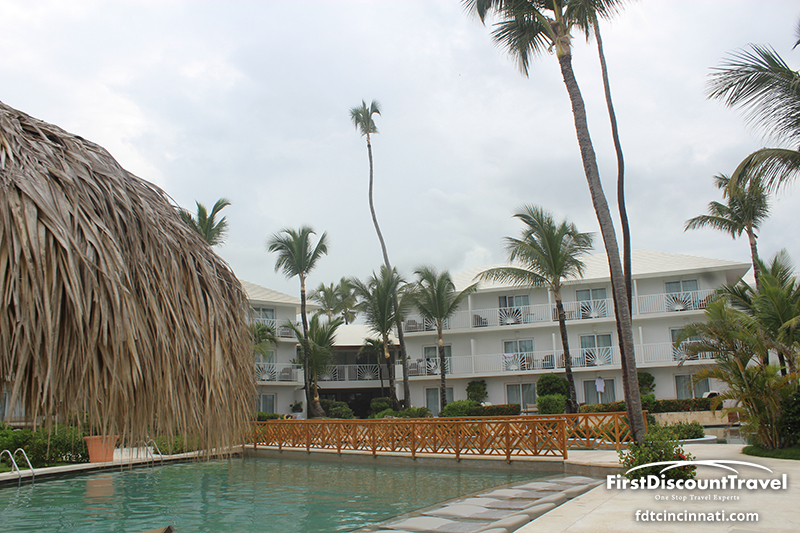 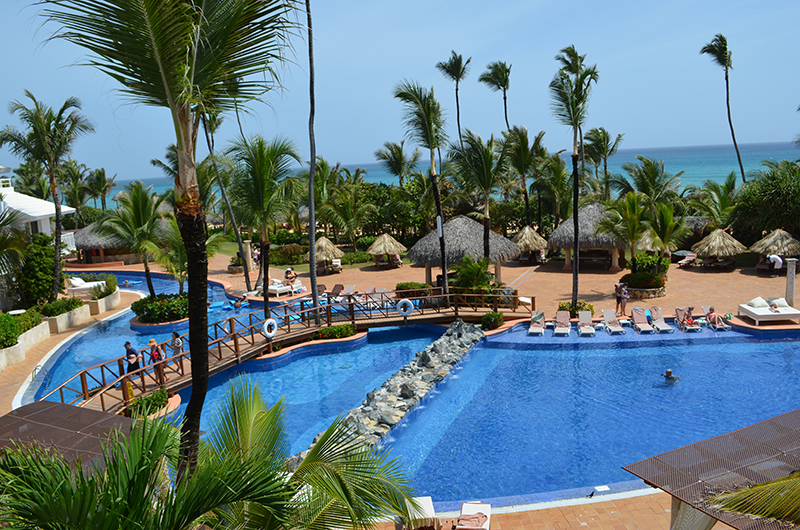 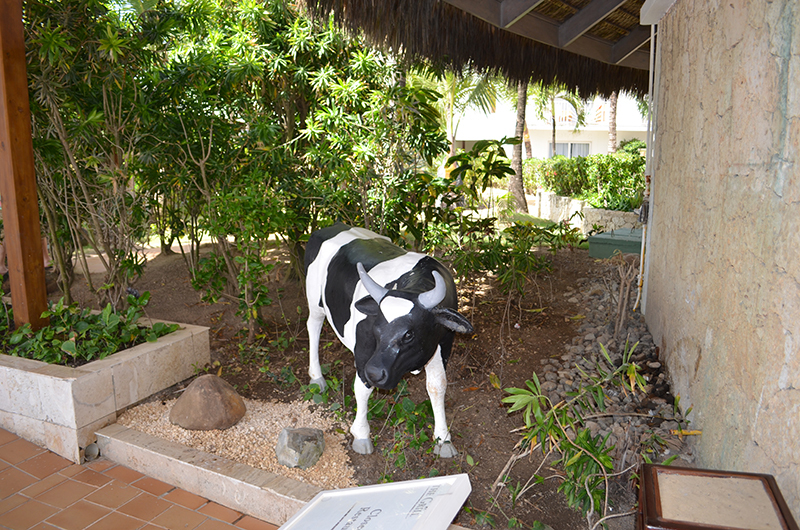 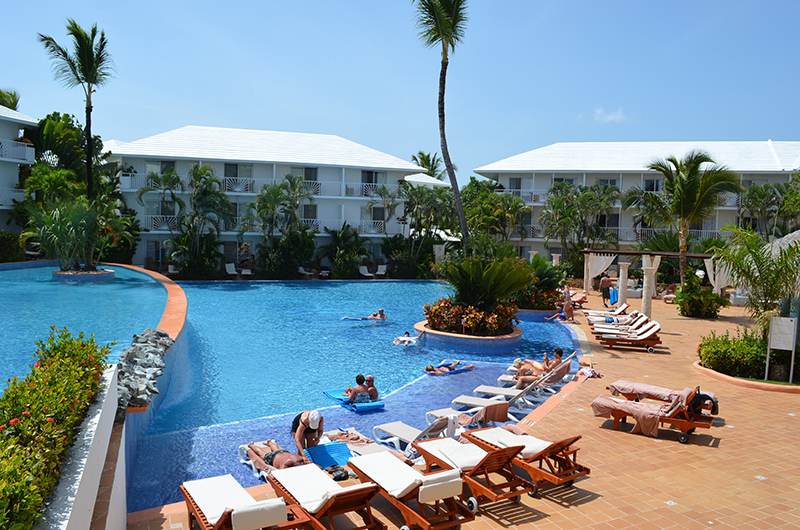 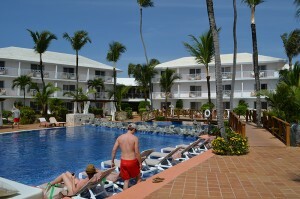 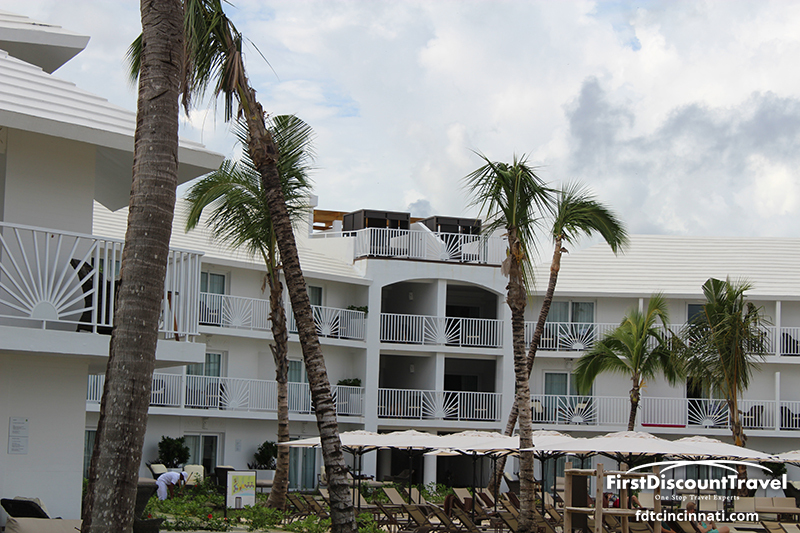 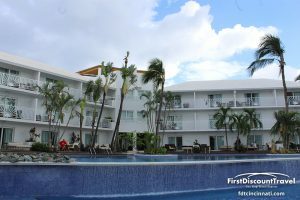 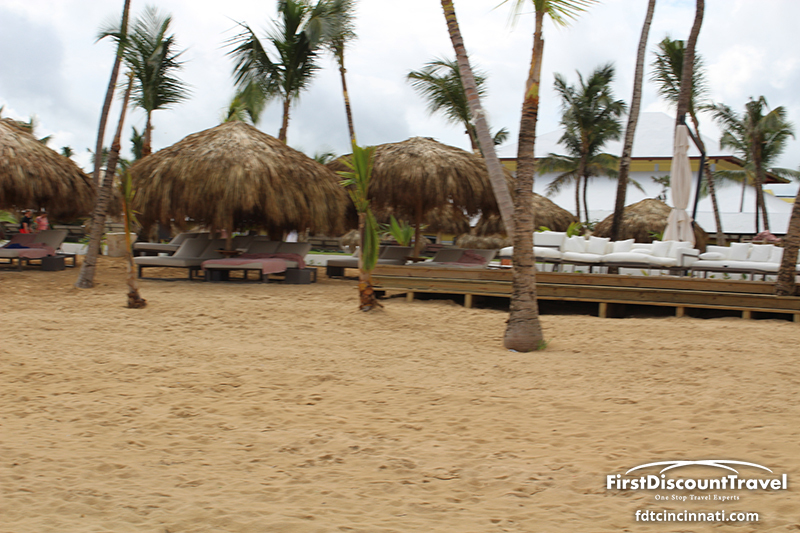 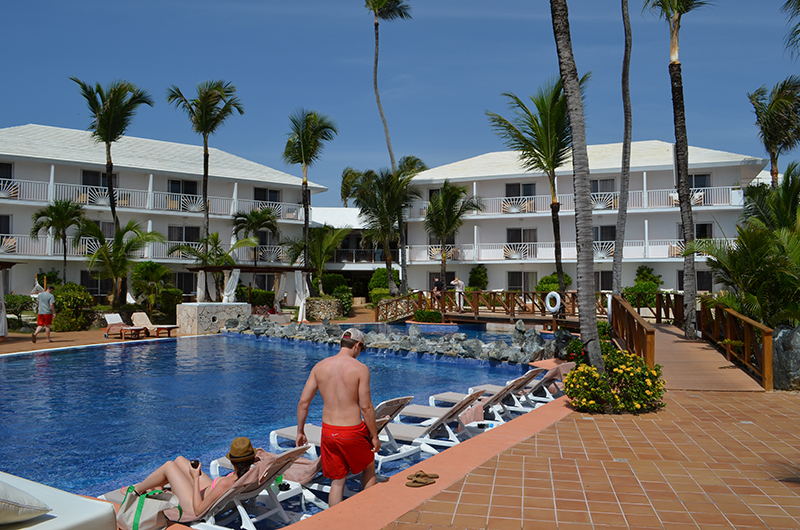 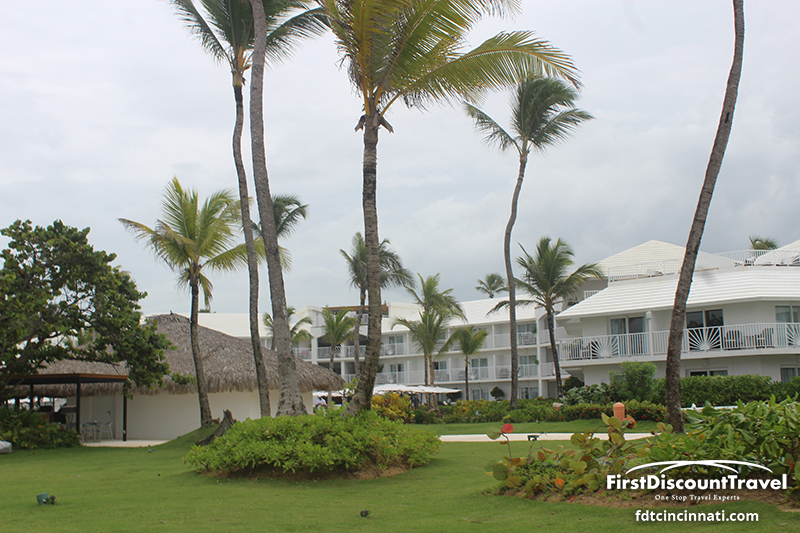 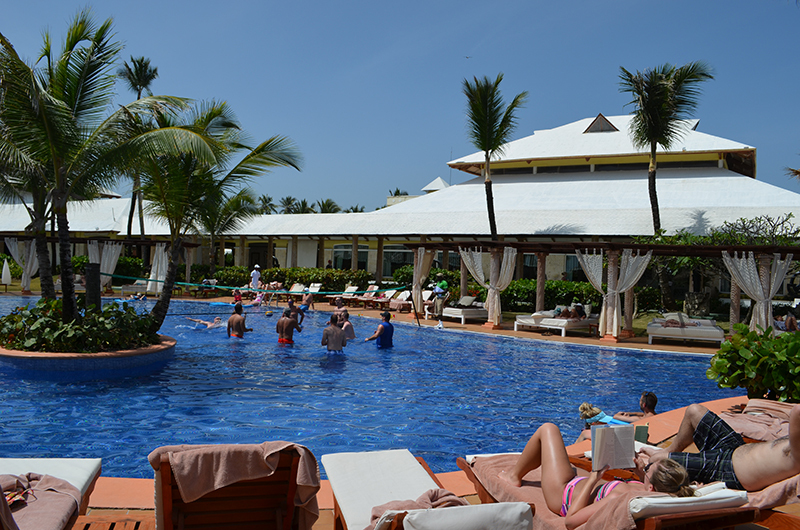 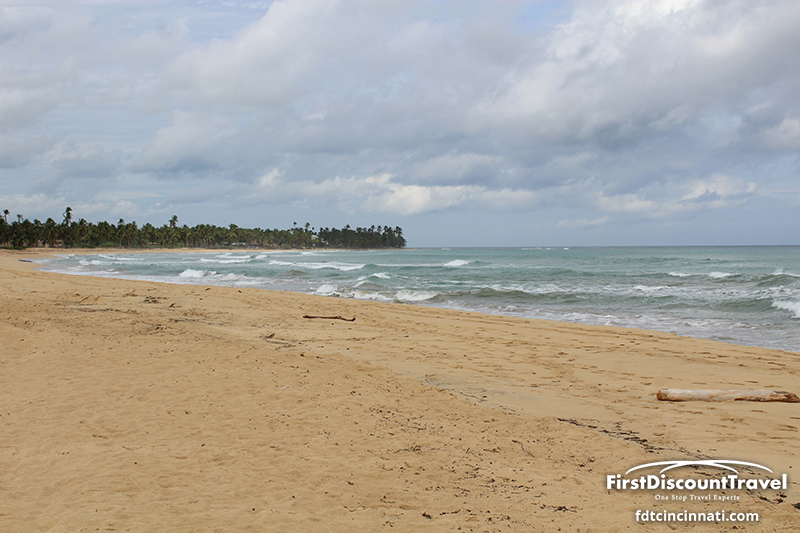 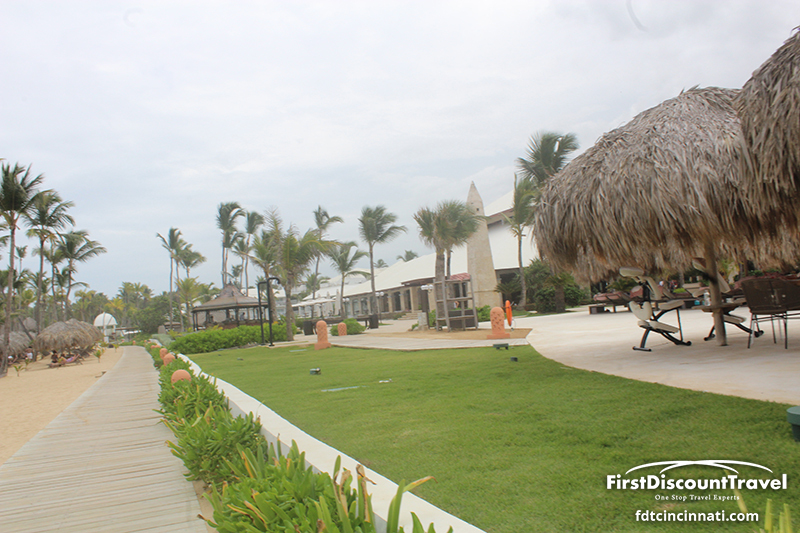 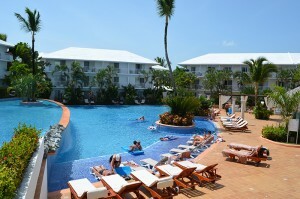 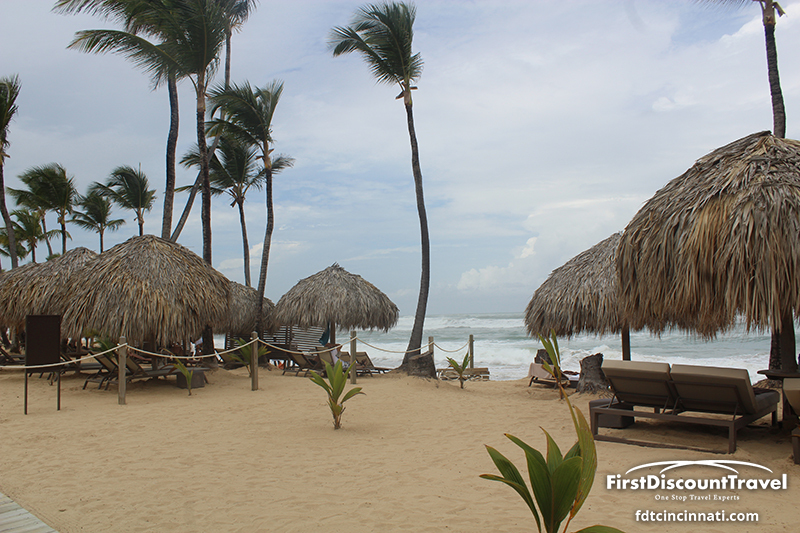 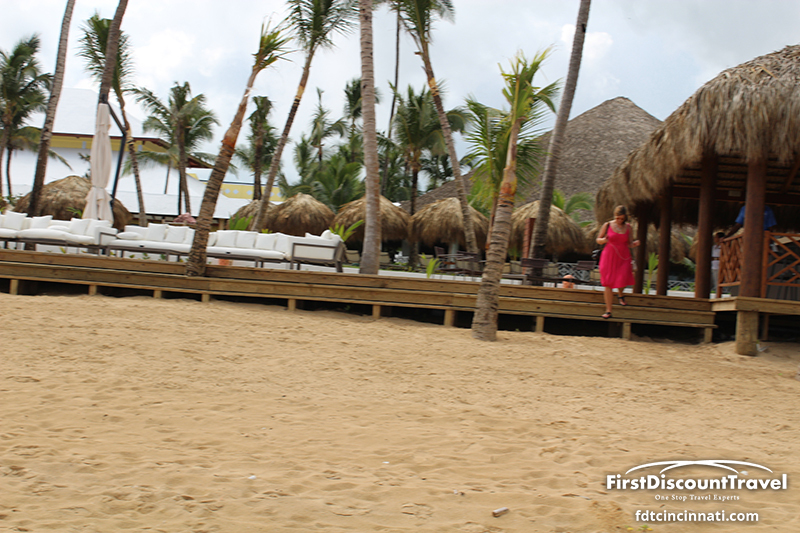 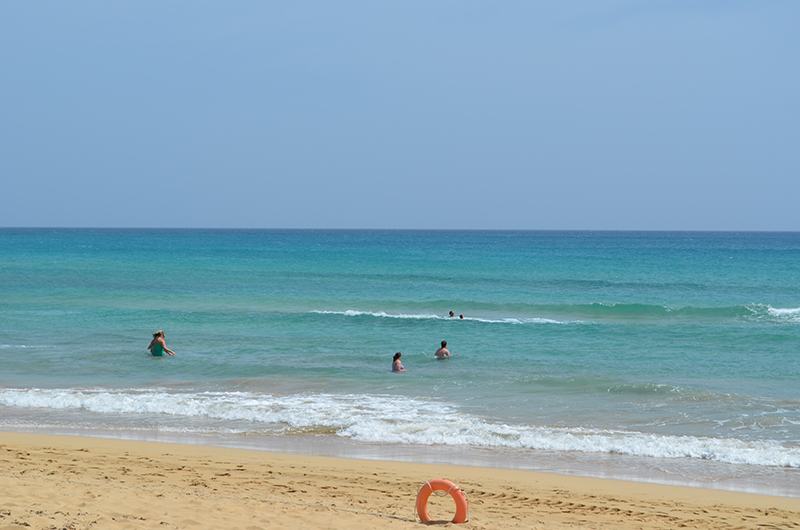 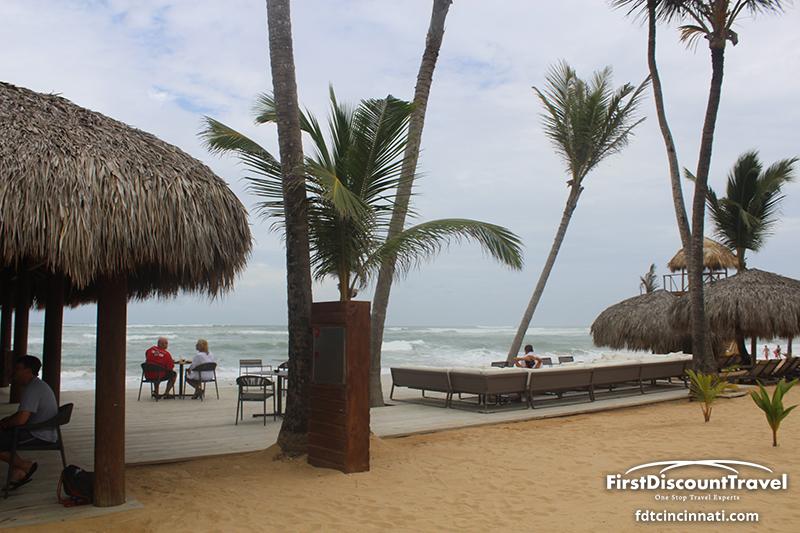 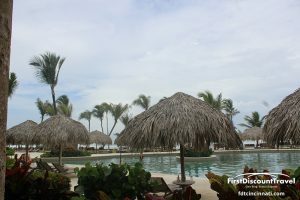 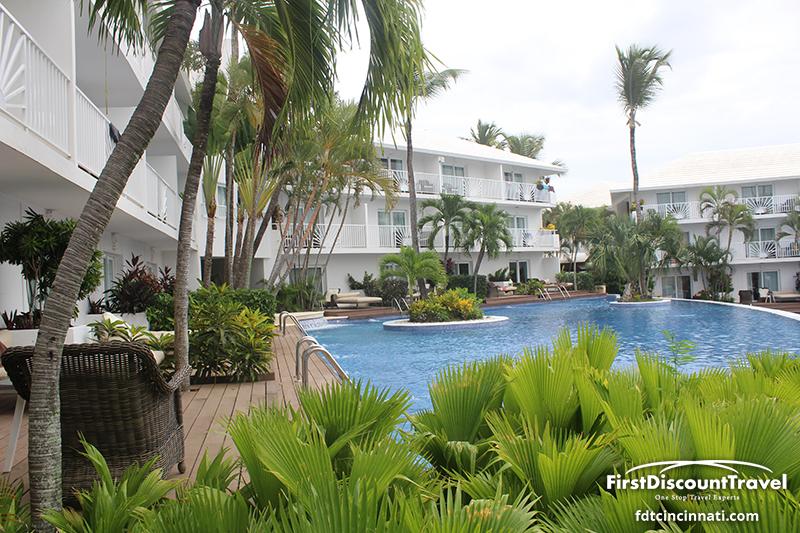 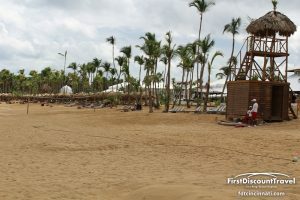 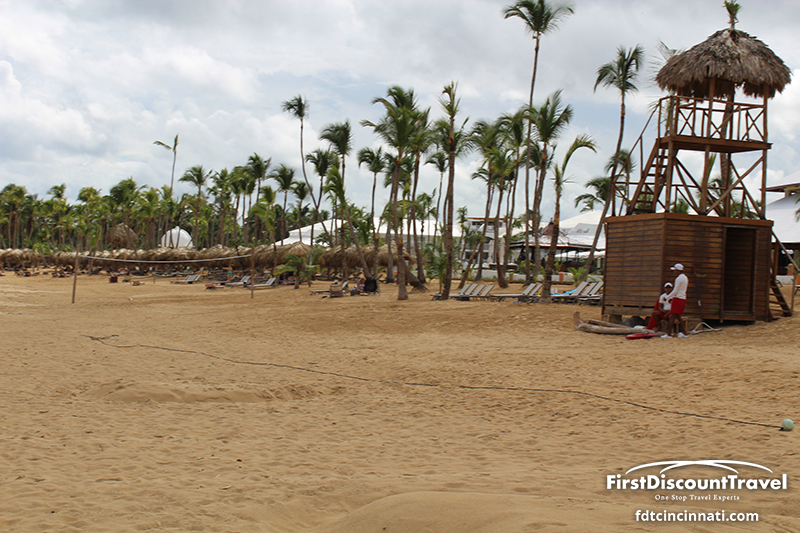 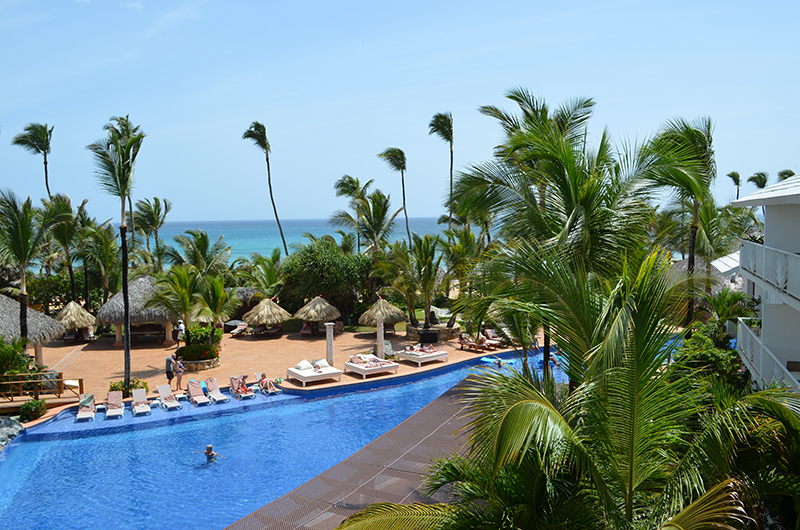 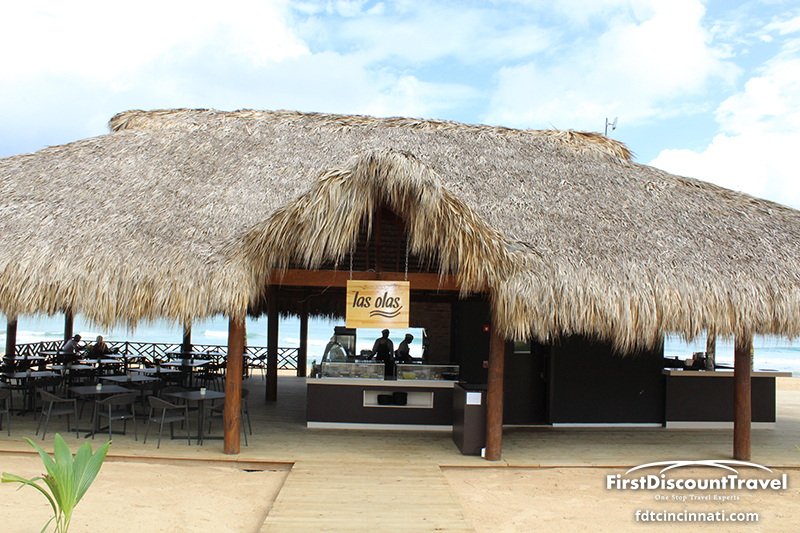 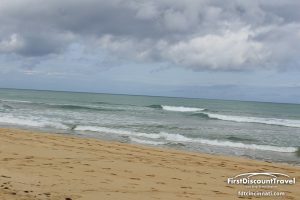 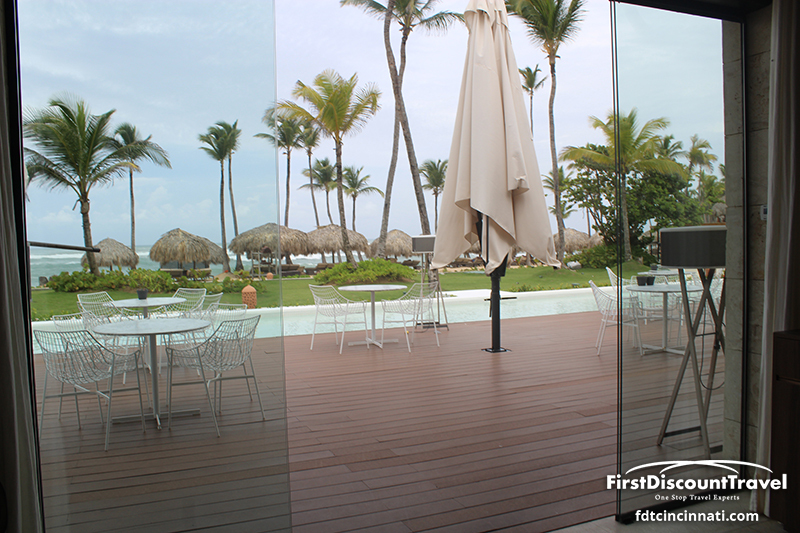 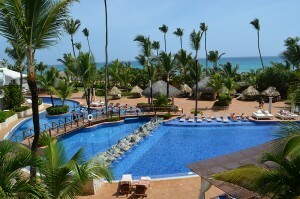 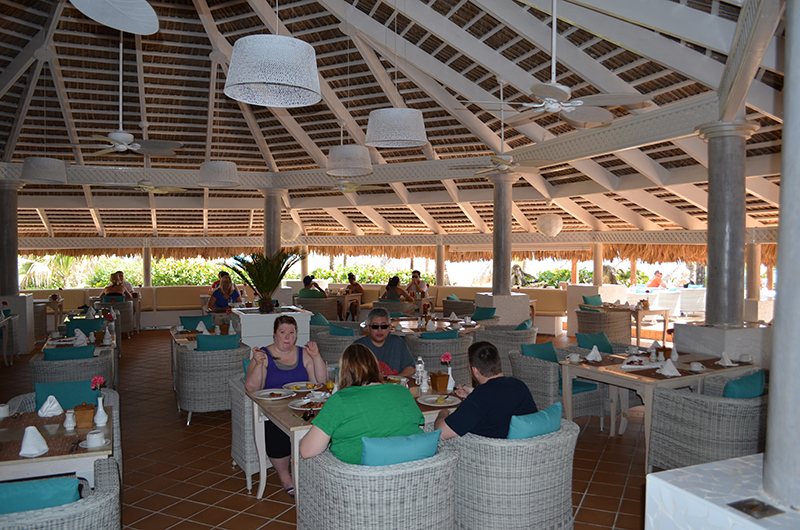 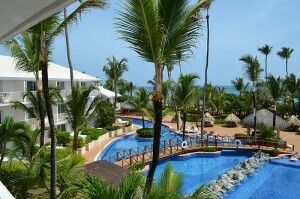 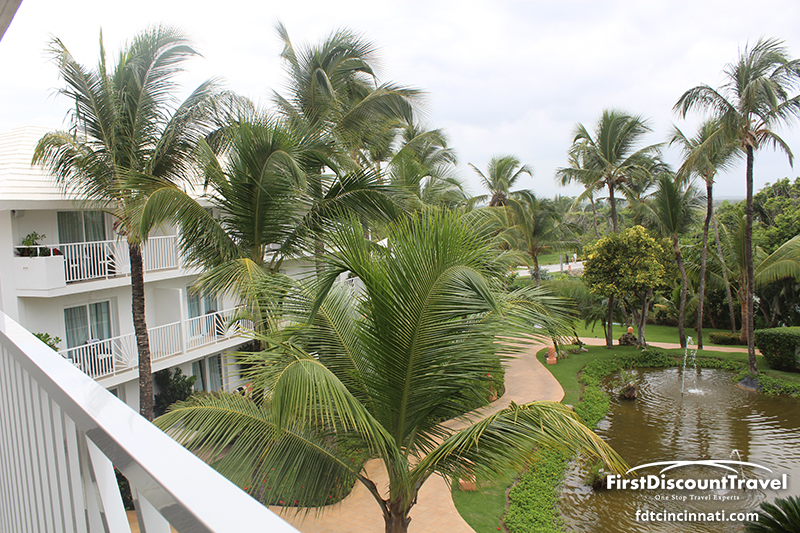 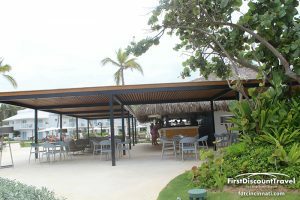 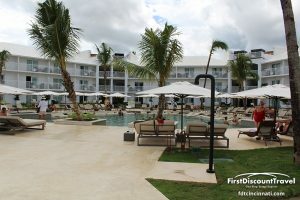 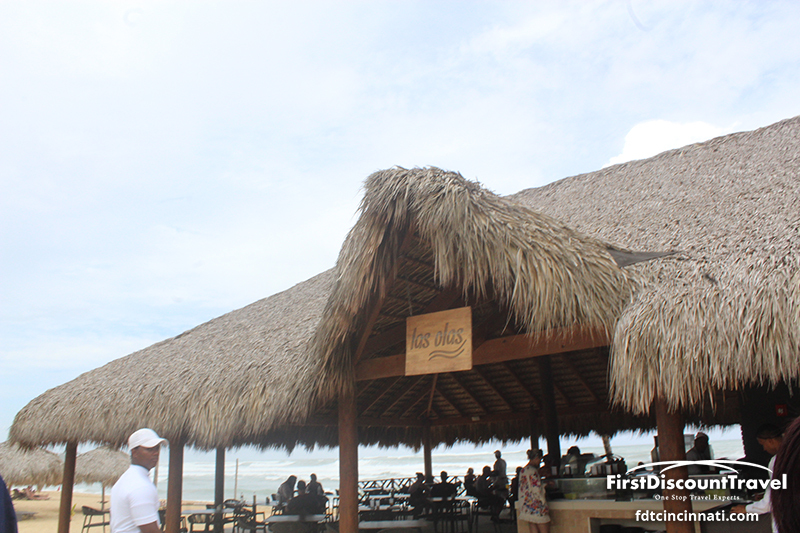 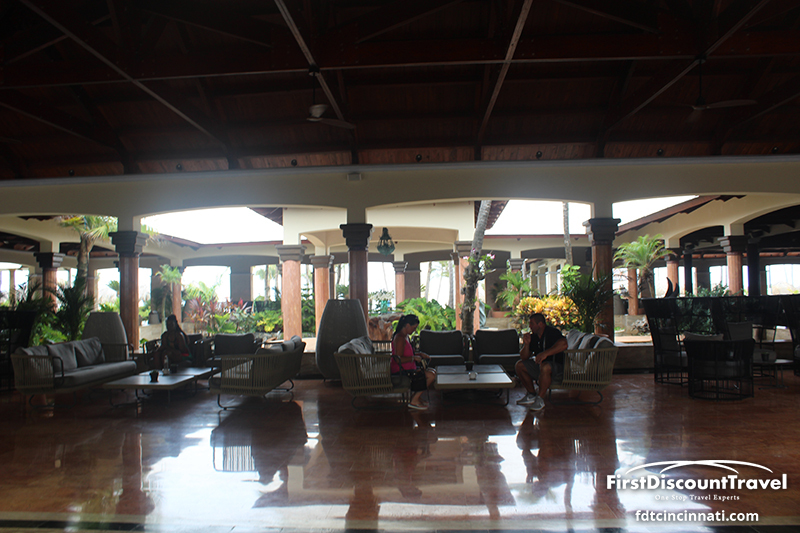 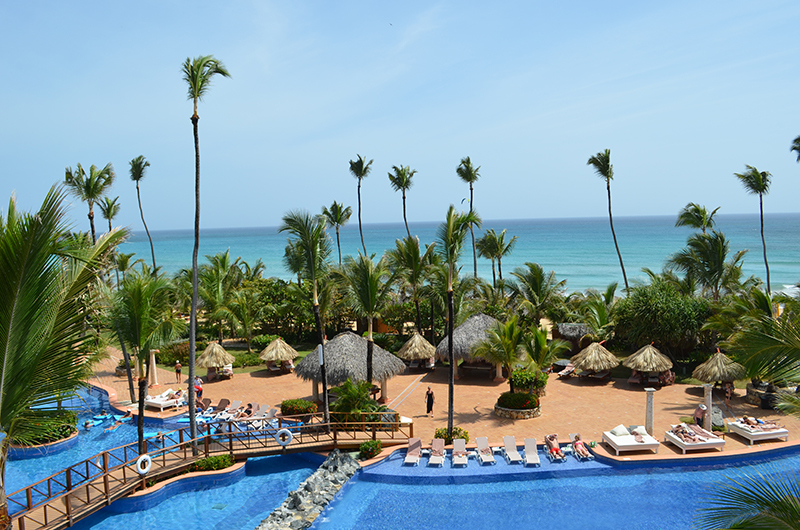 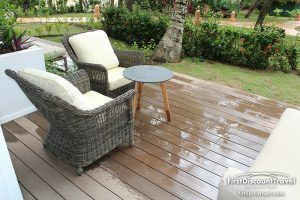 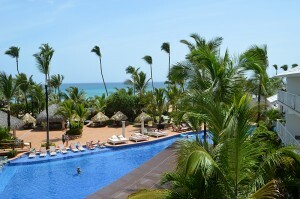 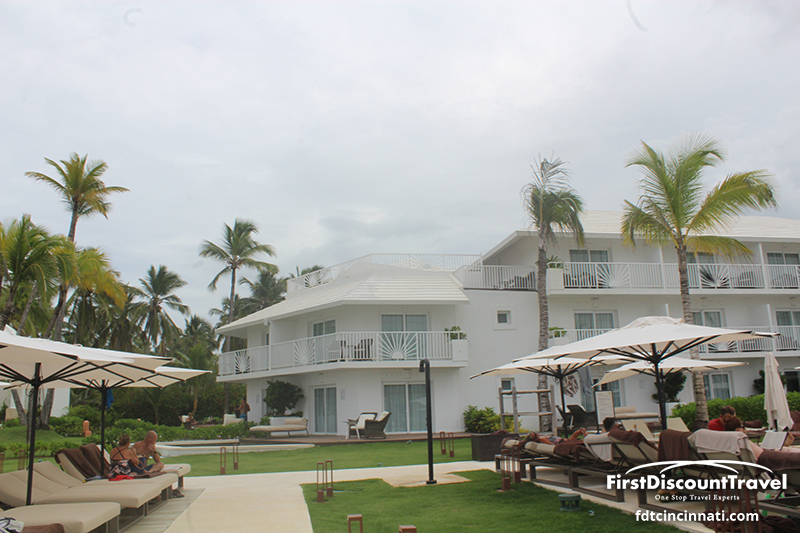 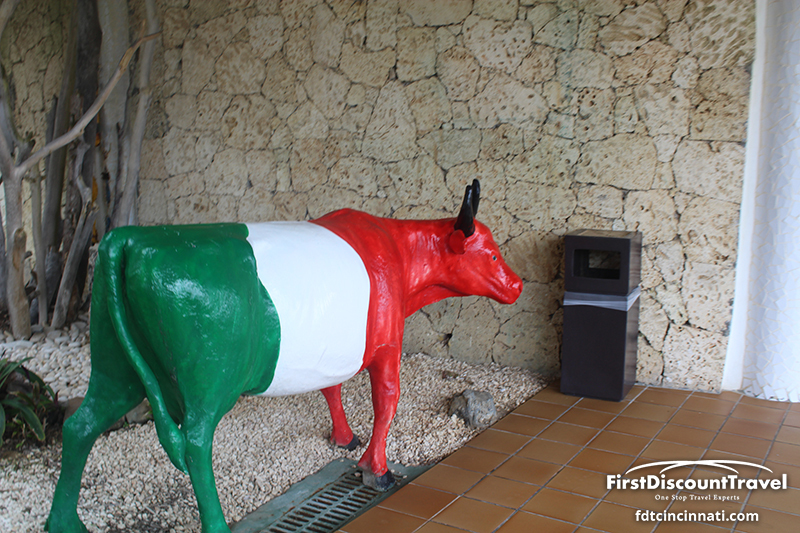 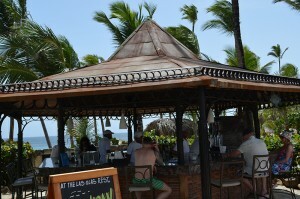 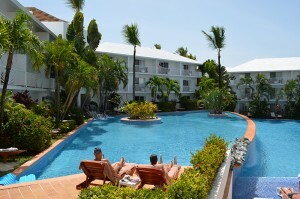 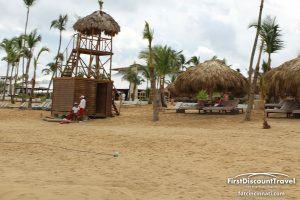 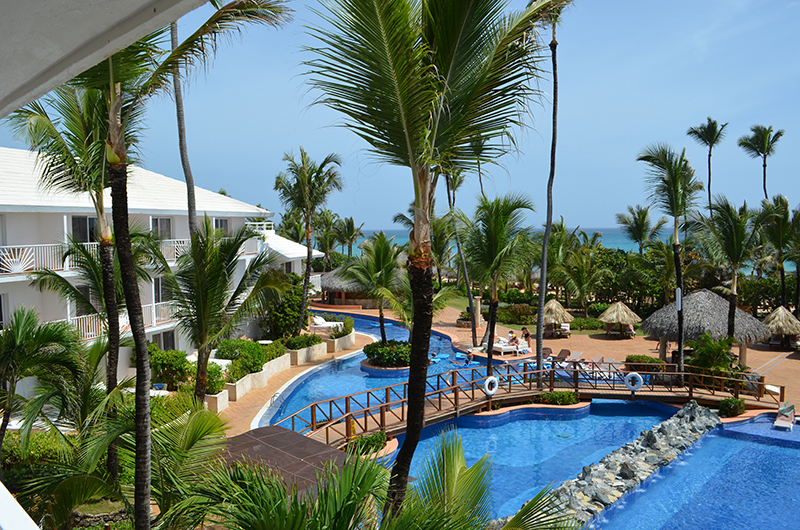 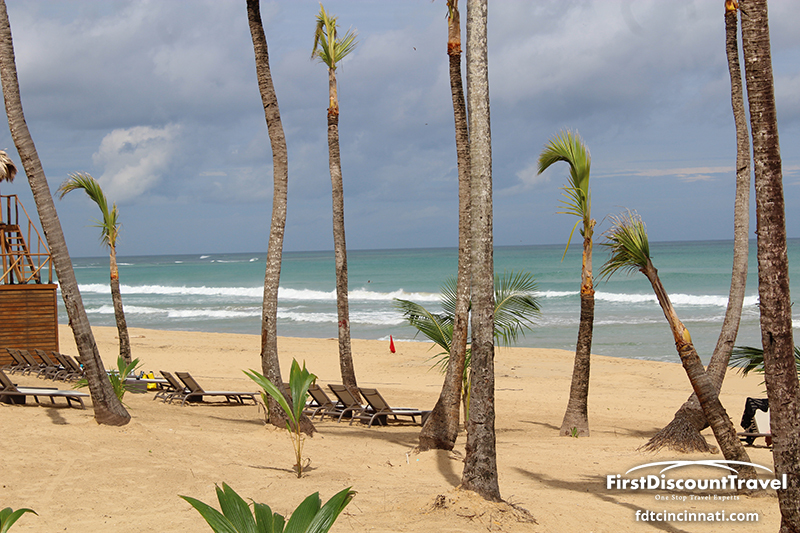 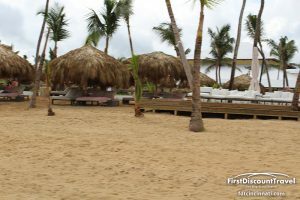 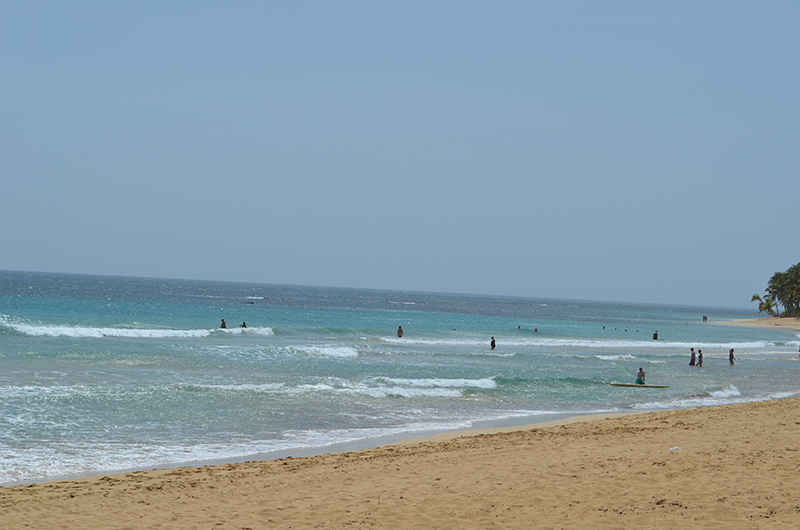 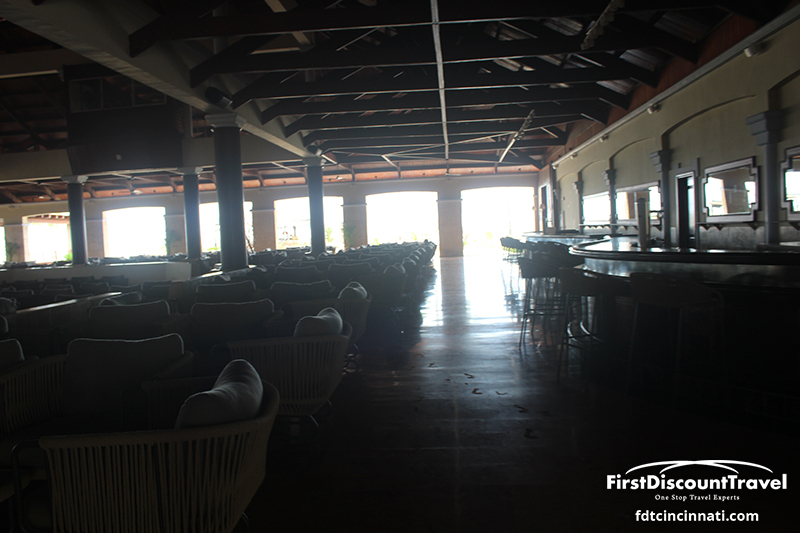 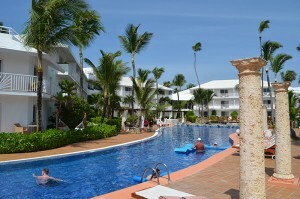 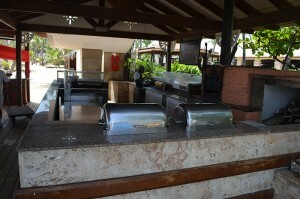 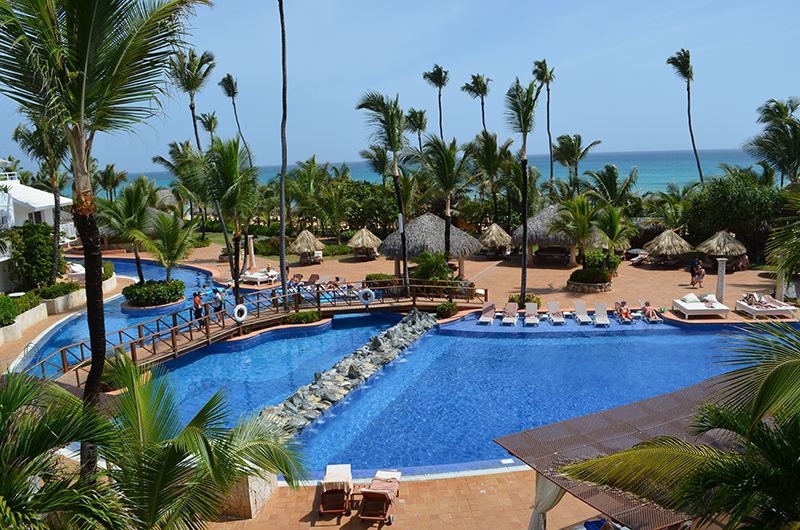 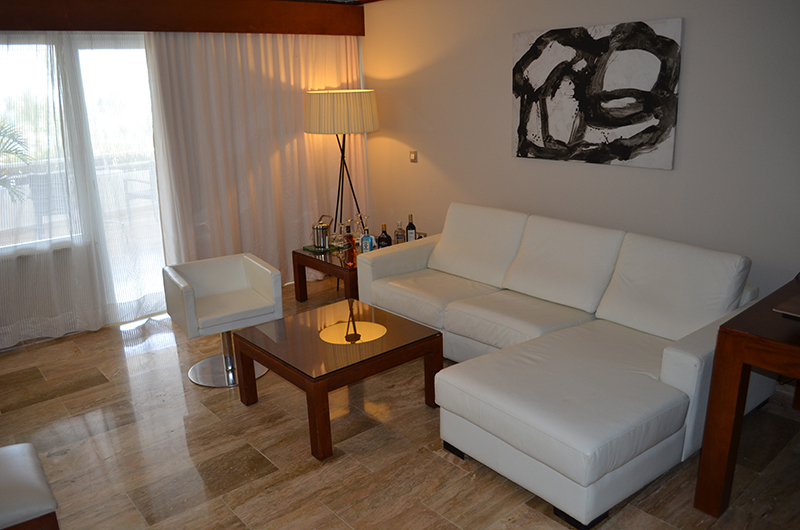 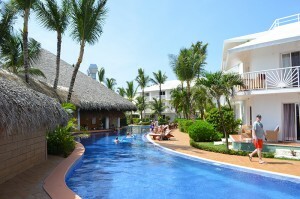 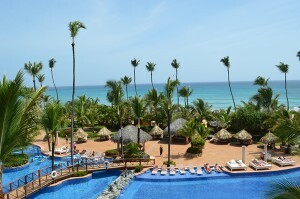 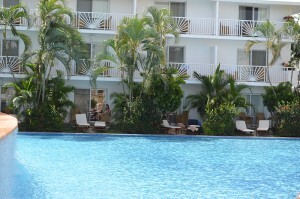 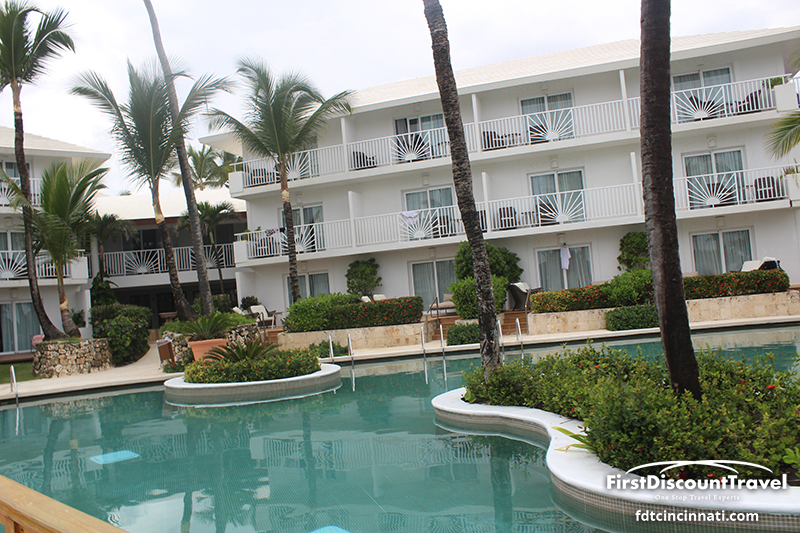 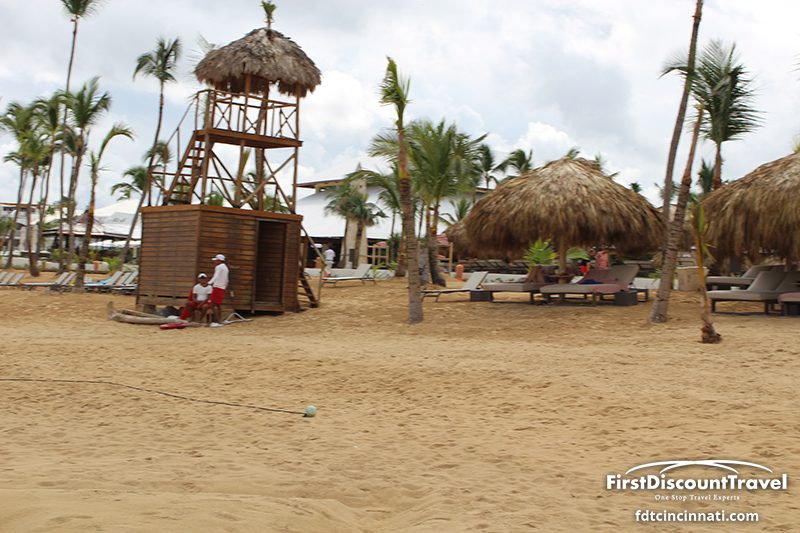 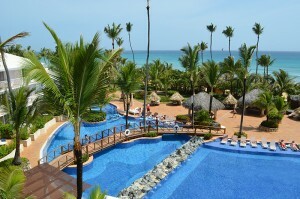 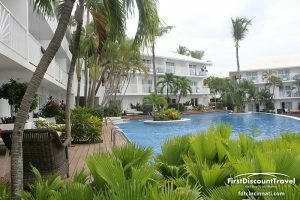 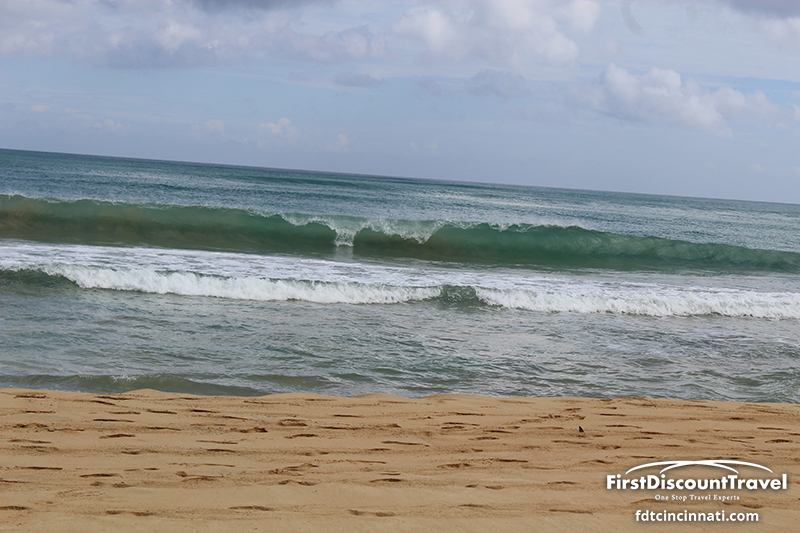 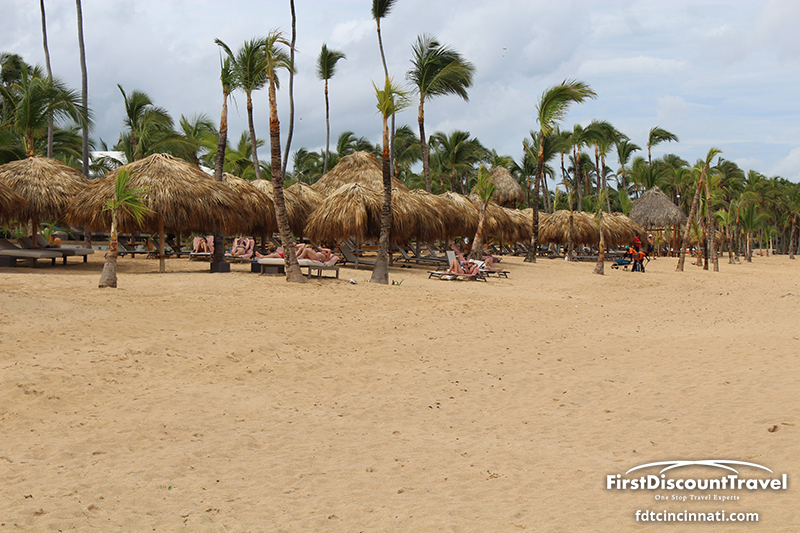 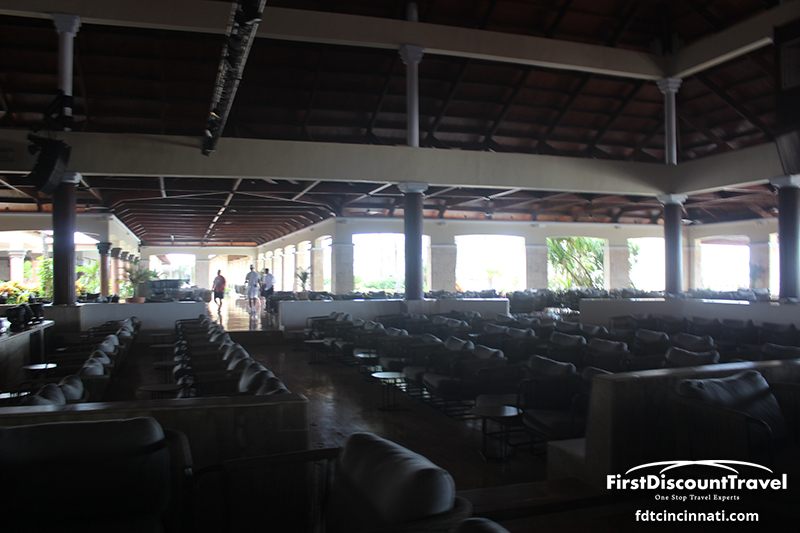 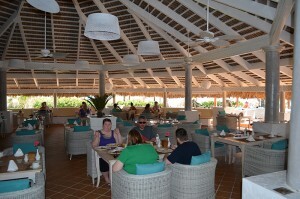 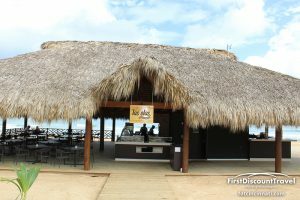 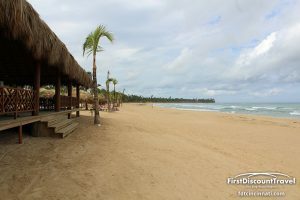 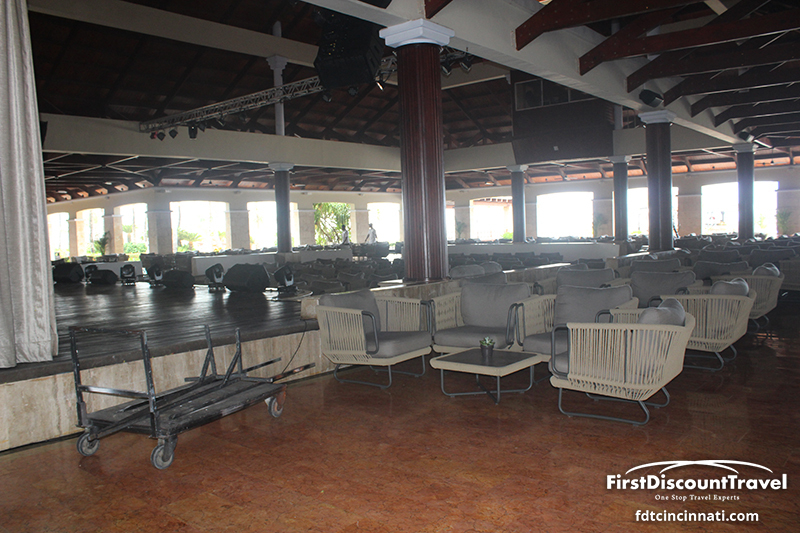 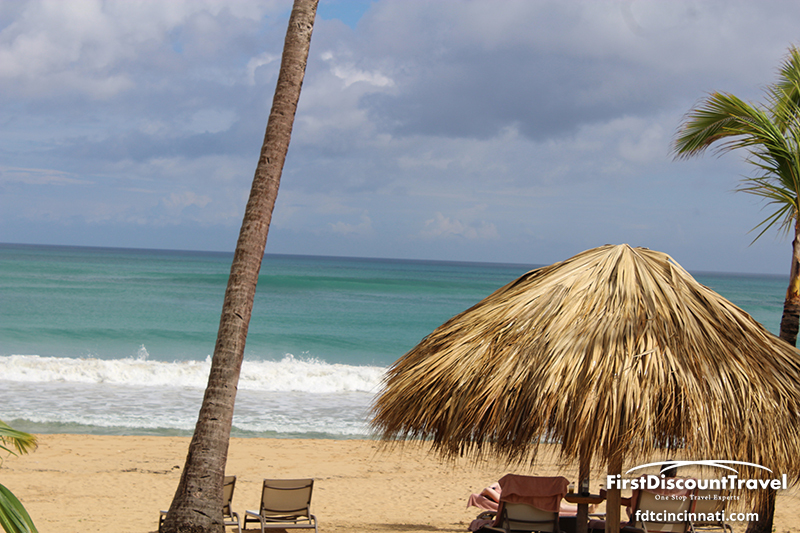 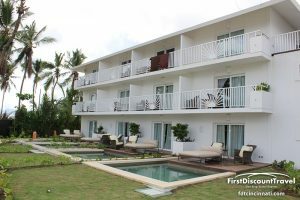 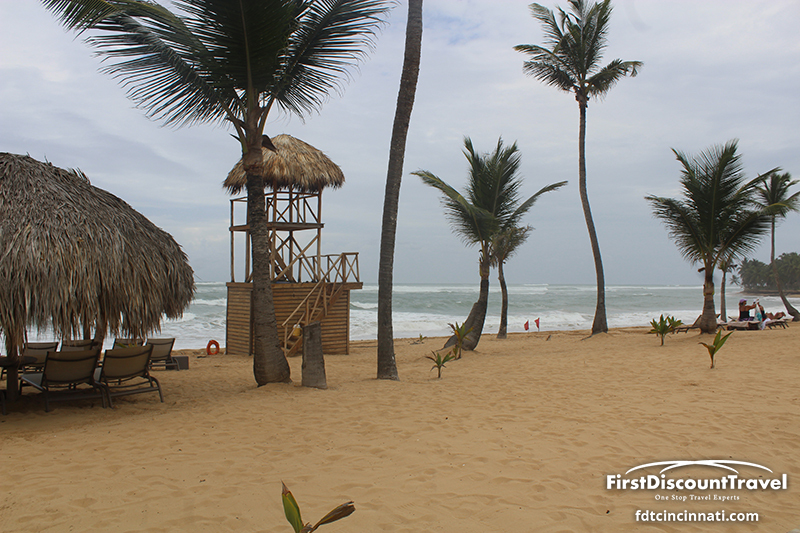 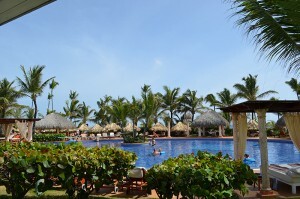 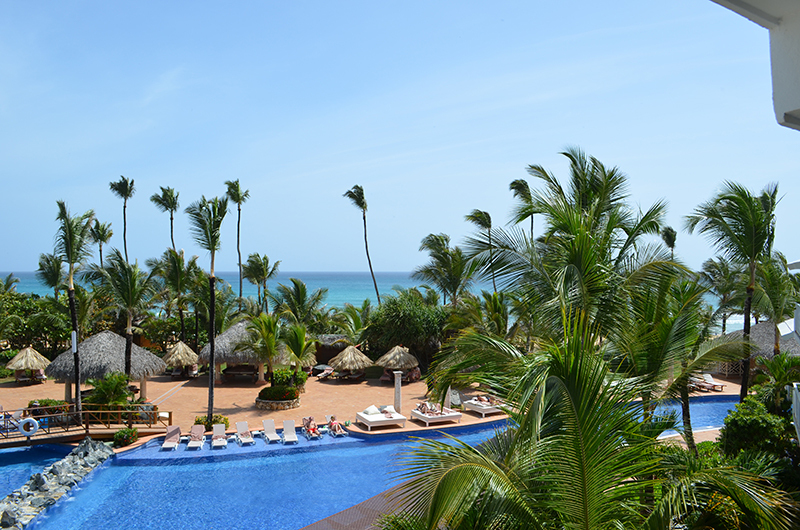 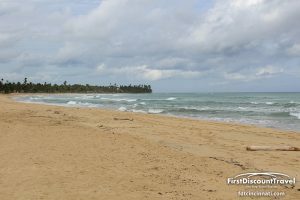 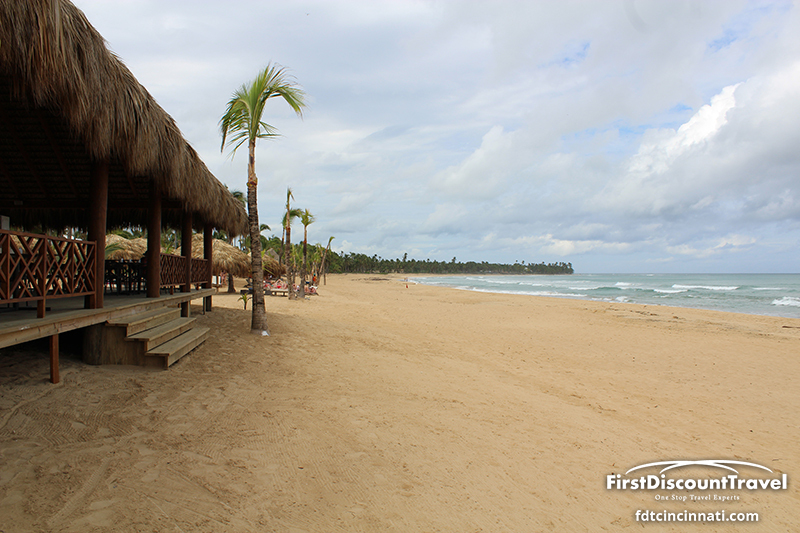 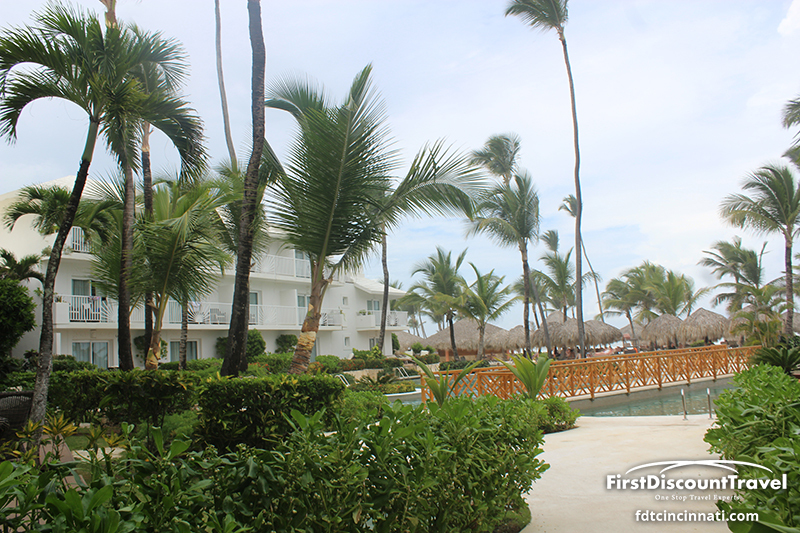 The resort is on the North coast of Punta Cana, 1 hour from the airport. 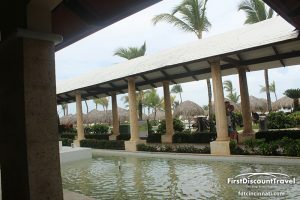 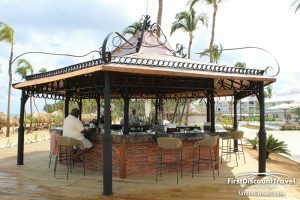 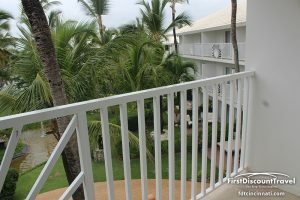 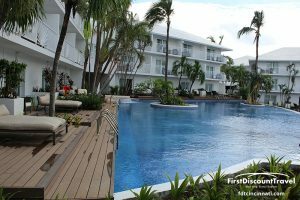 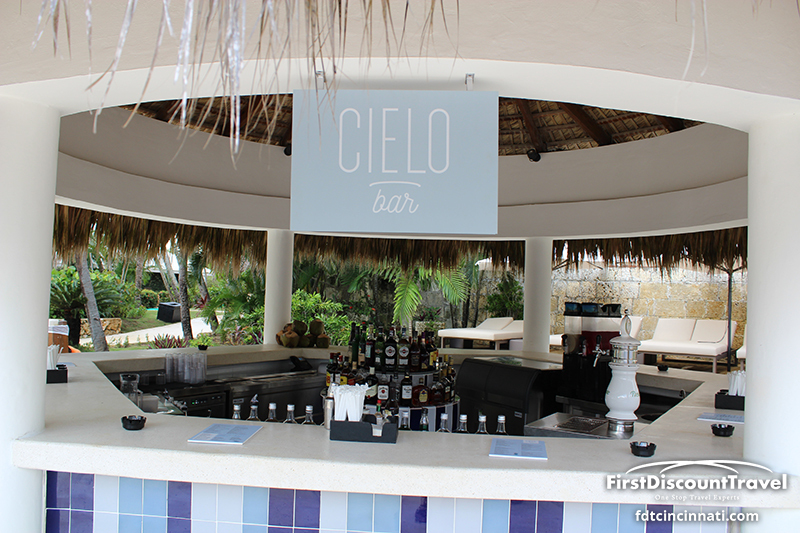 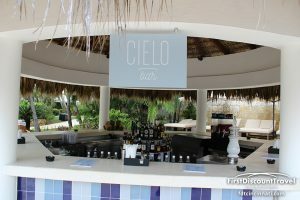 The resort is adults only and has a very large private beach and several large pools with swim up pool bars and complimentary cabanas. 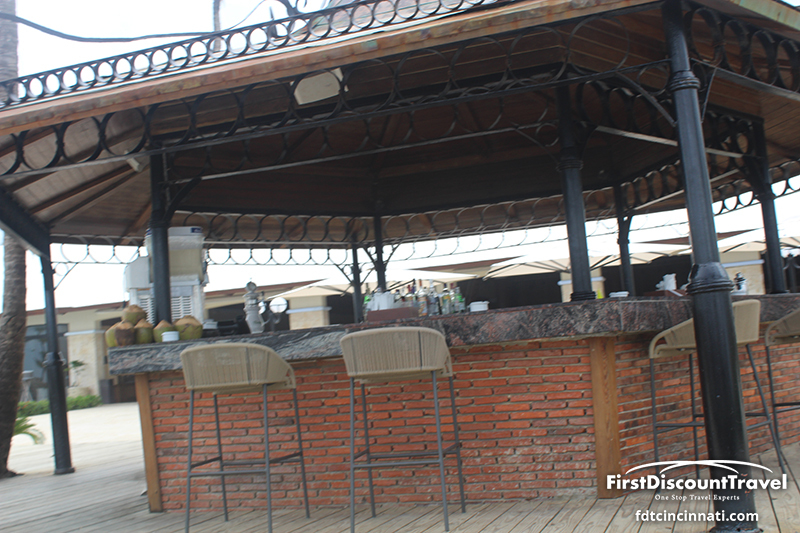 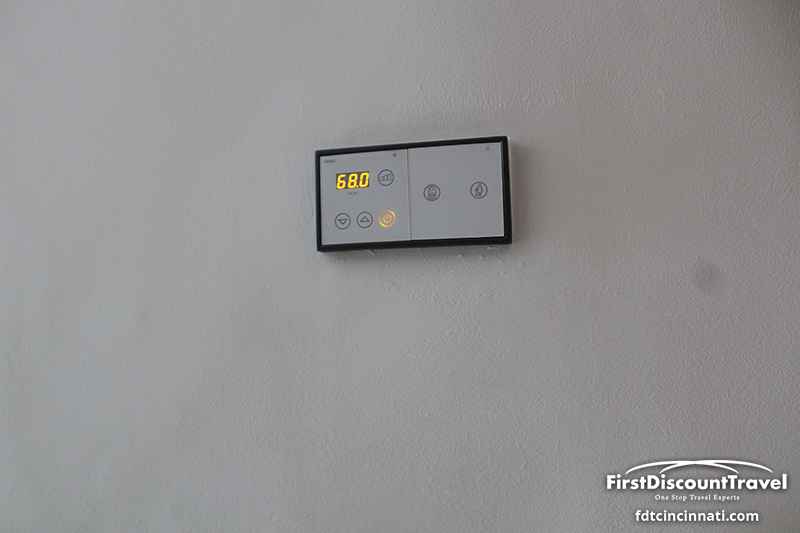 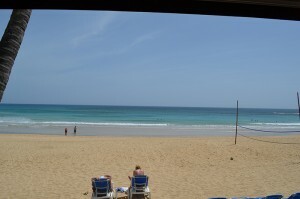 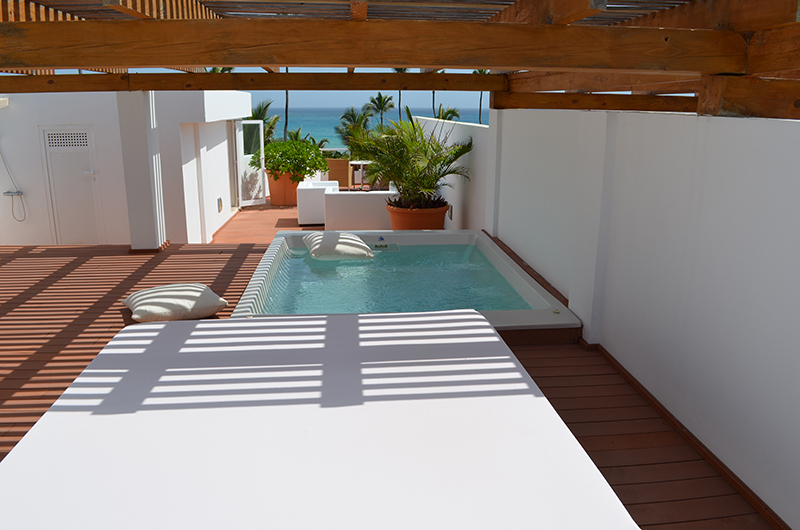 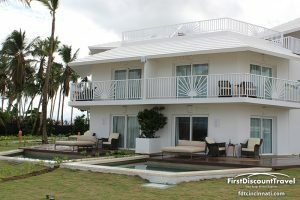 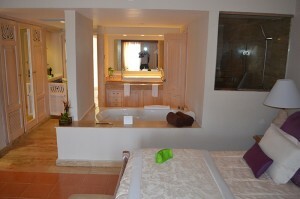 The resort has 452 jar suites with view, location, and amenities being the only difference. 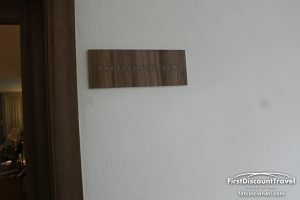 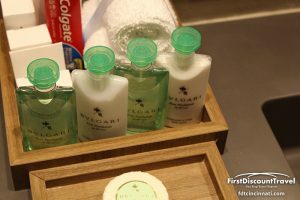 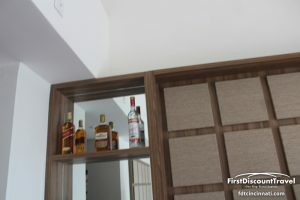 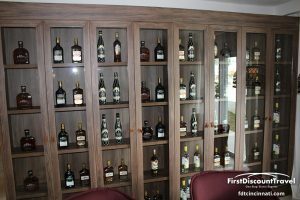 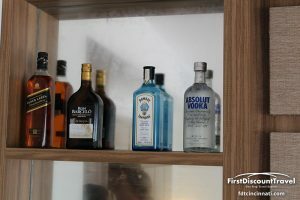 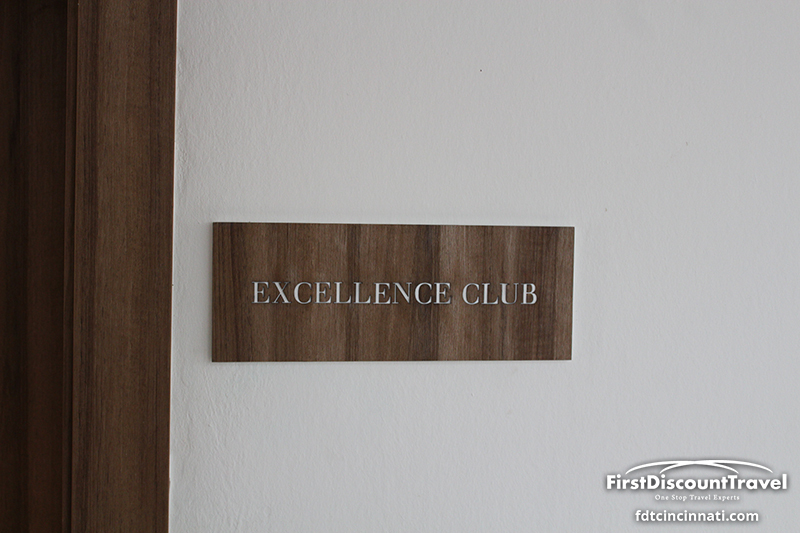 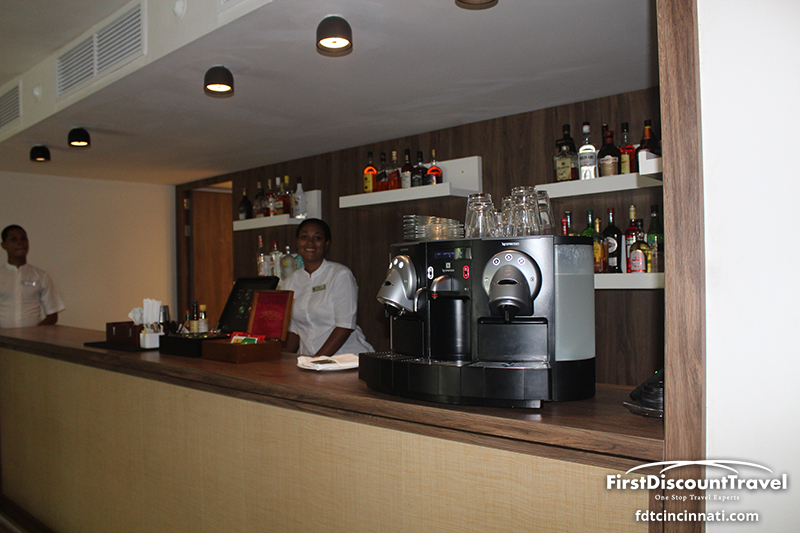 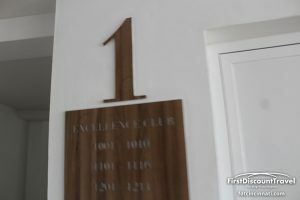 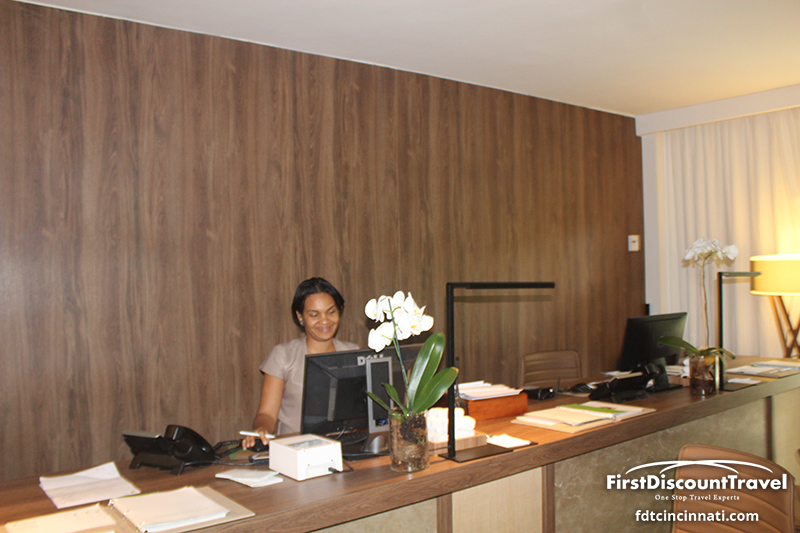 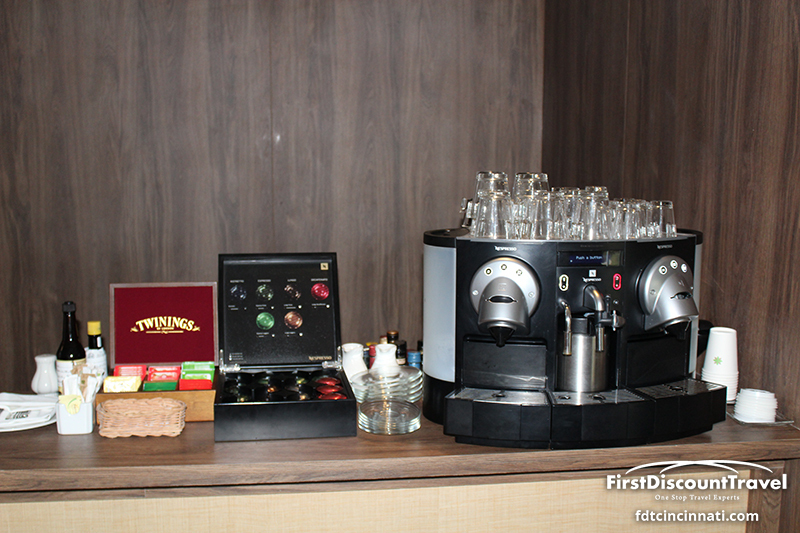 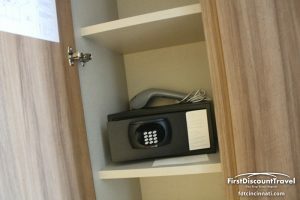 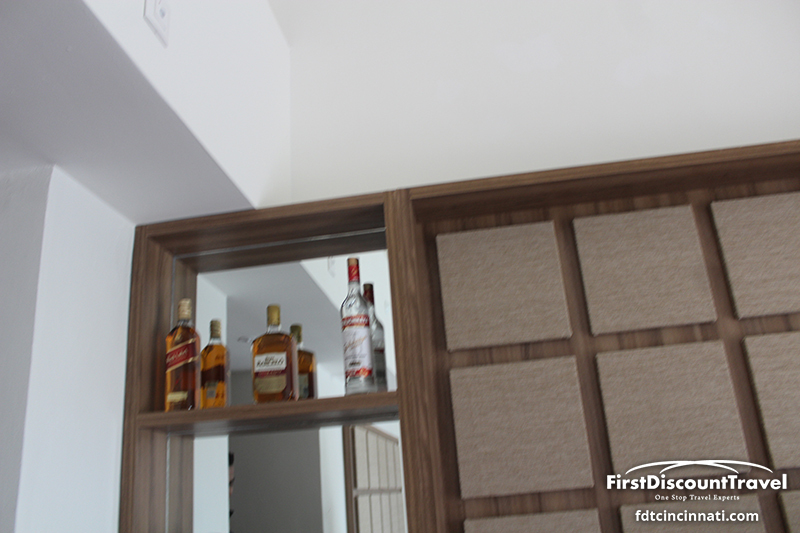 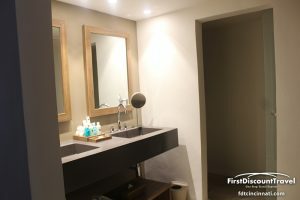 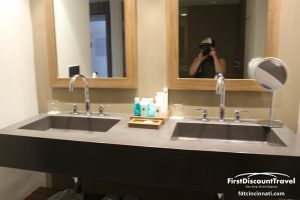 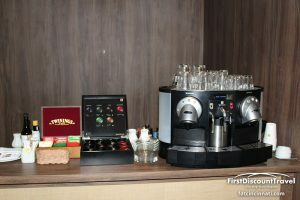 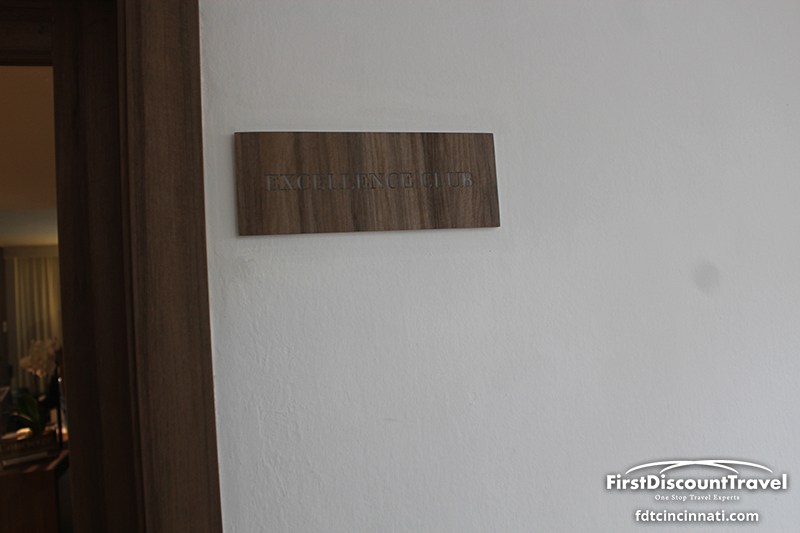 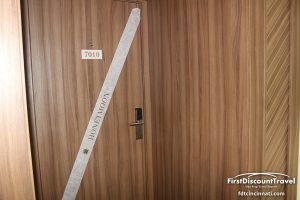 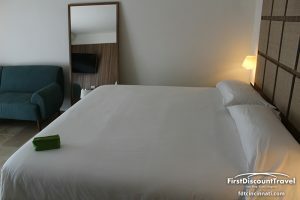 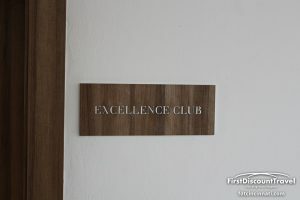 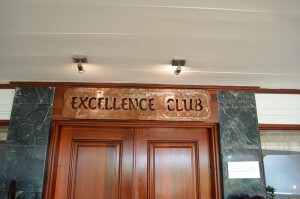 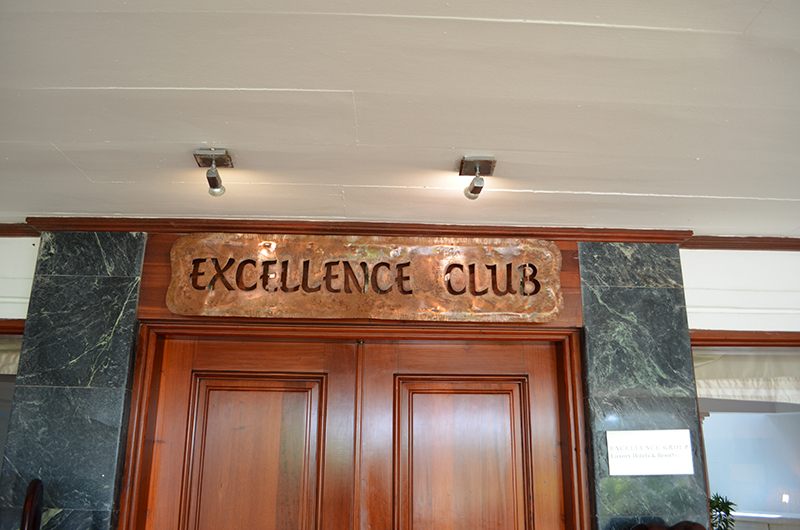 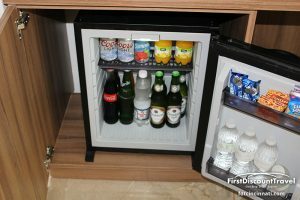 The benefits of the Excellence Club follows: free Wi-Fi, upgraded toiletries, hard liquor in the room, large plasma TV (the other rooms have the old box TV), and access to the Excellence Club with daily newspapers, free computers, and super premium alcohol. 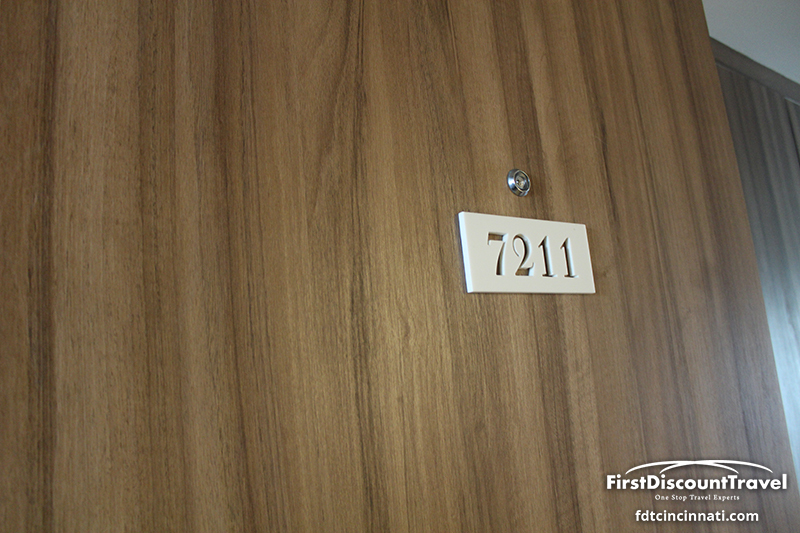 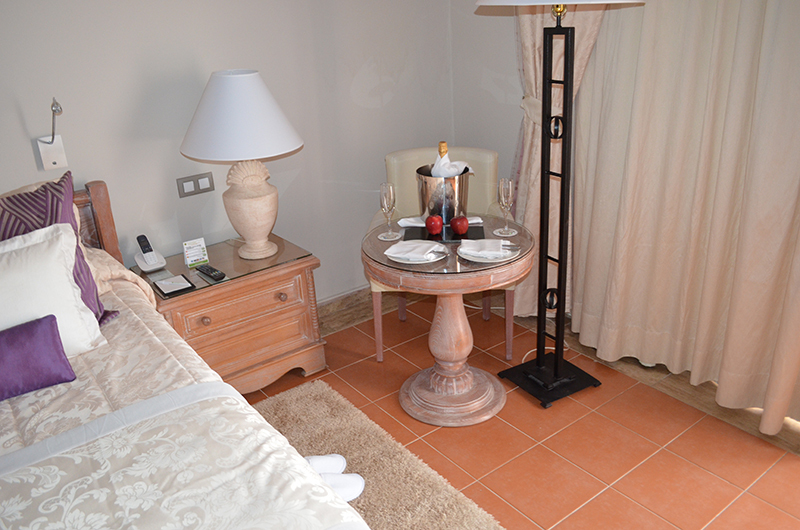 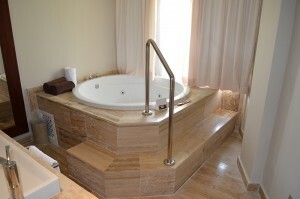 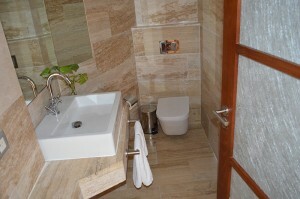 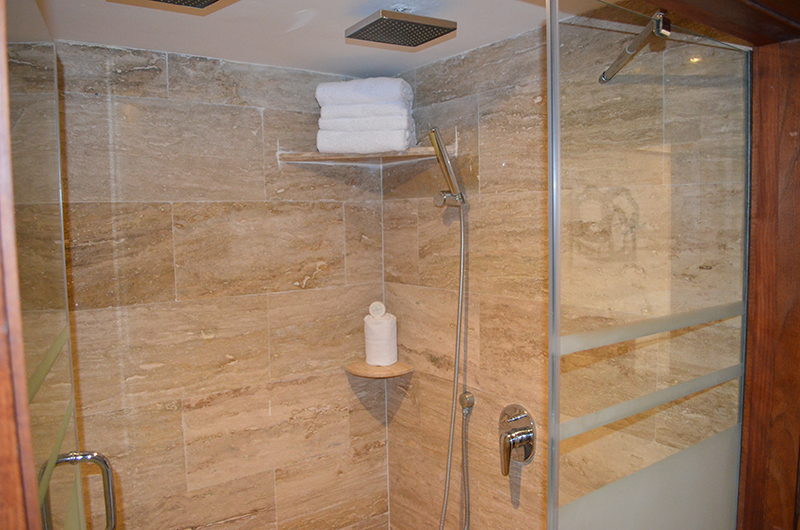 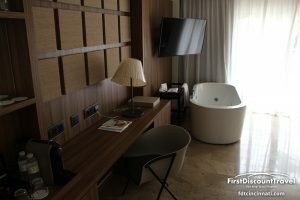 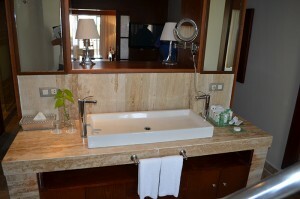 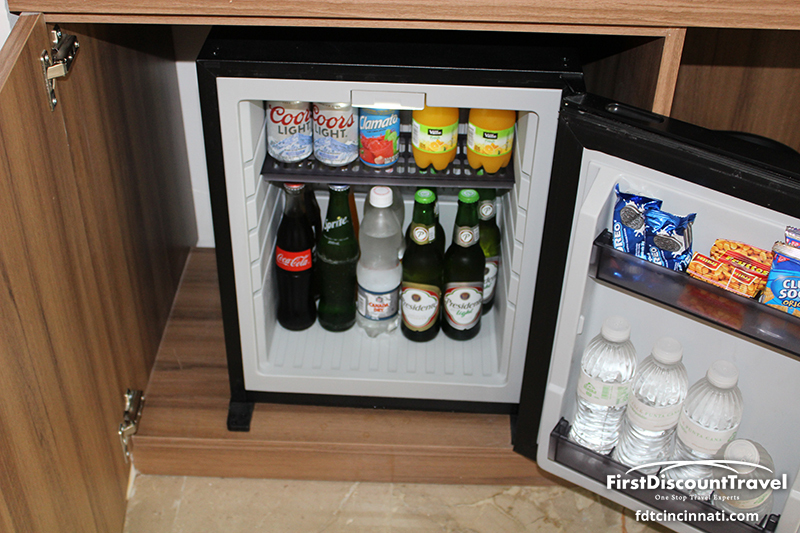 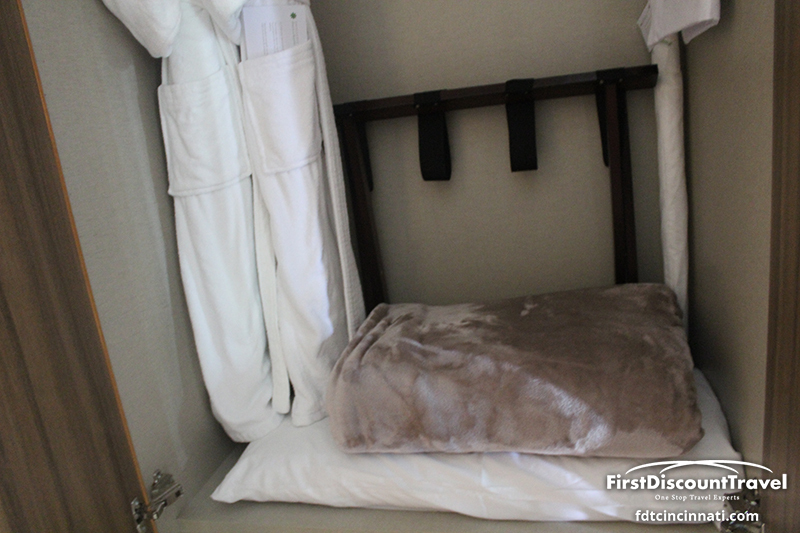 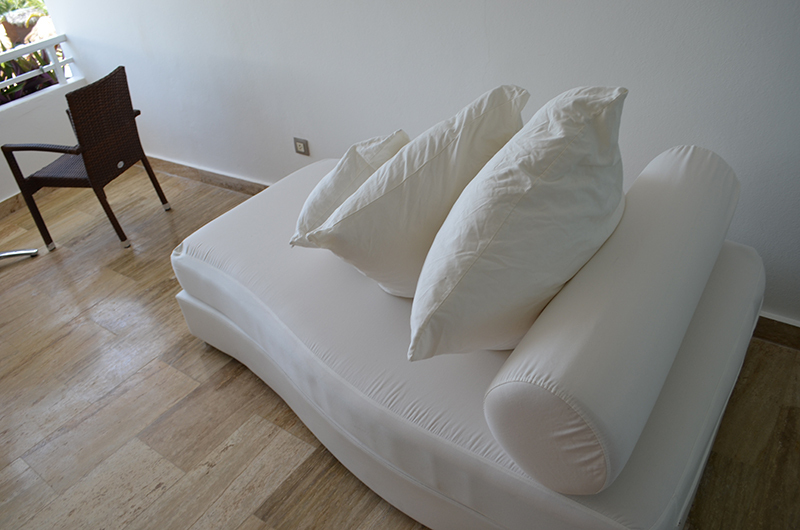 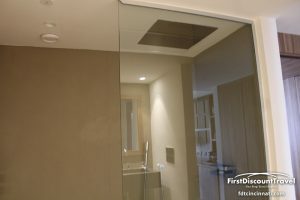 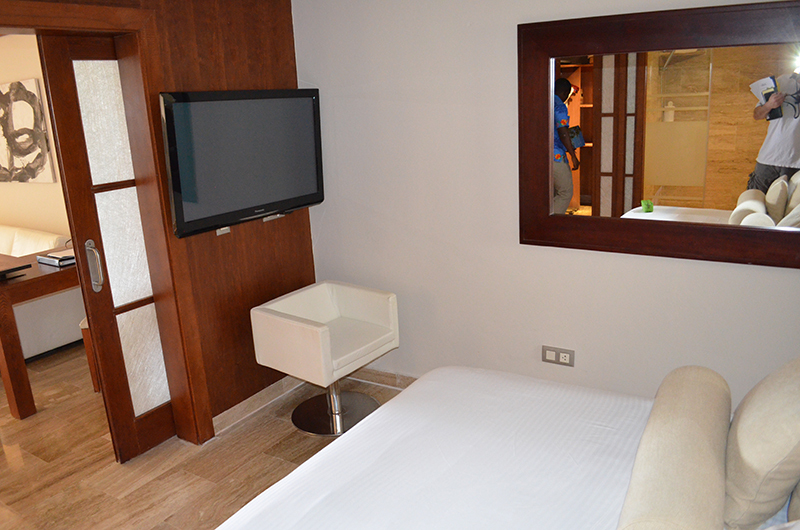 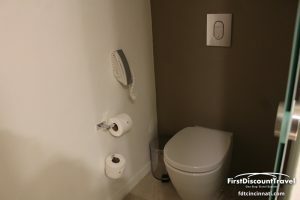 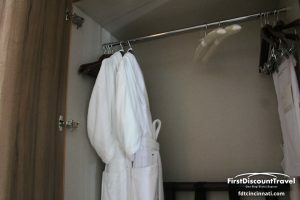 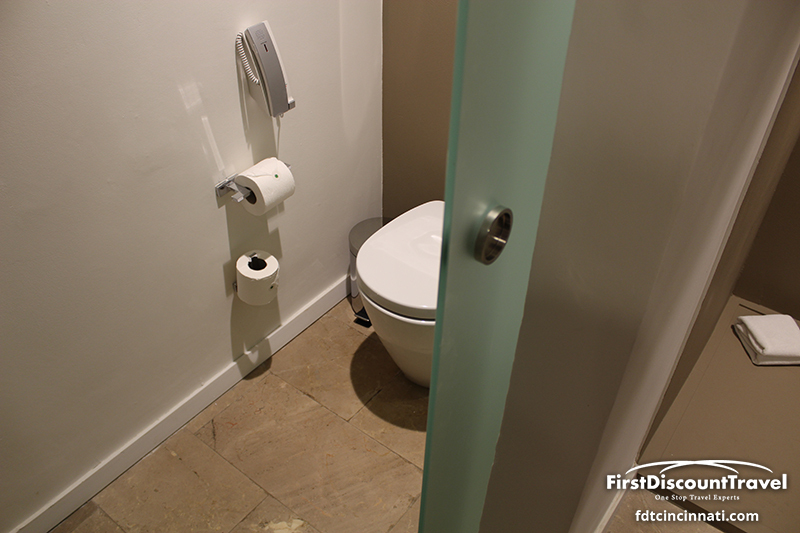 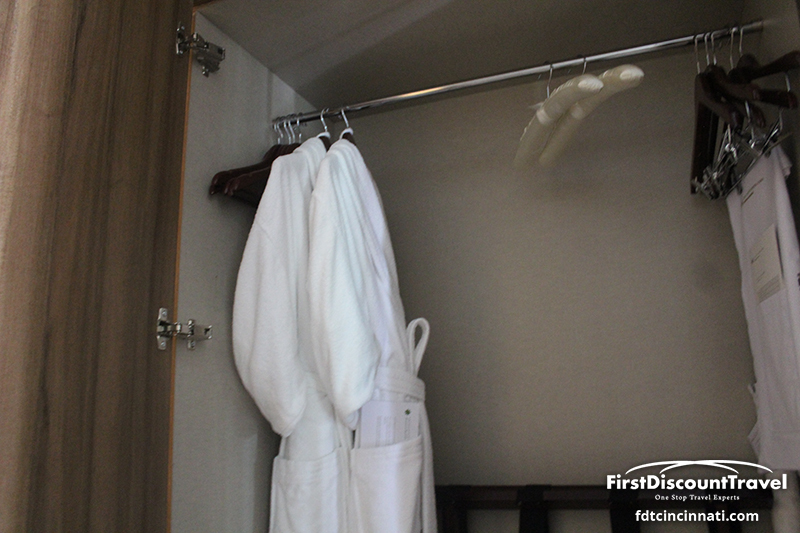 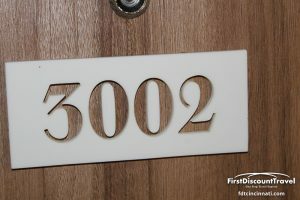 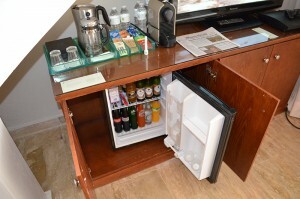 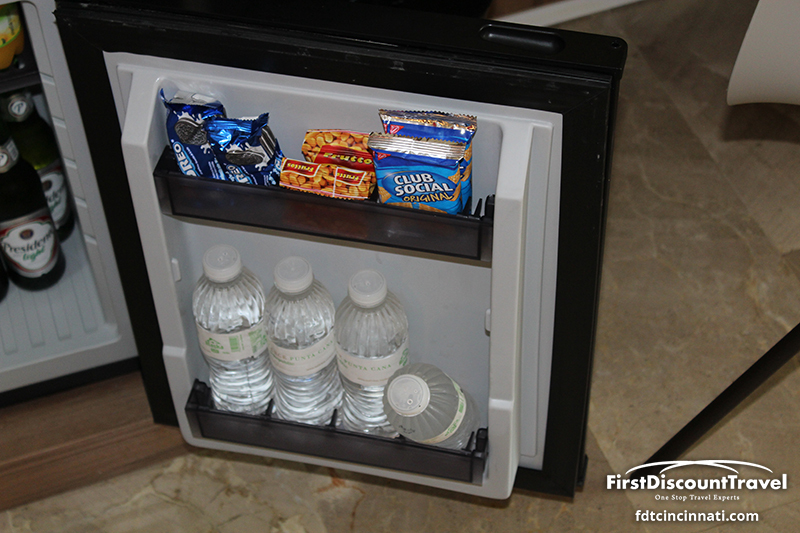 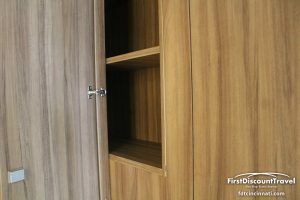 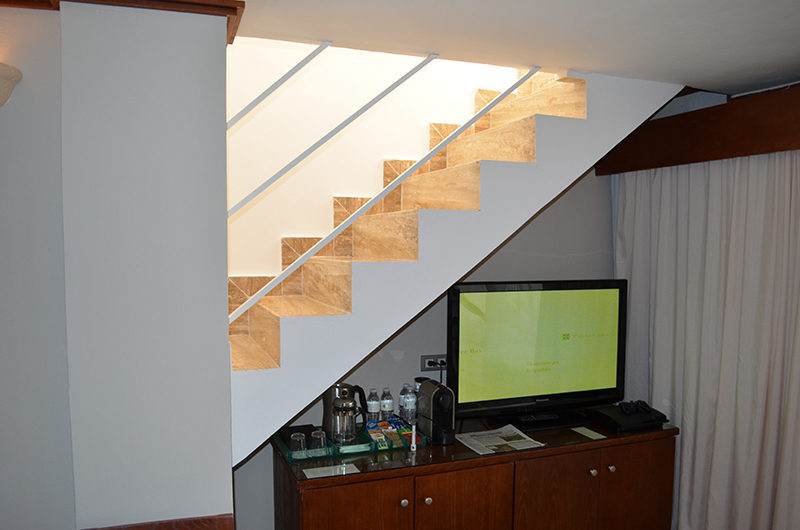 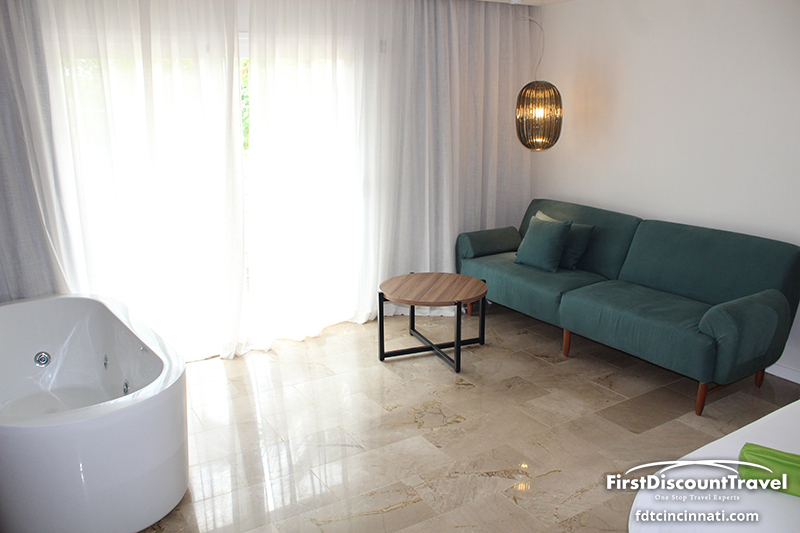 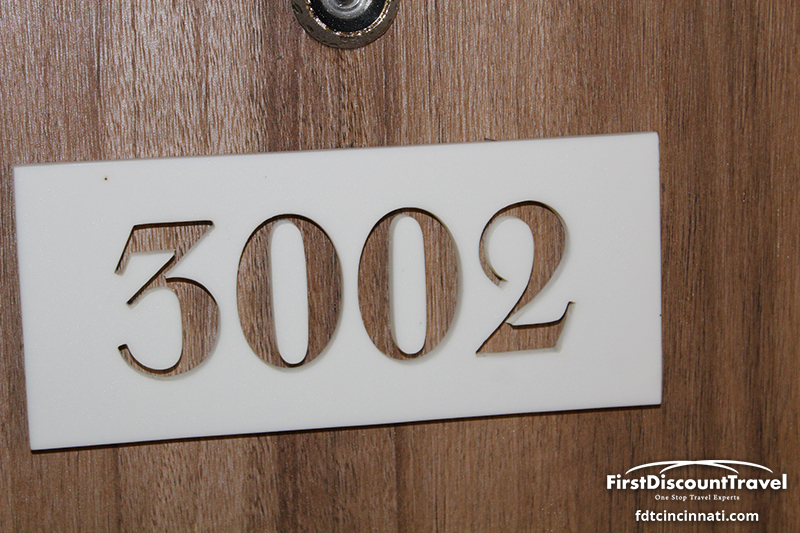 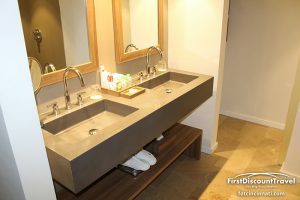 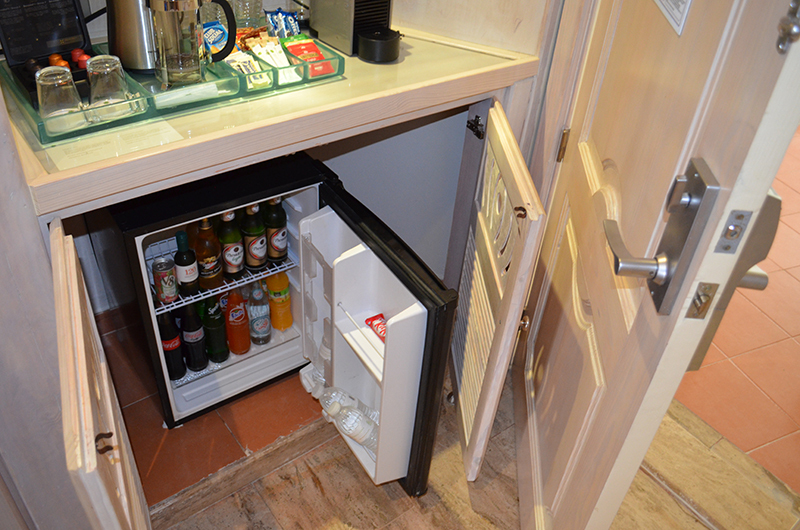 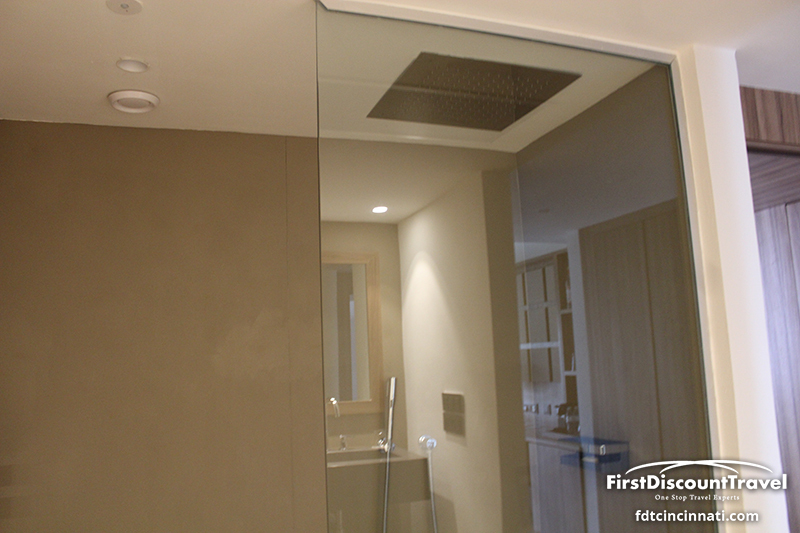 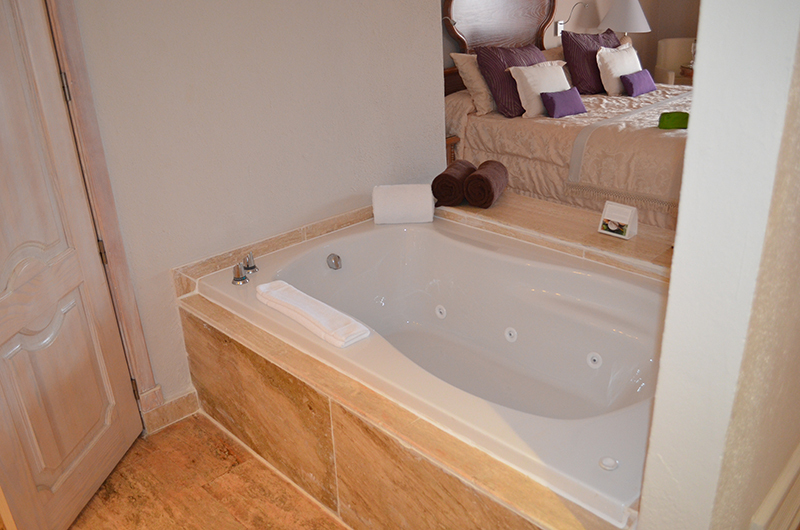 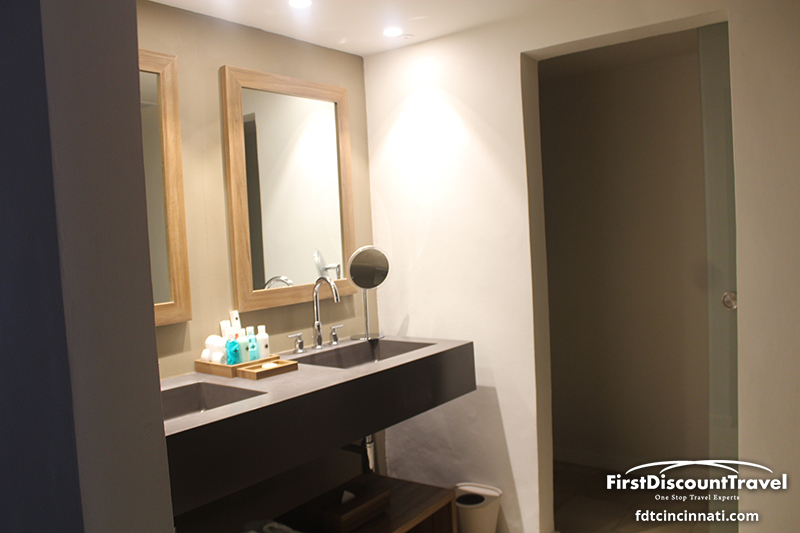 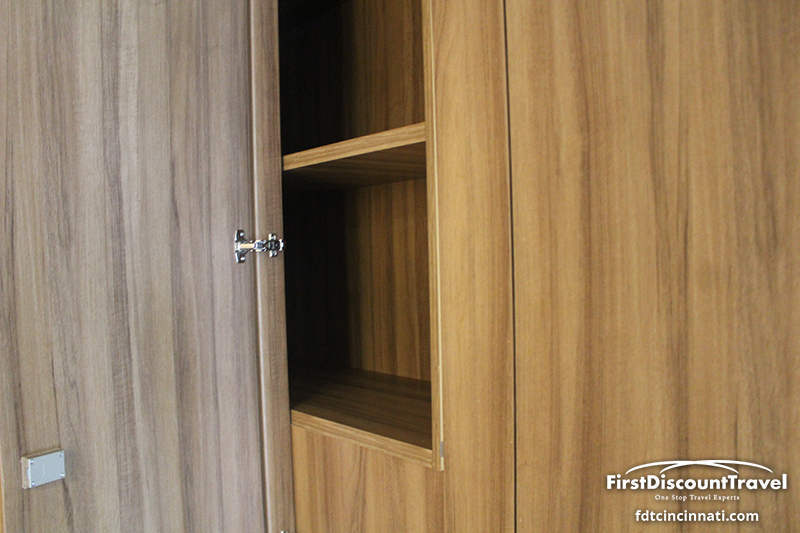 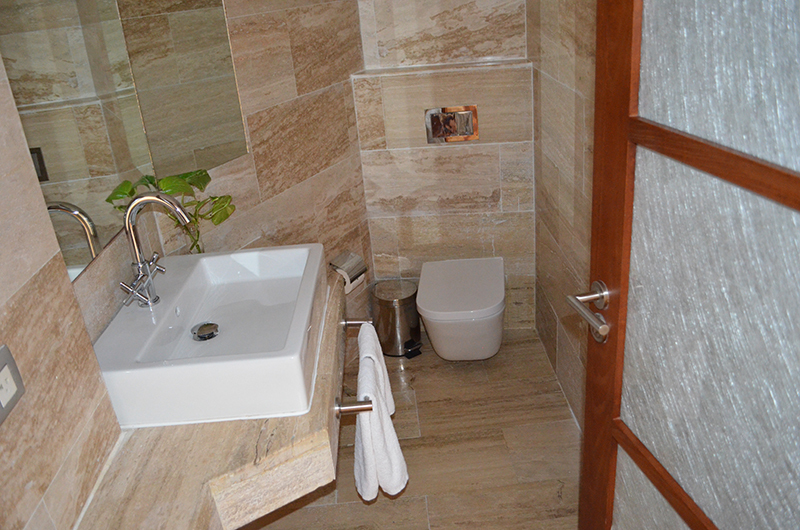 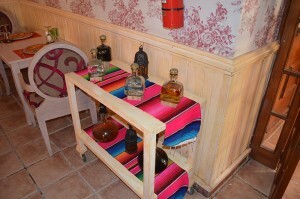 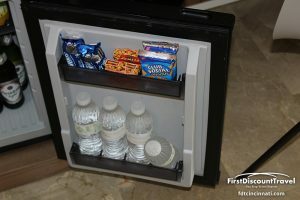 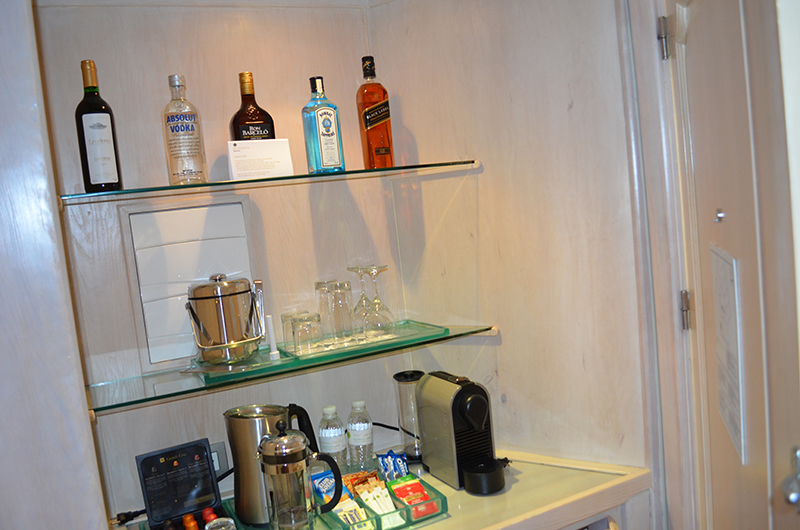 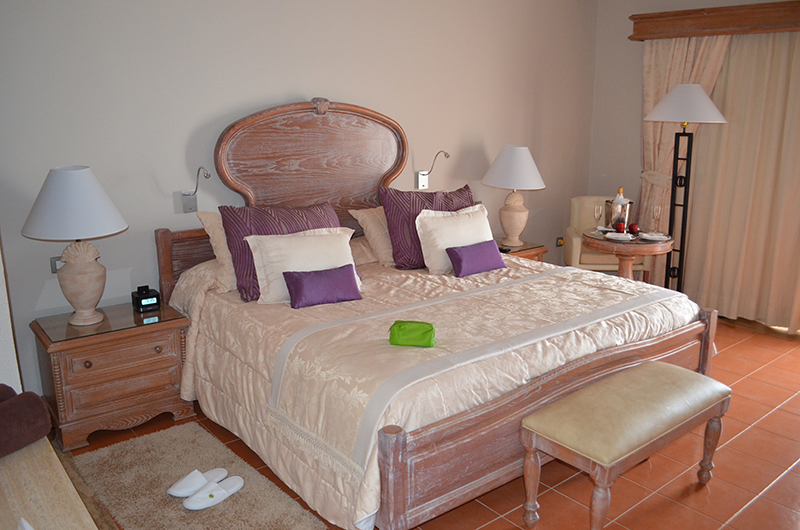 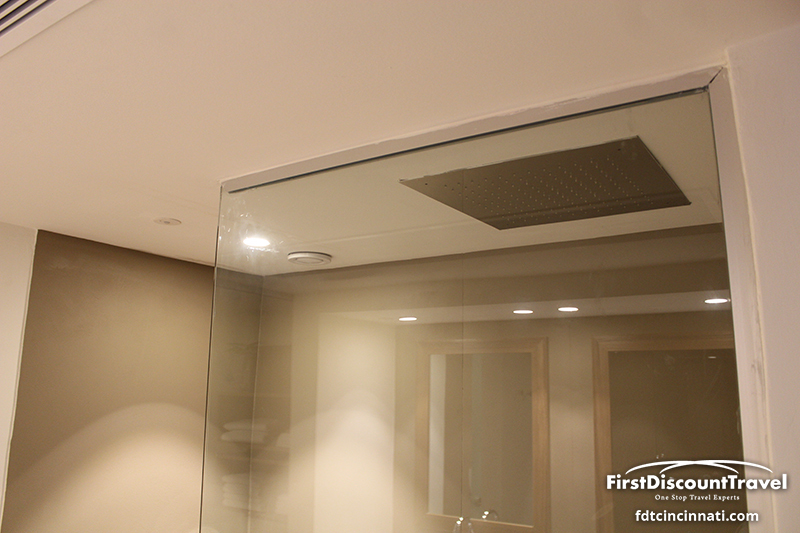 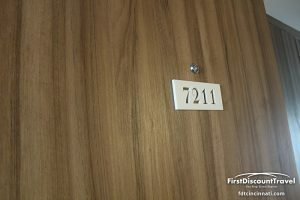 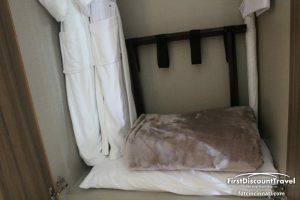 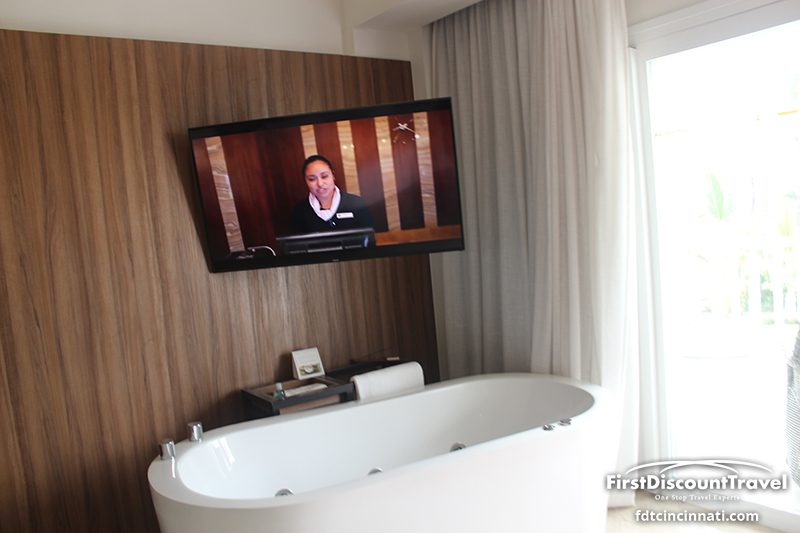 All rooms offer 24 hour room service, 2 person Jacuzzi, and a fully stocked minibar. 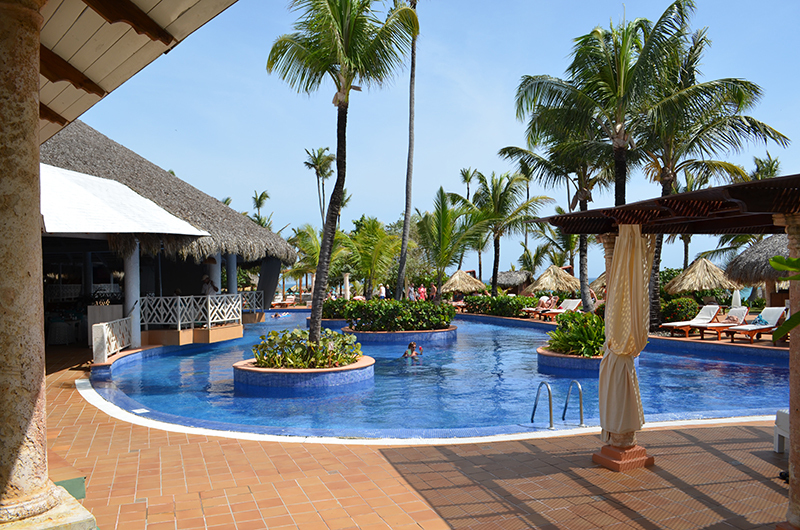 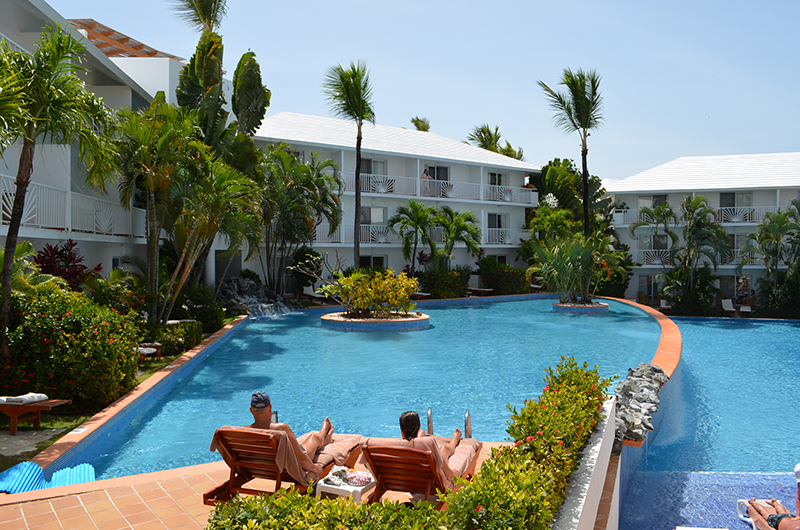 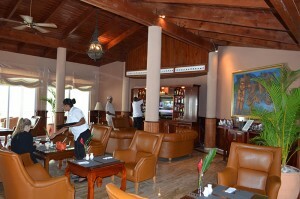 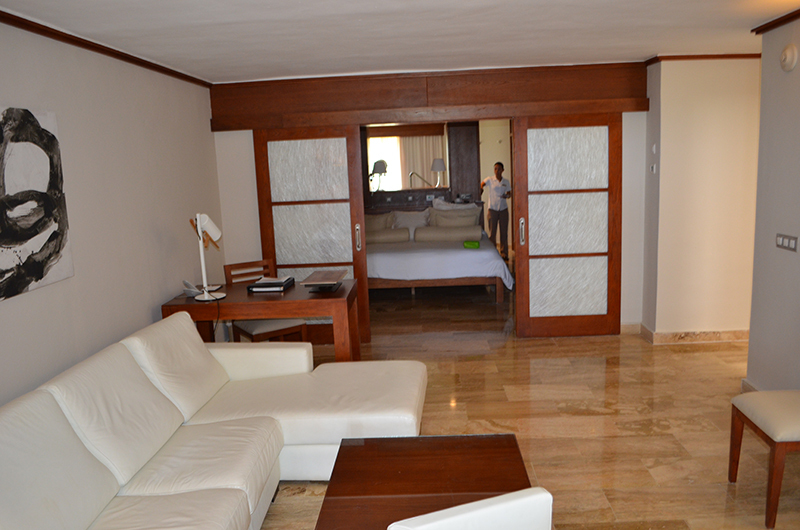 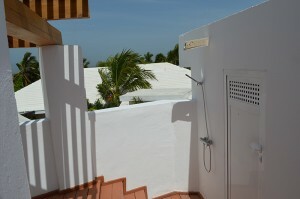 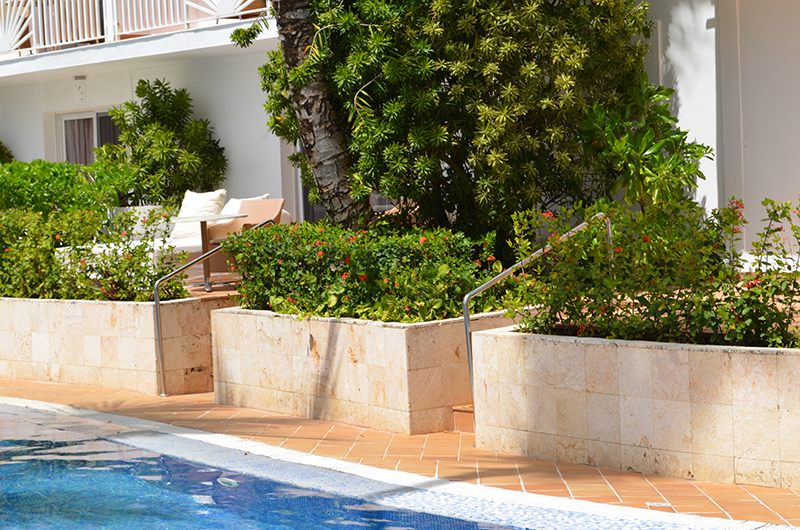 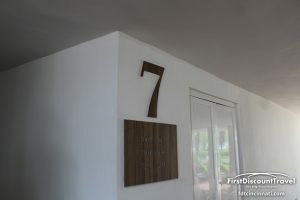 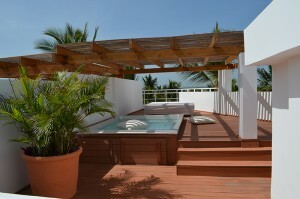 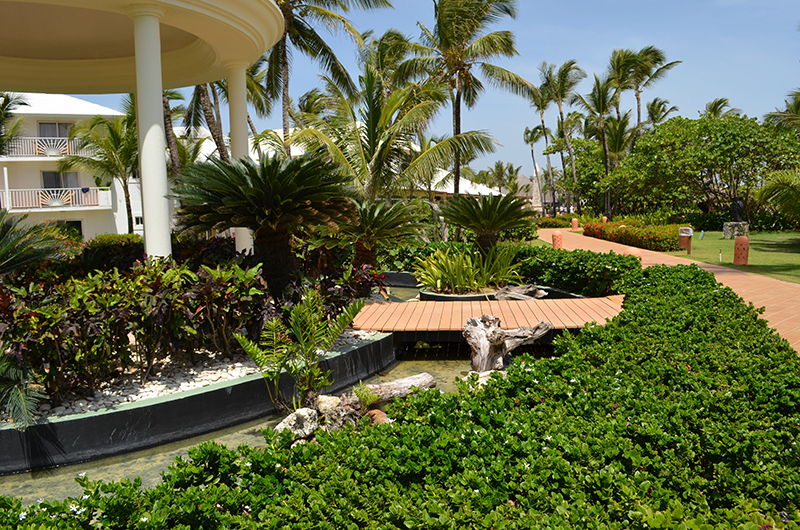 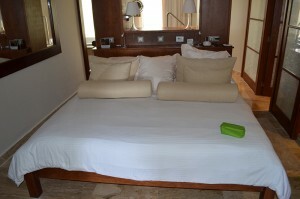 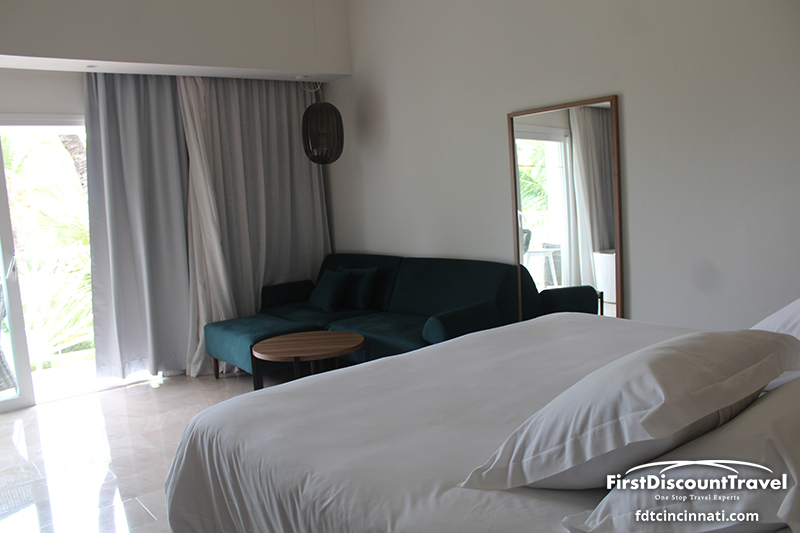 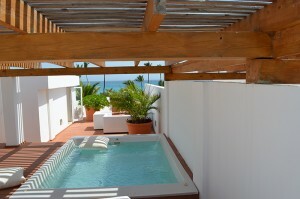 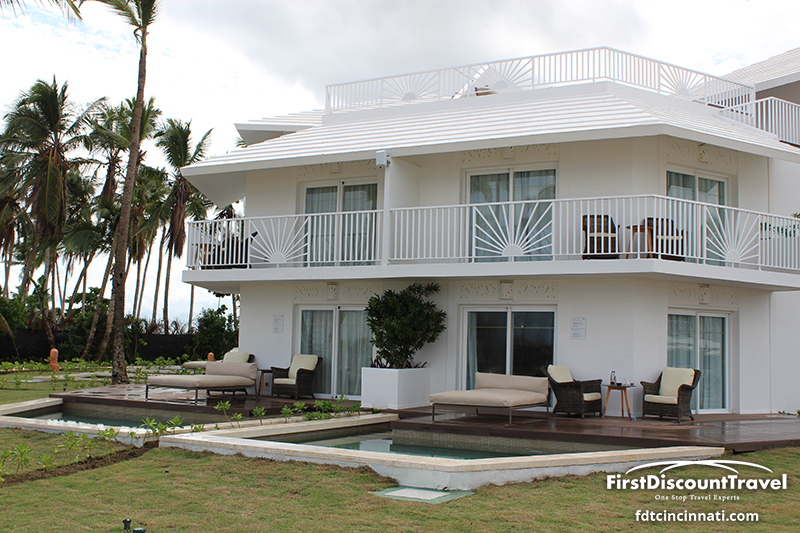 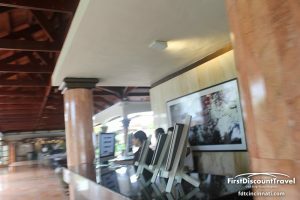 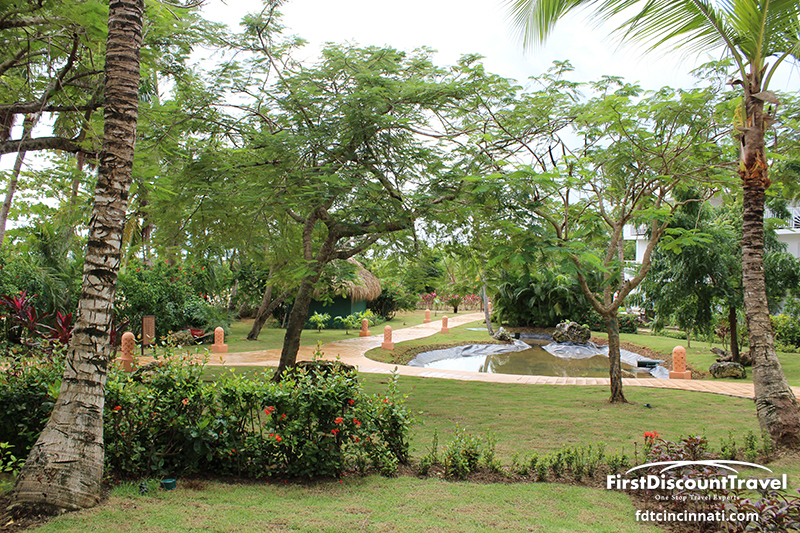 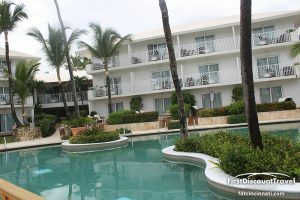 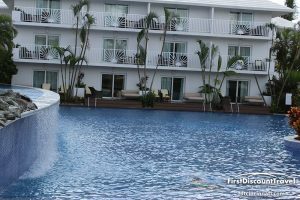 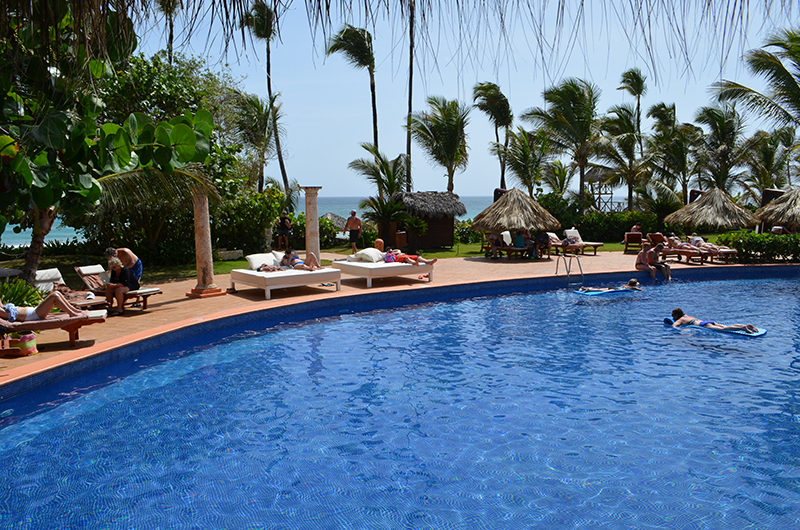 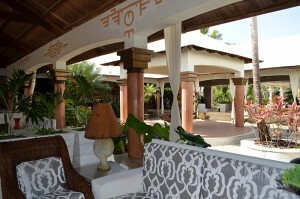 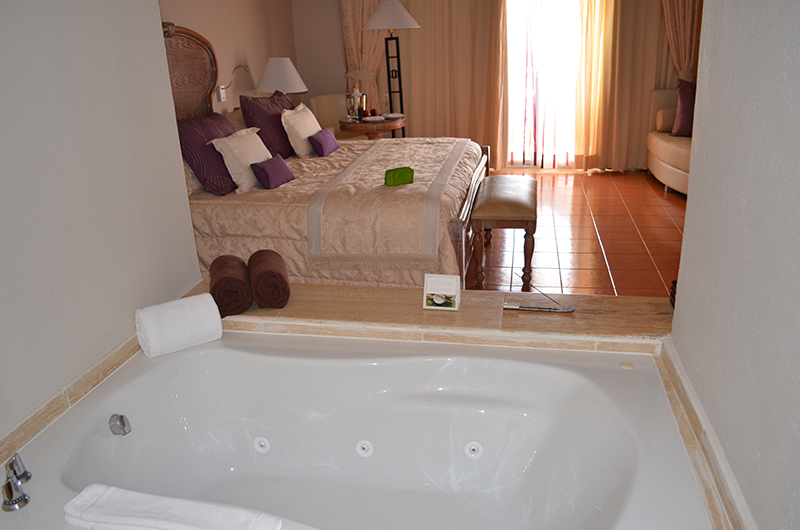 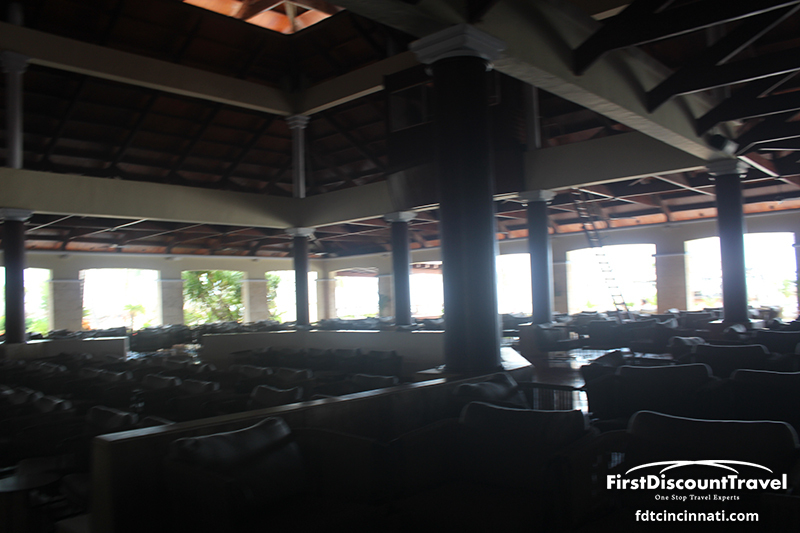 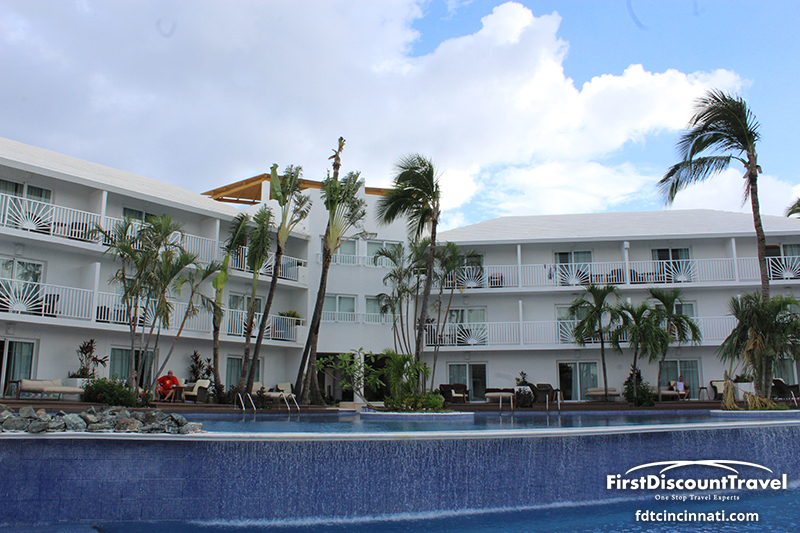 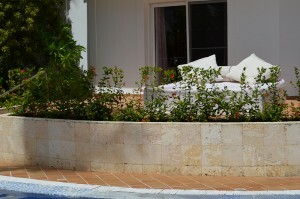 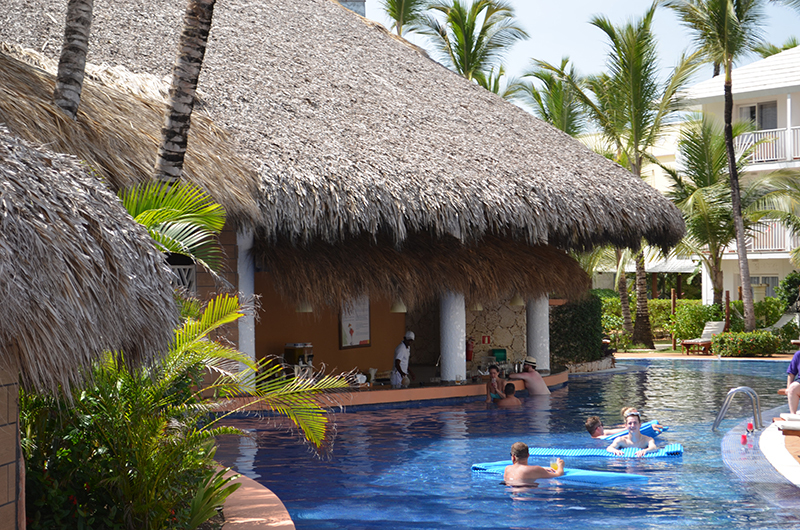 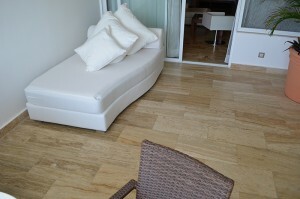 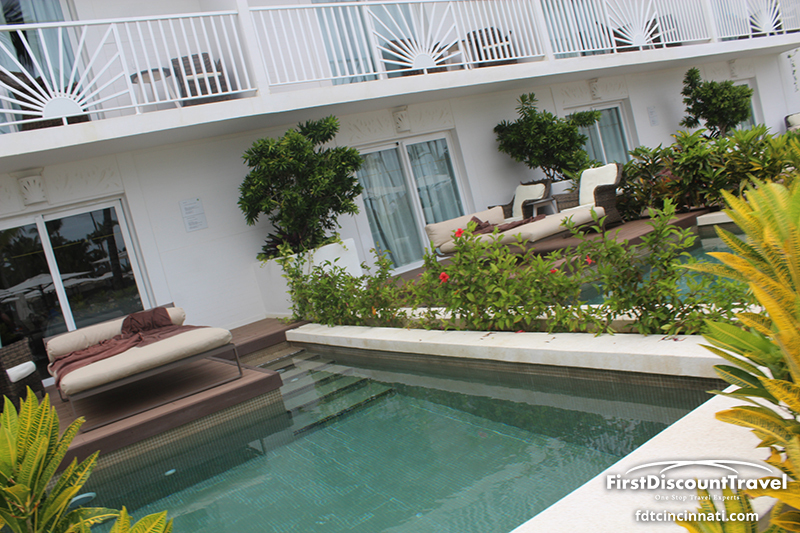 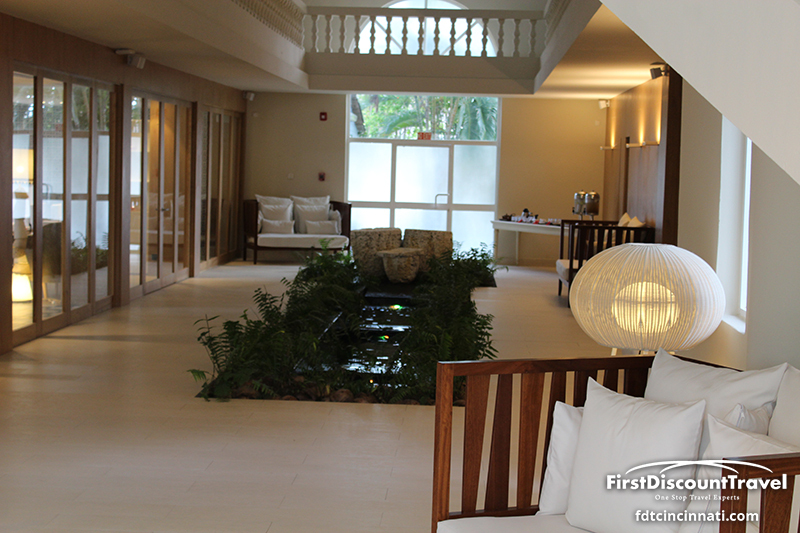 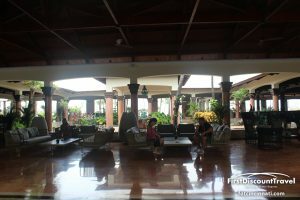 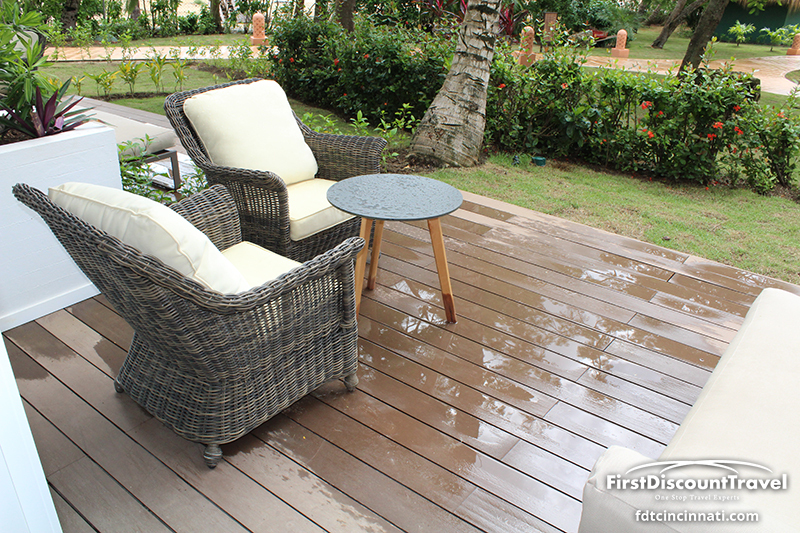 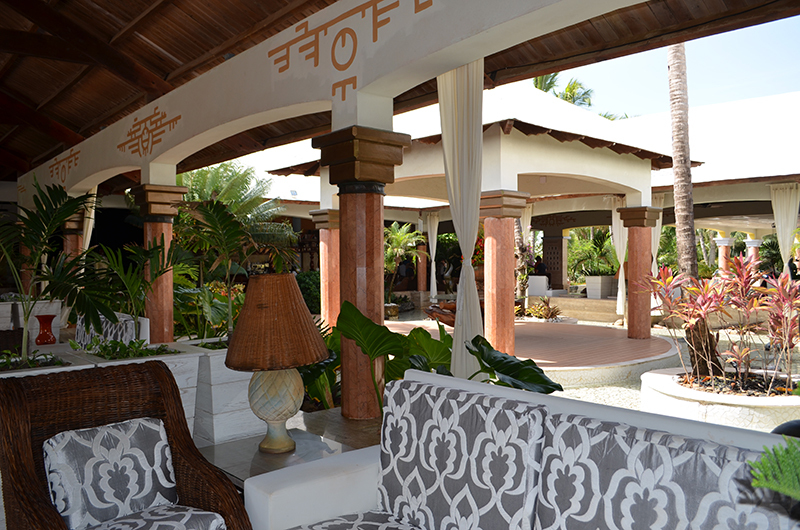 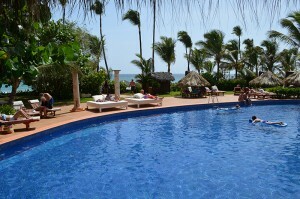 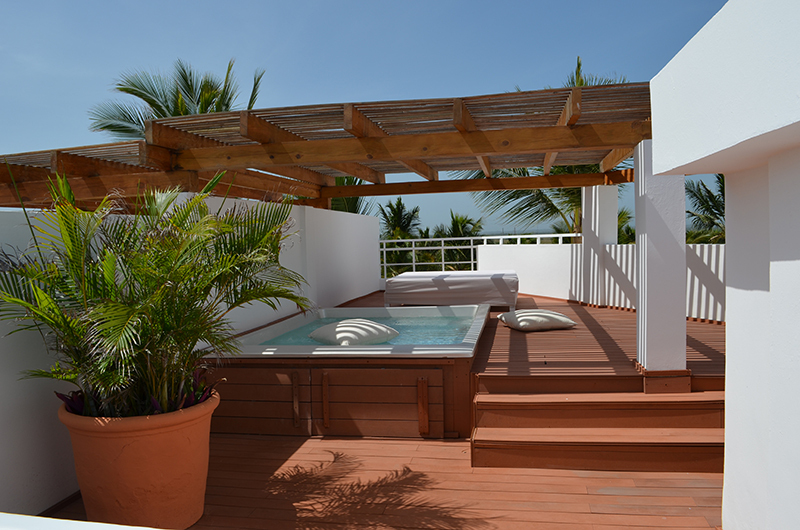 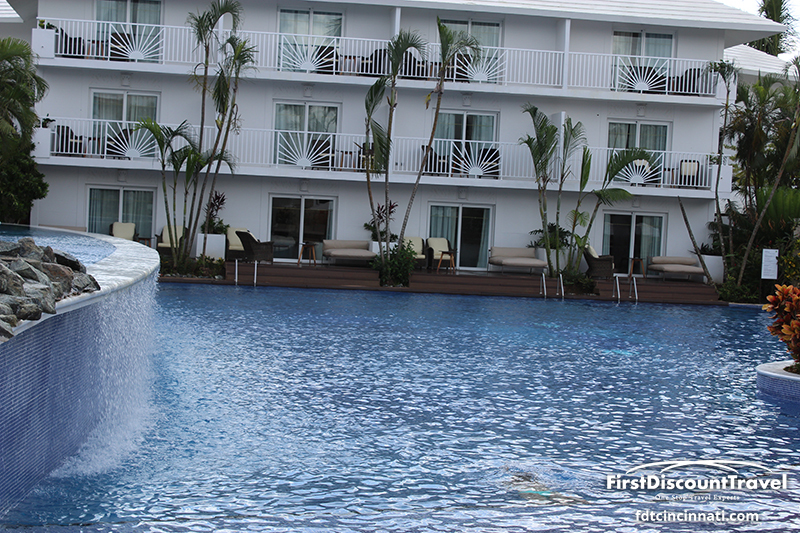 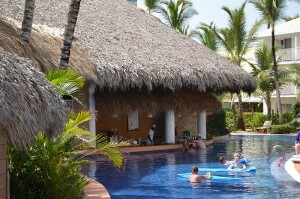 The resort has two pool areas, the main ocean front pool and the Waterfall pool which offers true swim out rooms. 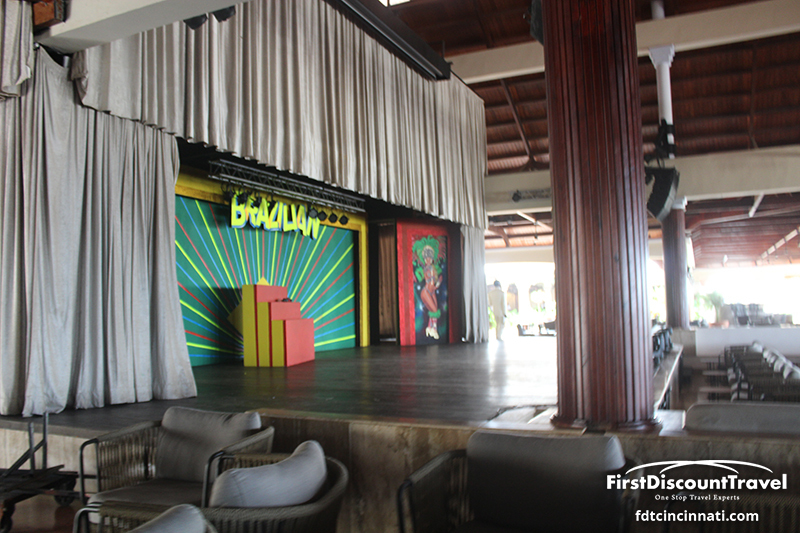 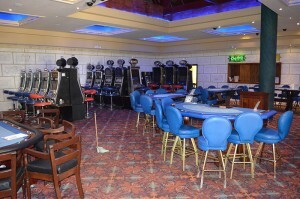 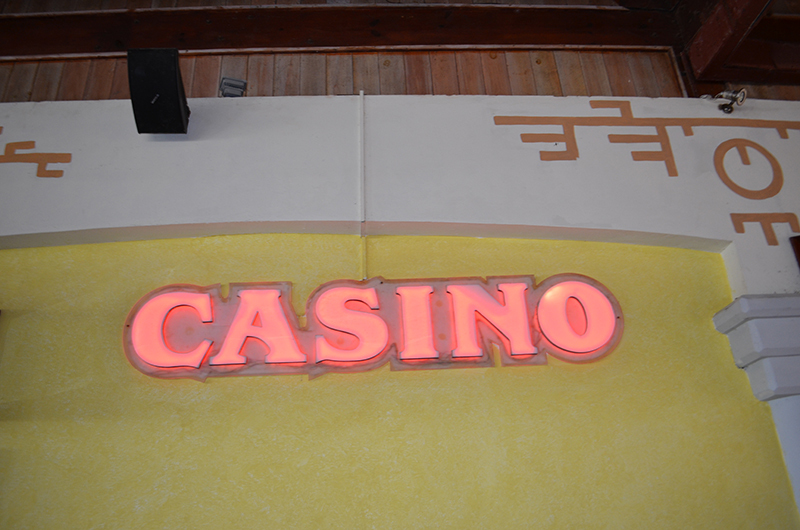 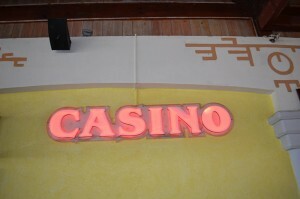 The resort has 10 bars, a large showroom, a casino and a disco. 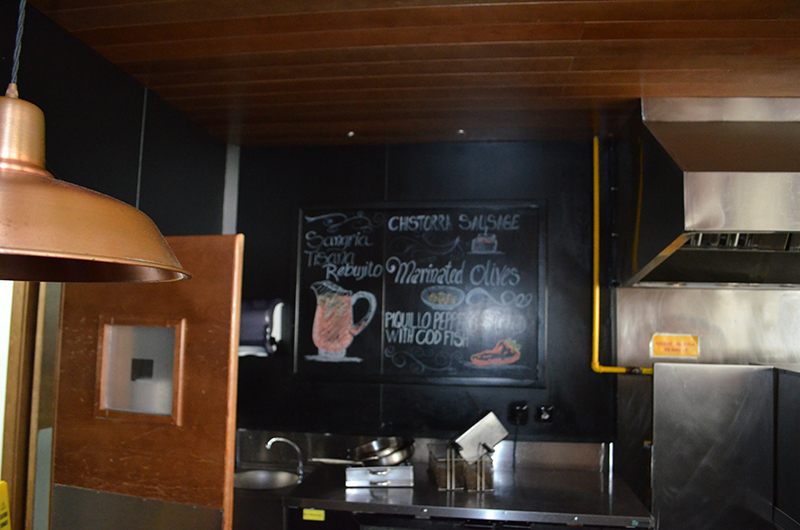 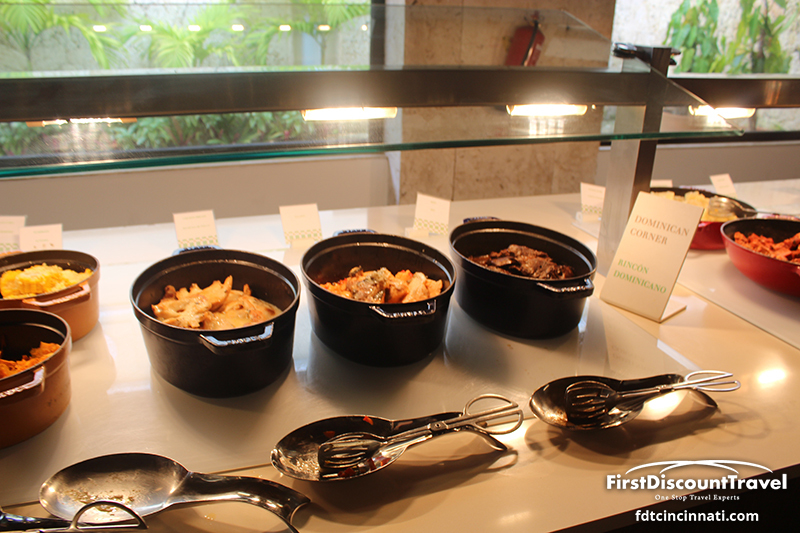 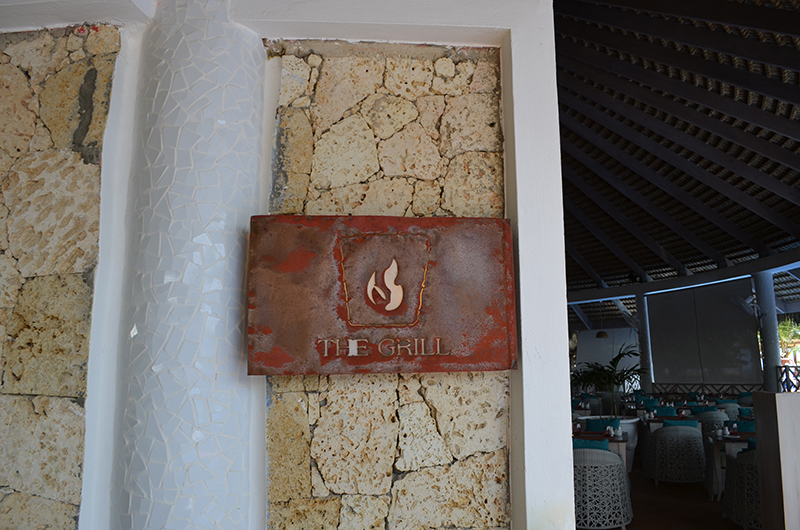 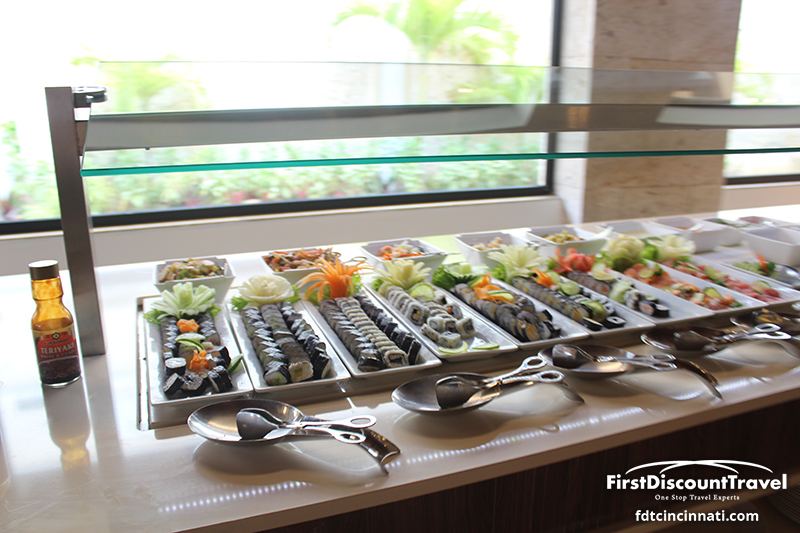 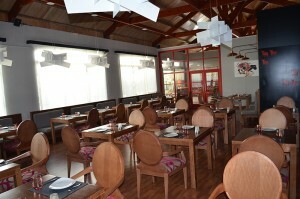 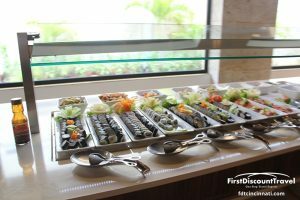 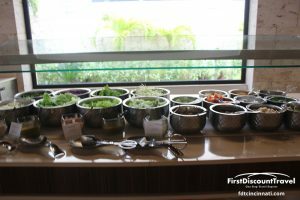 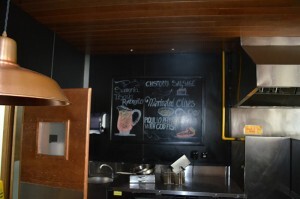 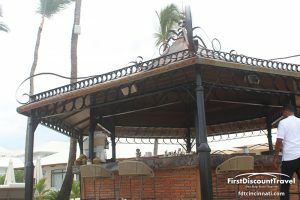 The 8 restaurants offer the following cuisine: Italian, Mediterranean, Grill, Lobster House, Asian (with Teppanaki and sushi), Mexican, French, and Brazilian. 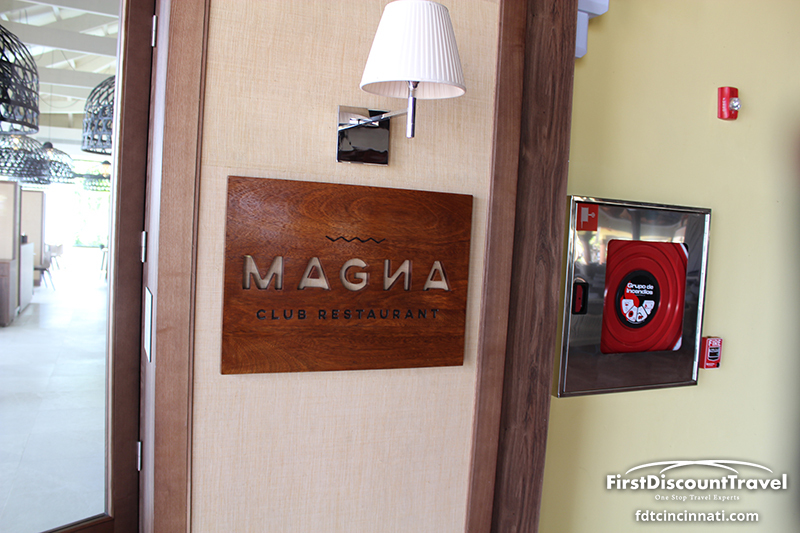 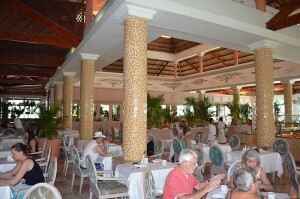 The resort doesn’t take reservations and you receive a beeper if the restaurant is full at your chosen dining time. The resort does not utilize wrist bands. 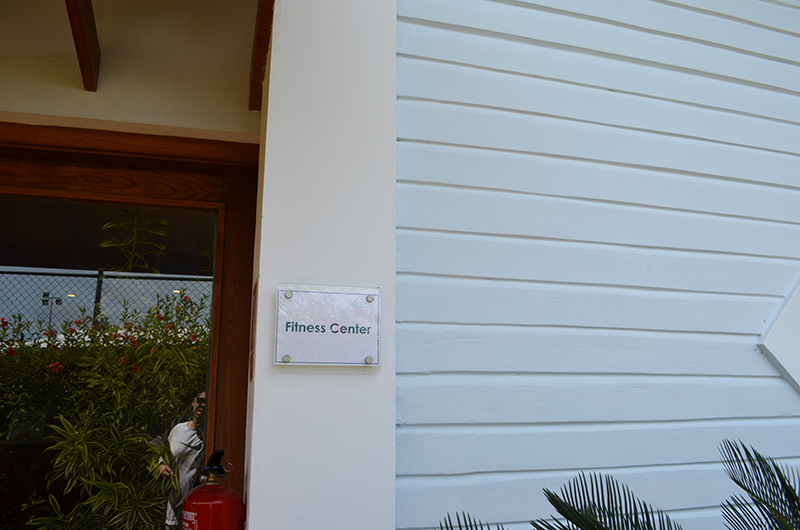 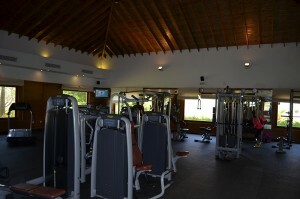 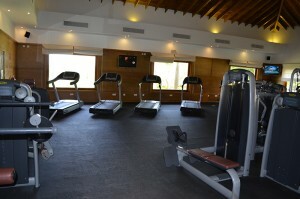 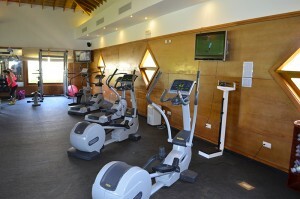 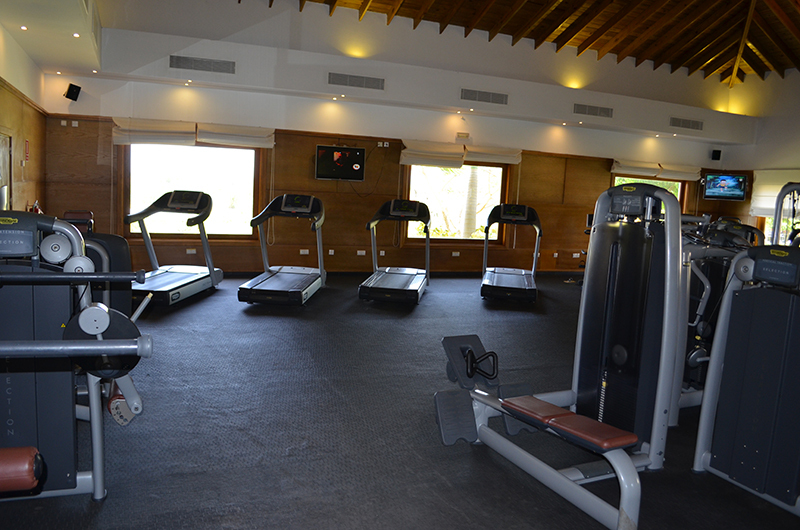 The resort has a lovely spa with 11 cabins and an air conditioned gym with free weights, cardio, and equipment. 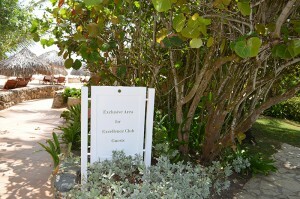 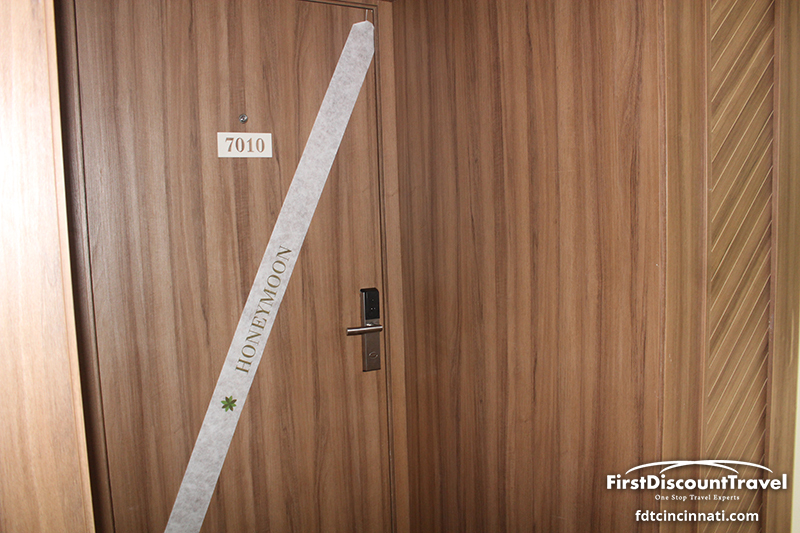 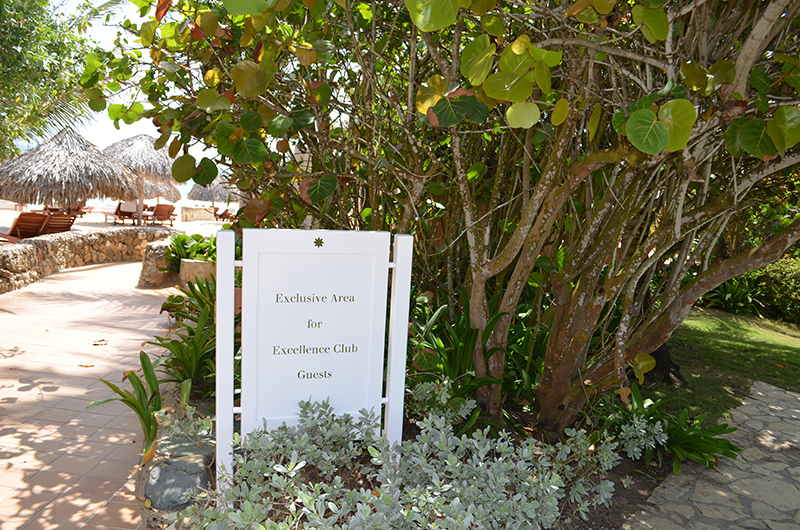 Clients booking Excellence club ocean view and higher receive the Excellence Honeymoon package valued at $800! 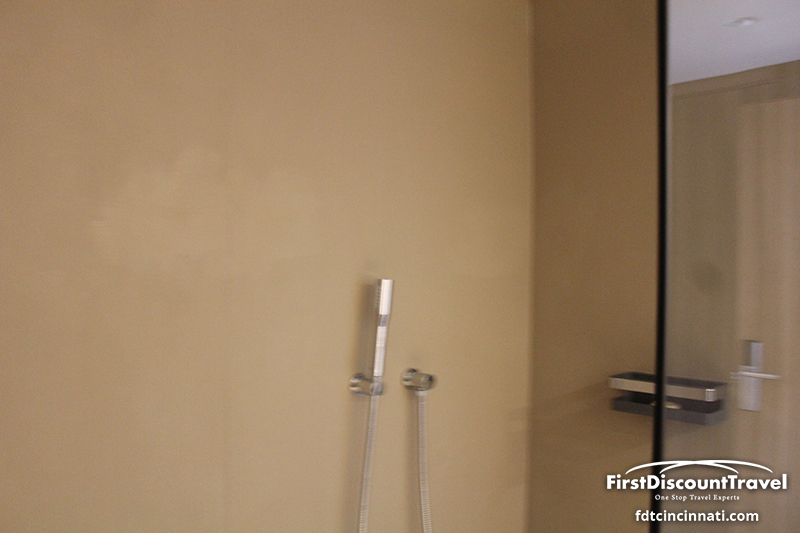 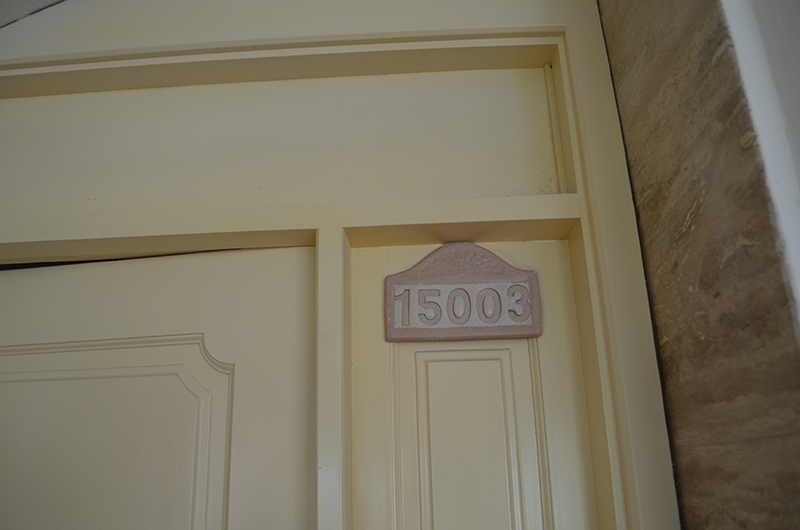 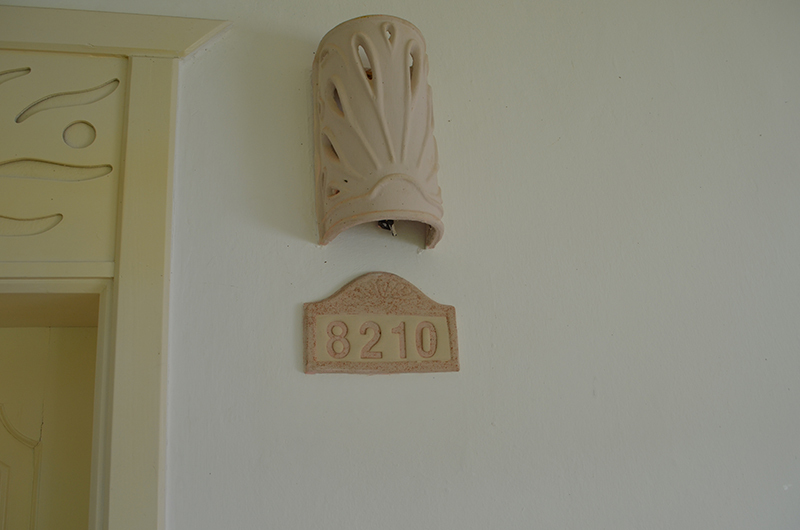 Overall, I like this resort, but it is starting to show its’ age. 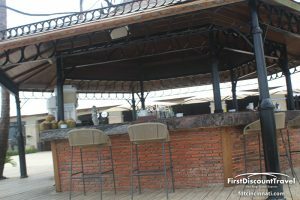 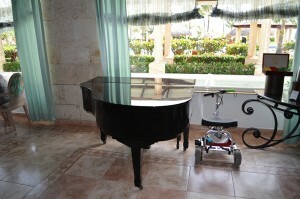 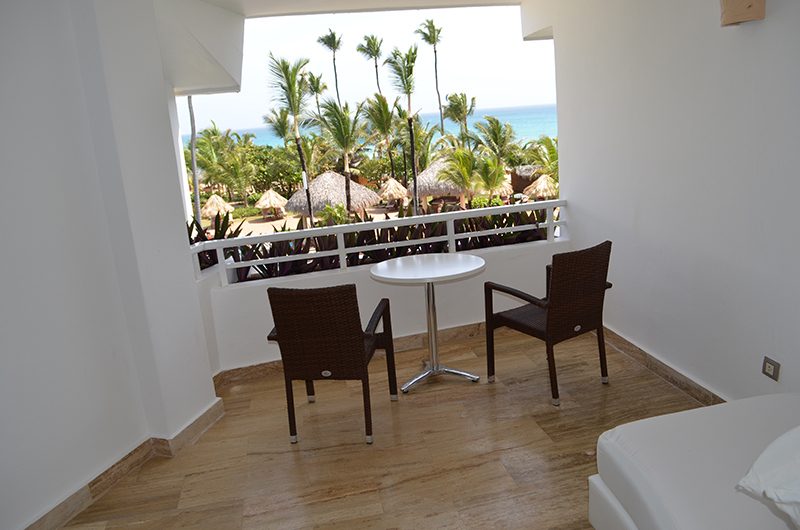 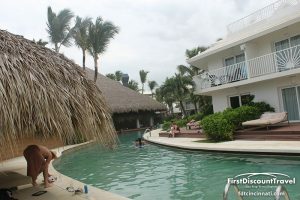 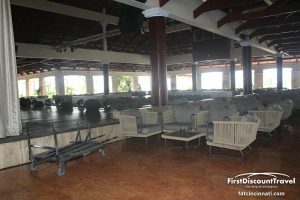 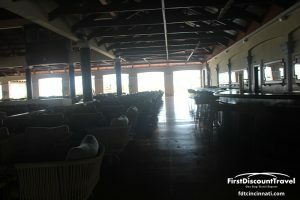 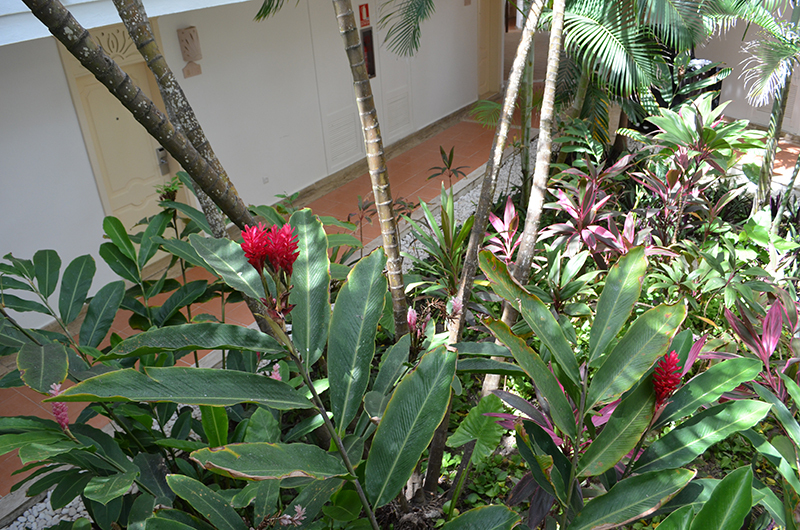 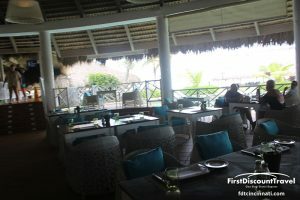 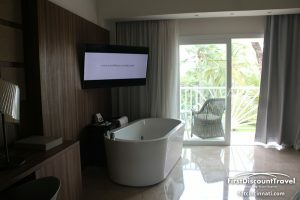 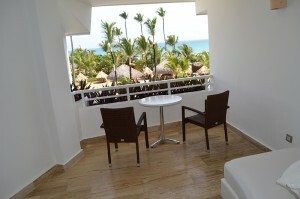 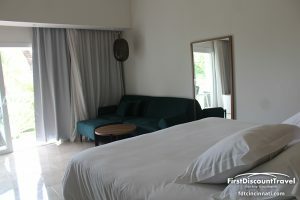 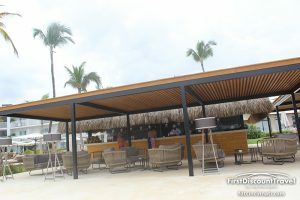 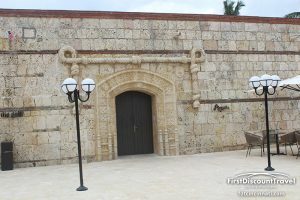 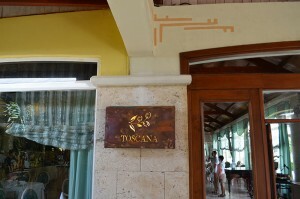 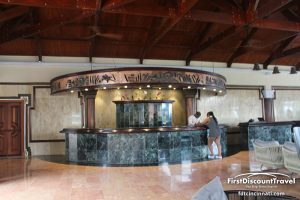 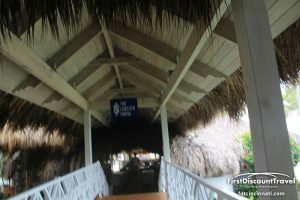 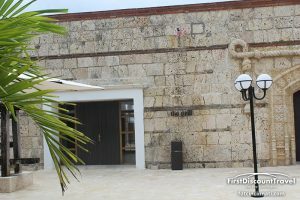 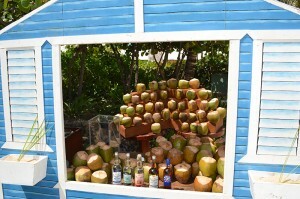 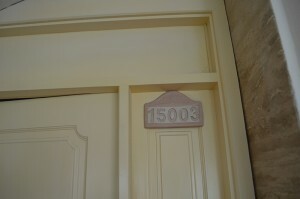 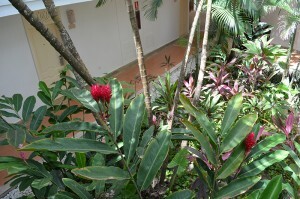 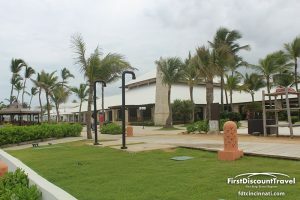 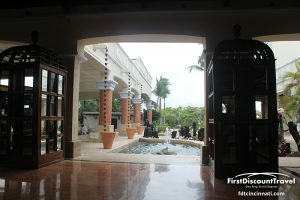 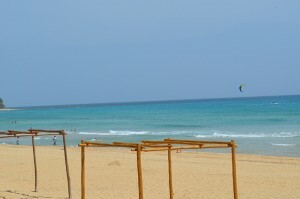 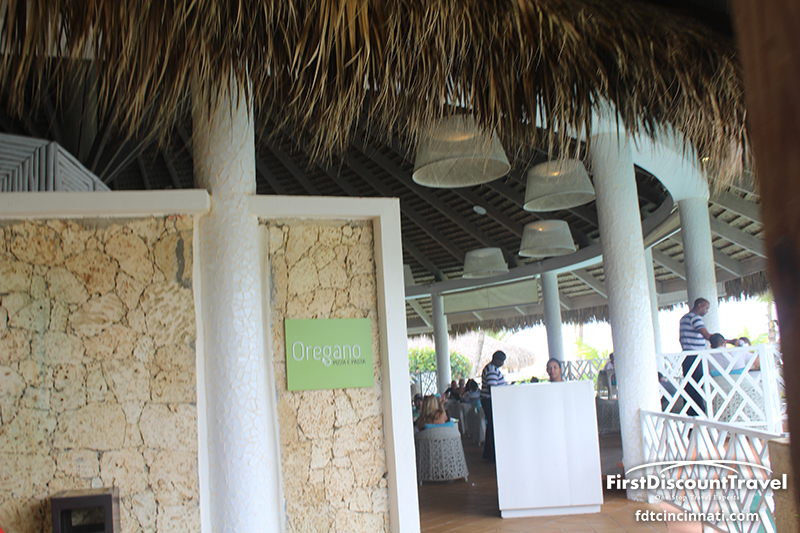 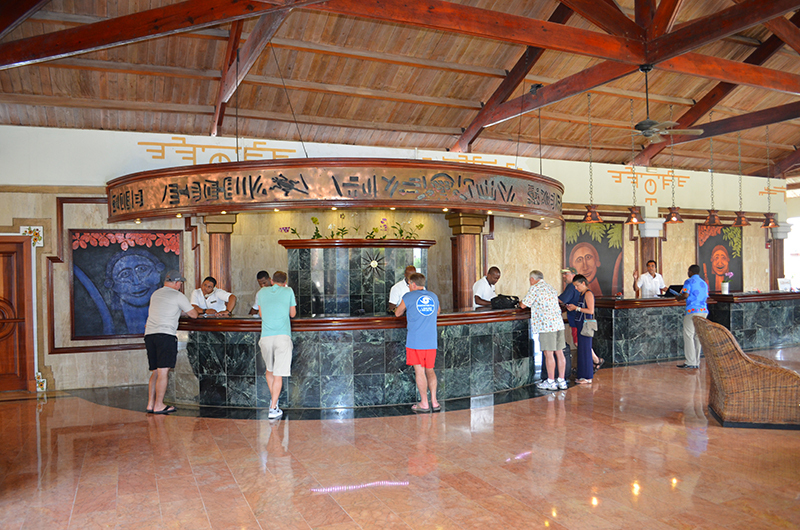 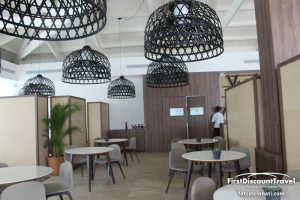 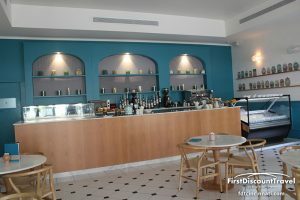 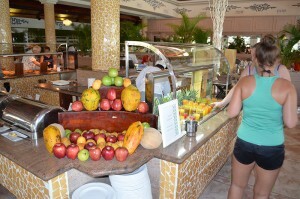 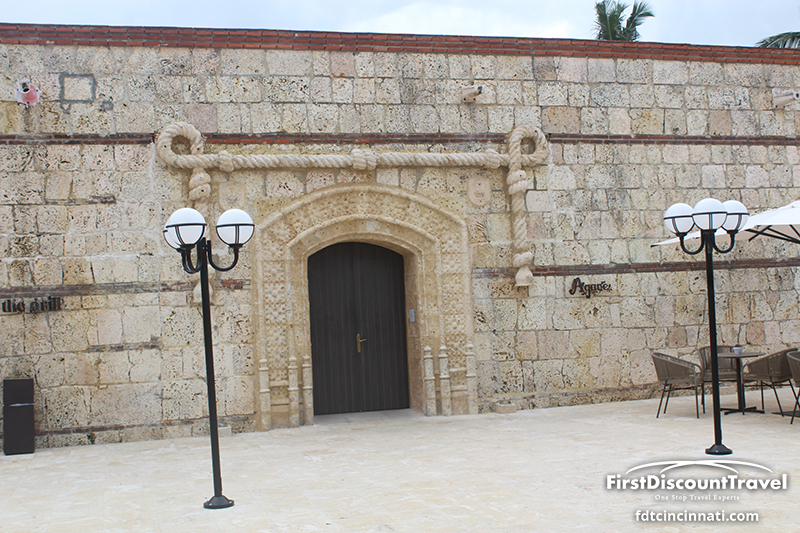 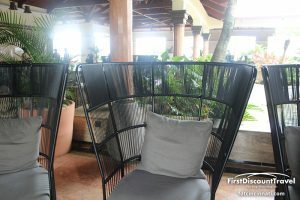 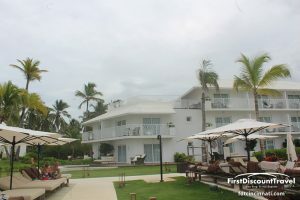 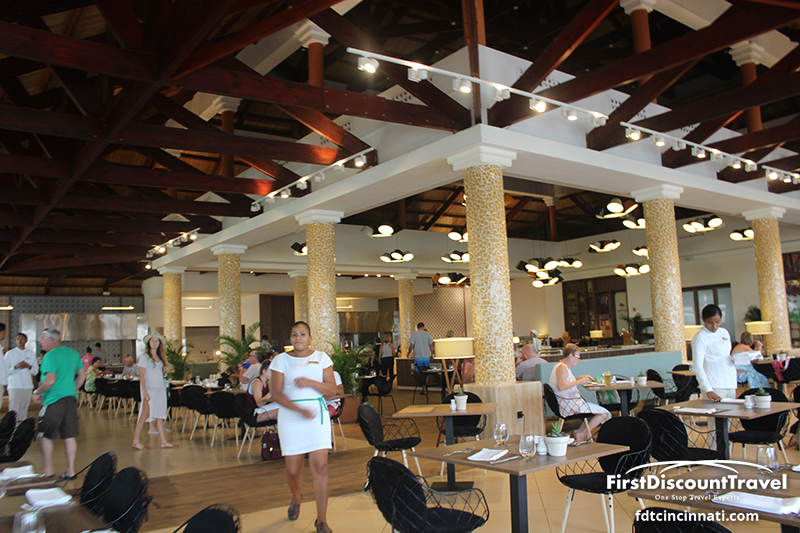 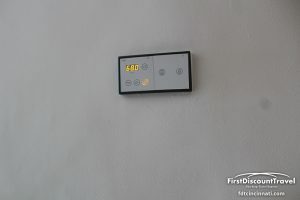 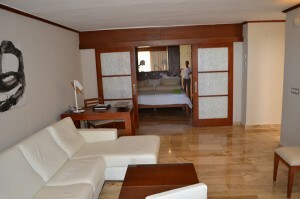 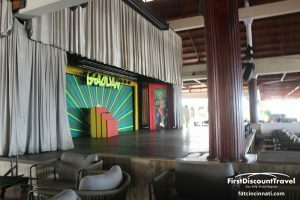 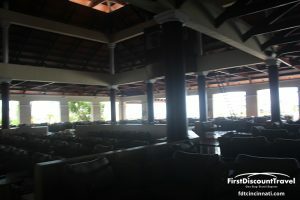 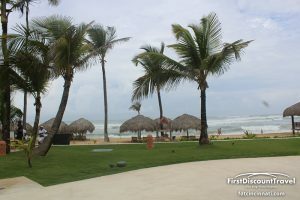 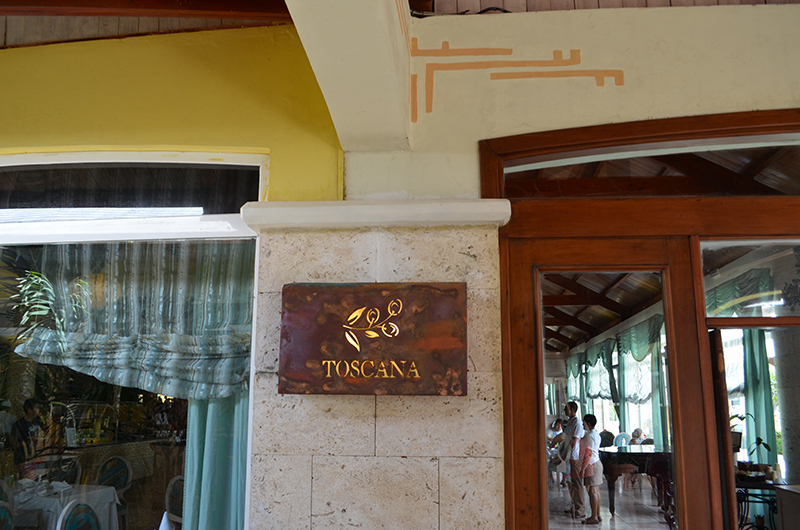 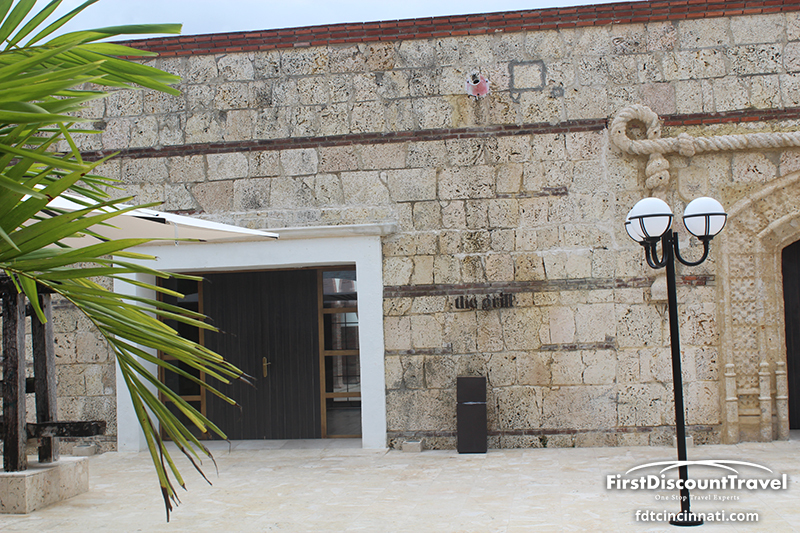 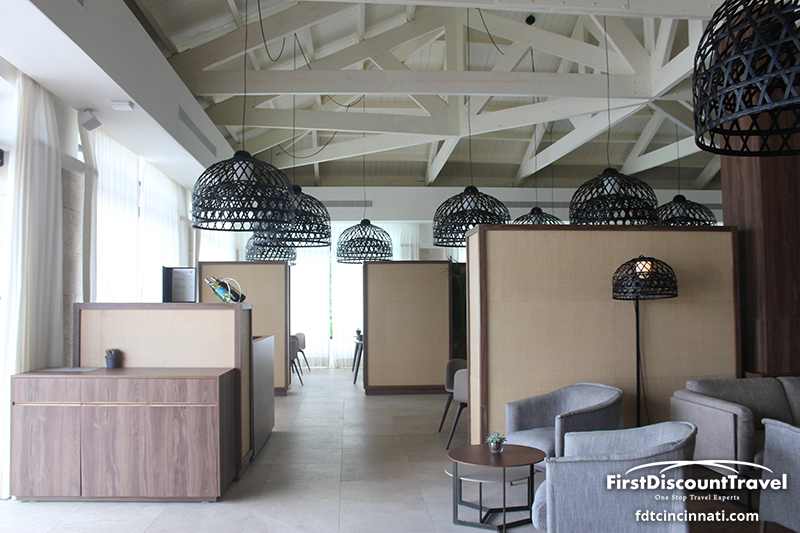 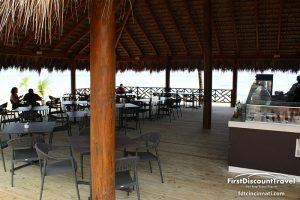 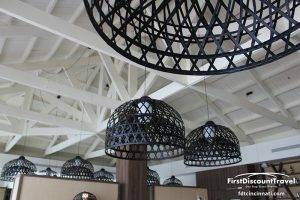 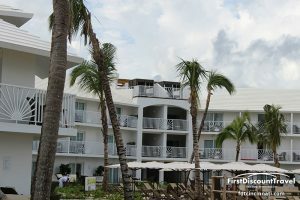 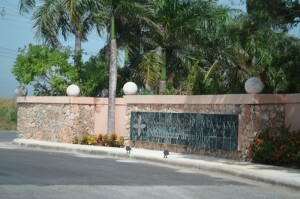 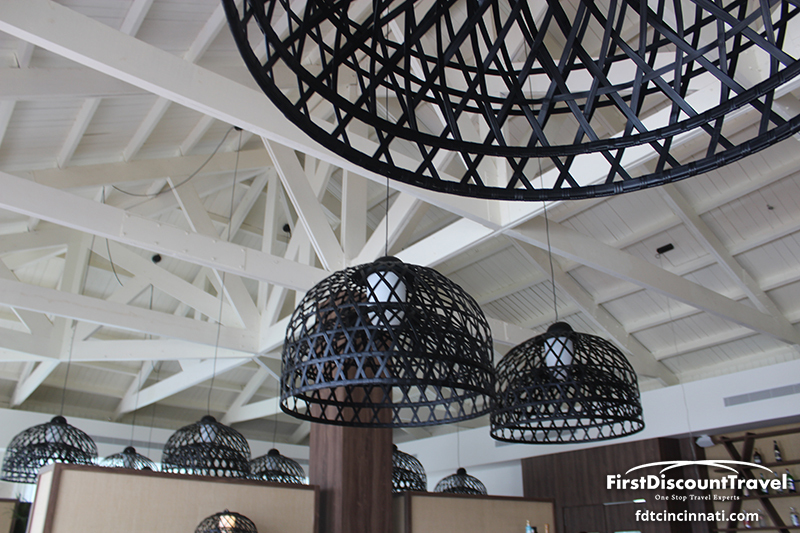 The resort is considerably more active than Zoetry, but not as nice as the newer Excellence resorts in the Riviera Maya. 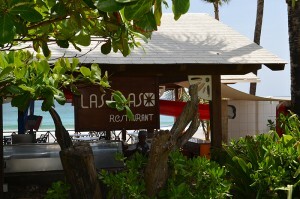 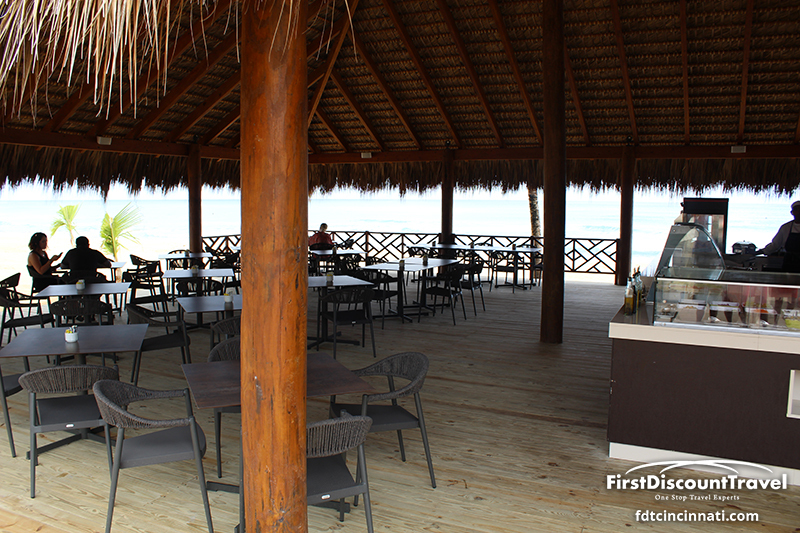 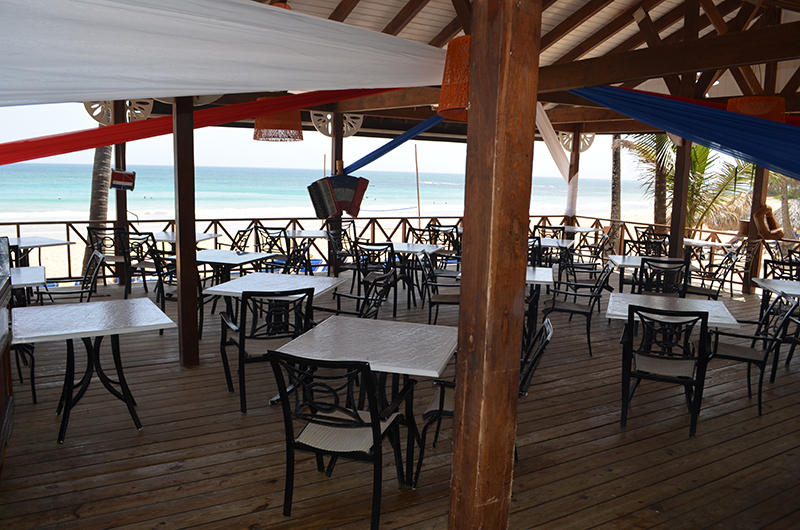 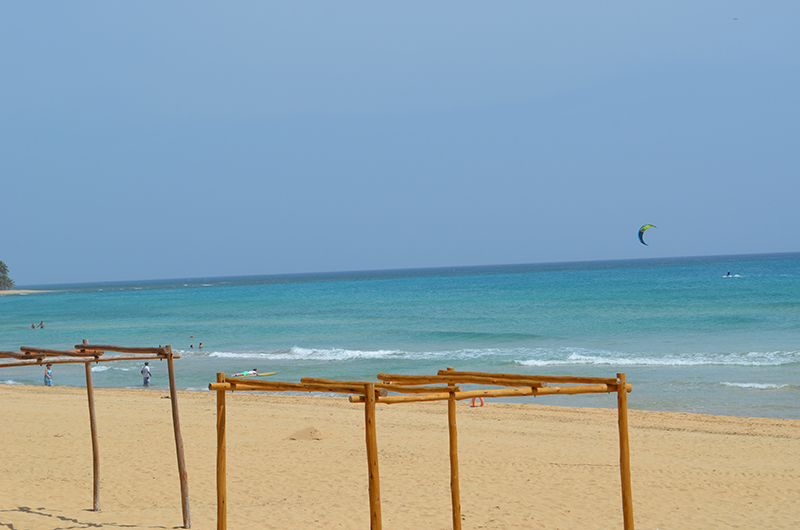 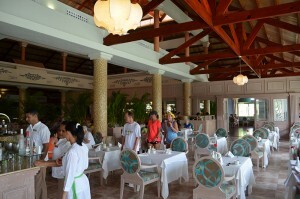 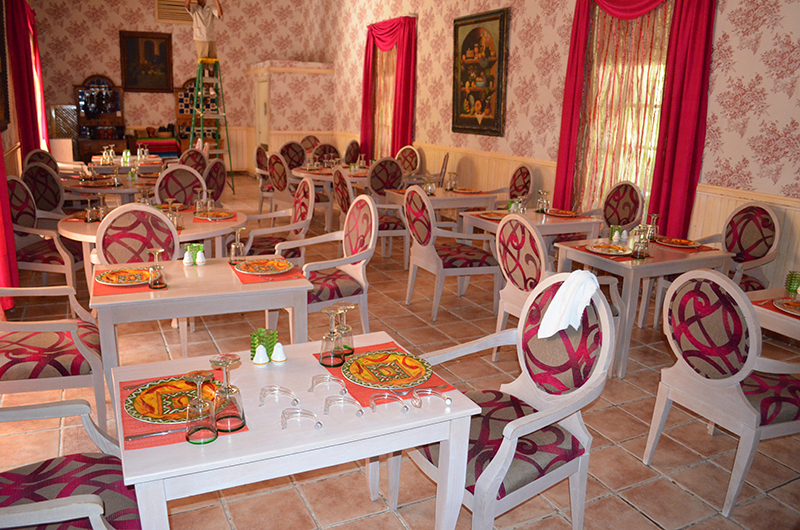 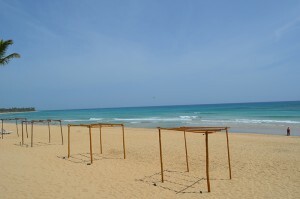 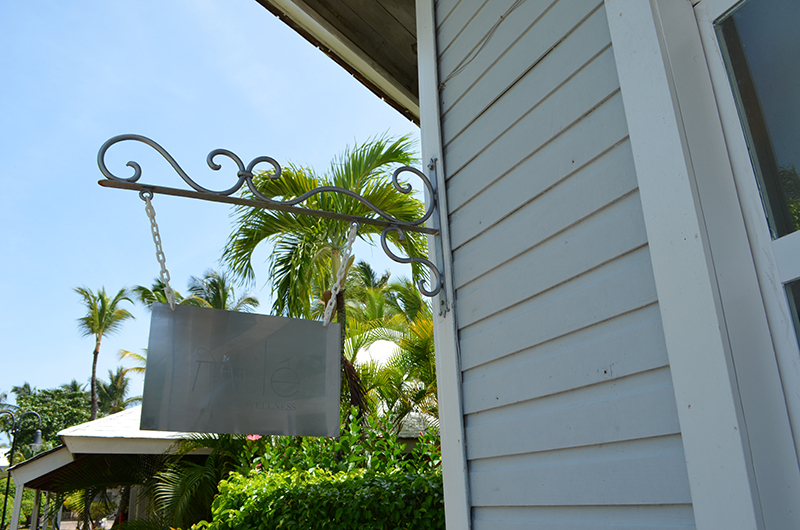 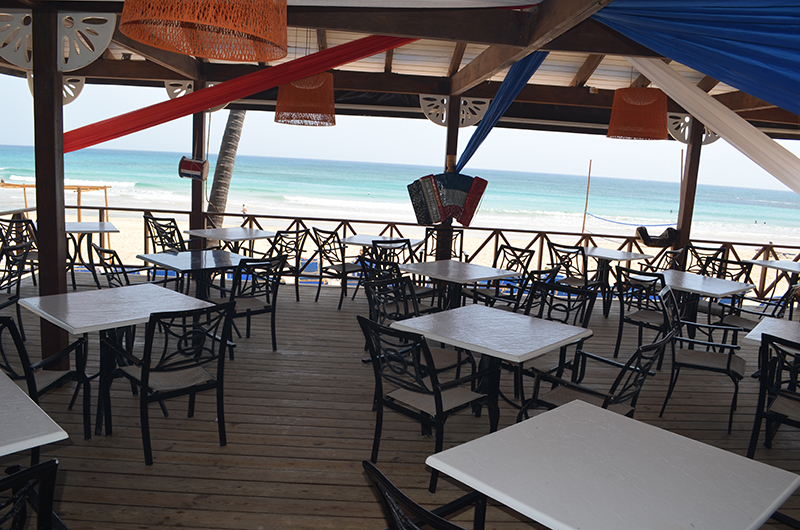 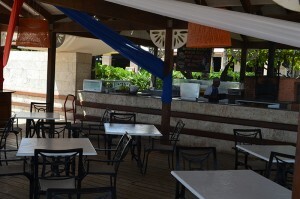 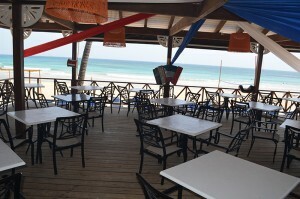 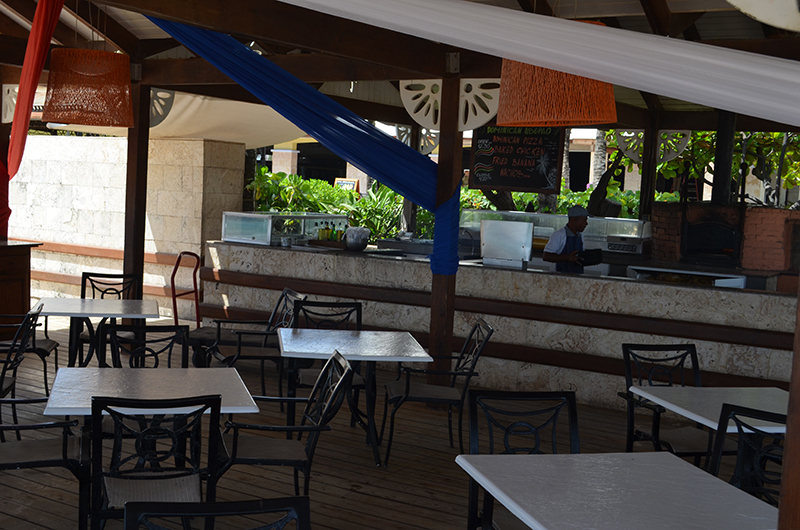 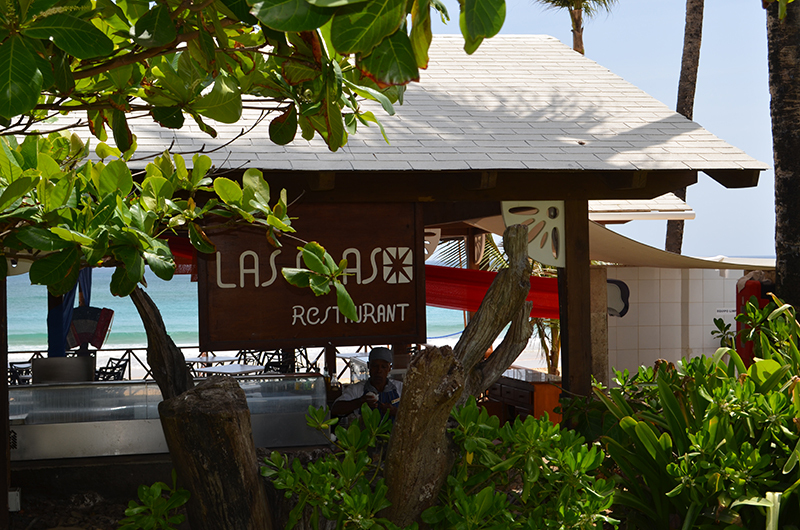 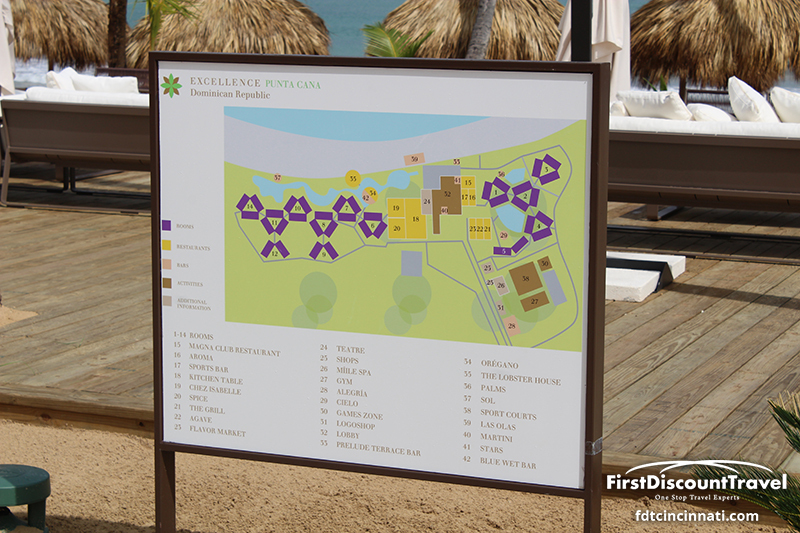 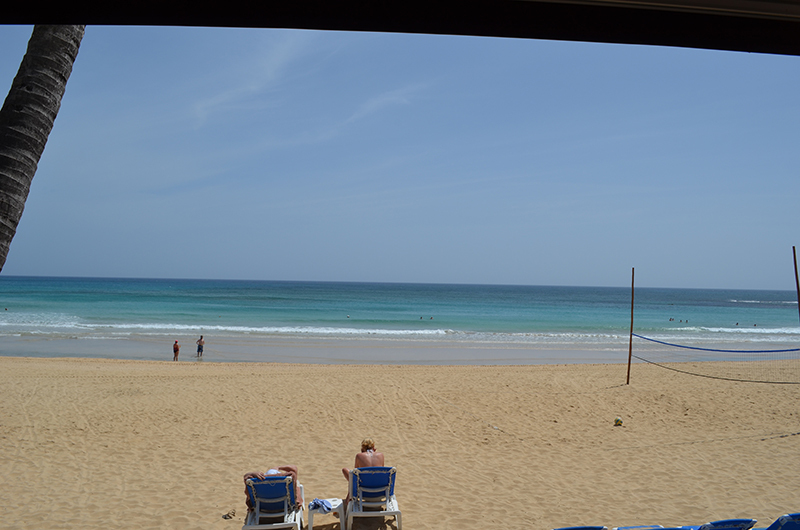 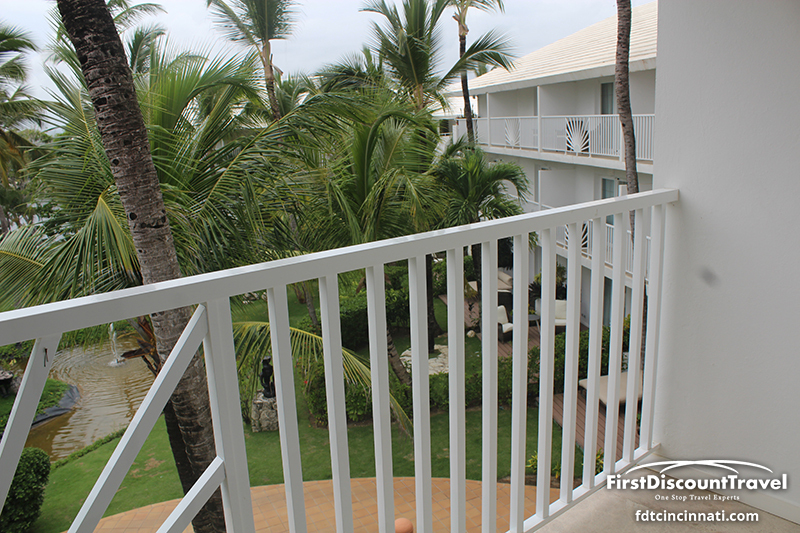 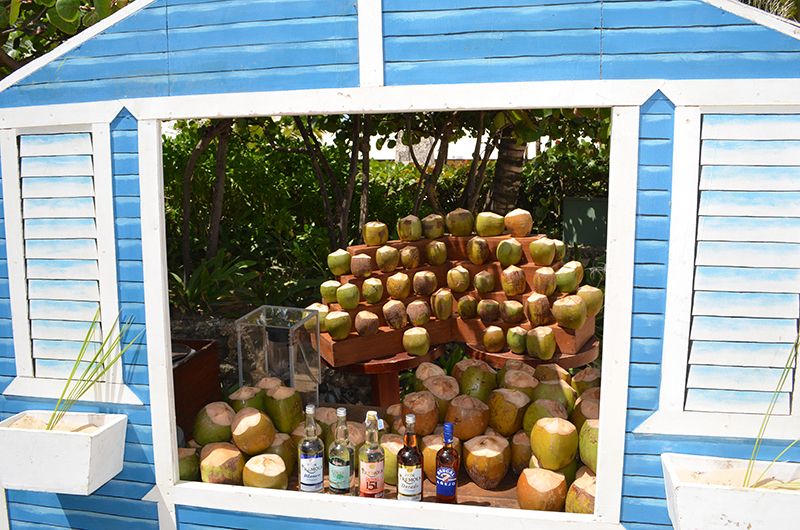 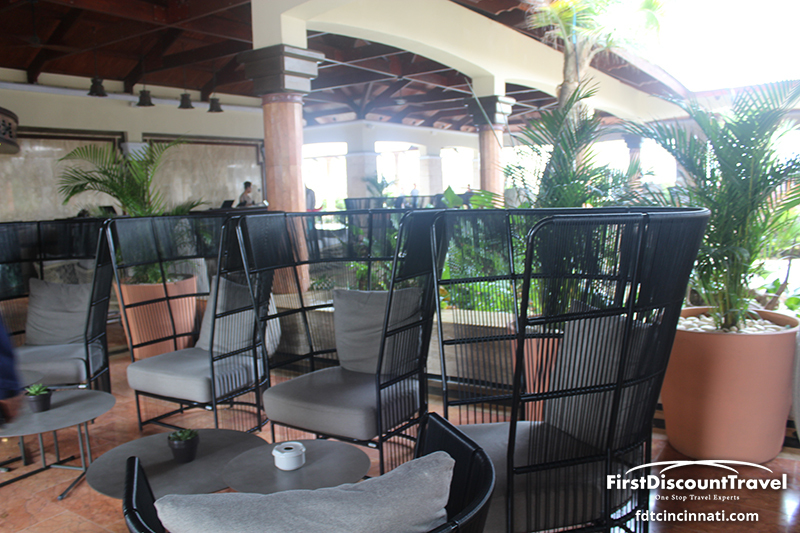 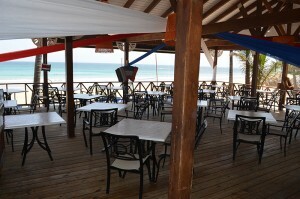 Secrets Royal Beach is located on a better beach, but Excellence has better food and service. 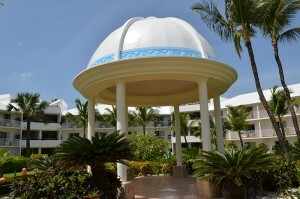 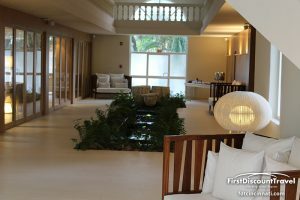 The resort would be great for active, social, honeymooners.